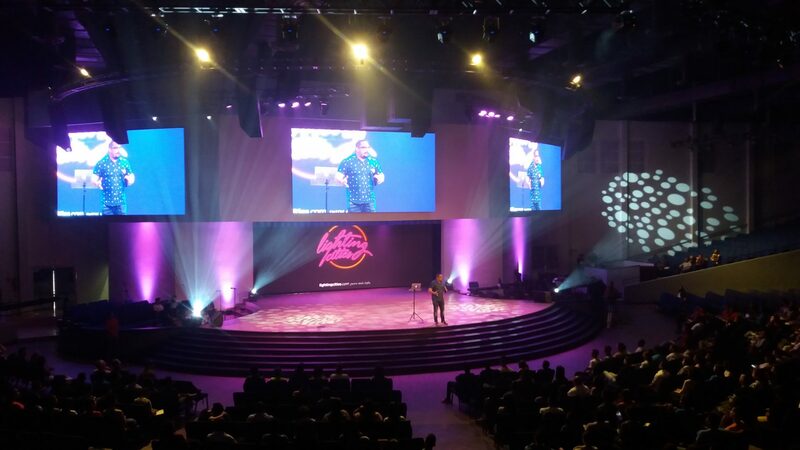 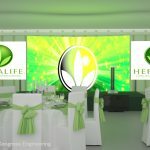 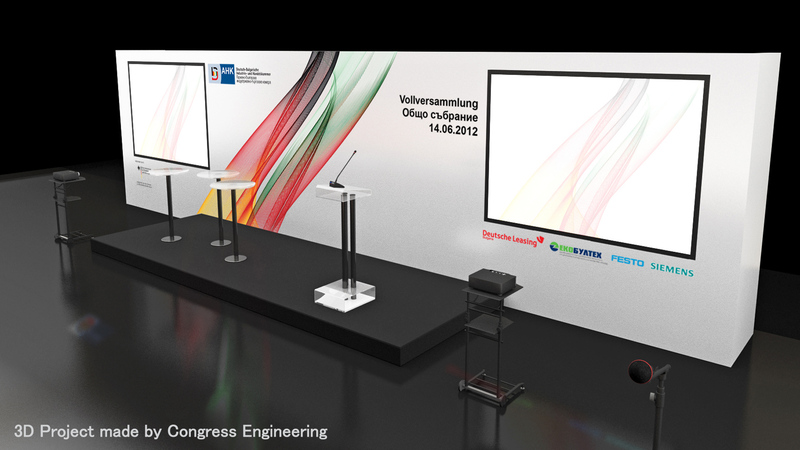 Some years ago, an event was successful, if there were one or two screens, several microphones, sound system and, possibly, an interpreting system on the stage. 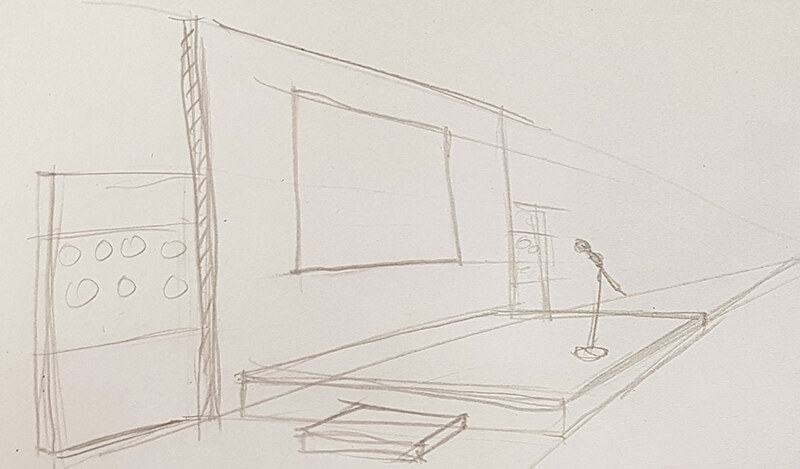 Now, things are quite different. 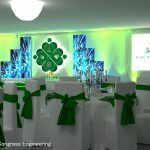 Nowadays, we create emotions, unforgettable event to talk about. 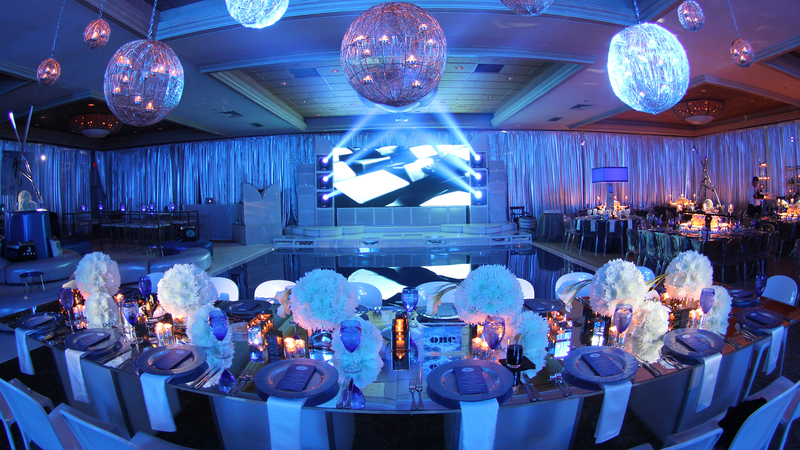 We create atmosphere for people to get immerged in it and to want to become part of it again and again. 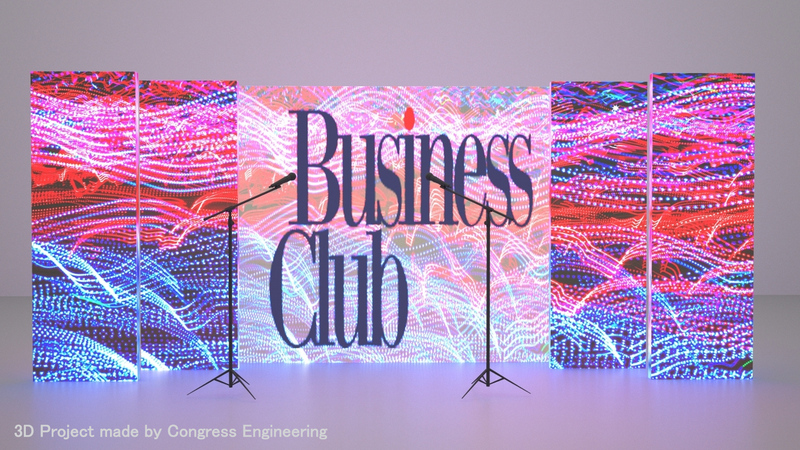 Radiant stage, light circumfusing the whole space, crystal sound, eye-snatching displays and magnetic special projections – this is what we call successful event. 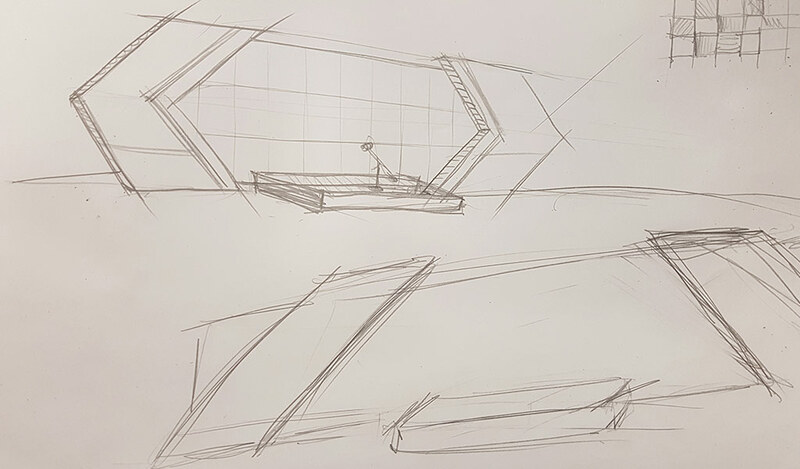 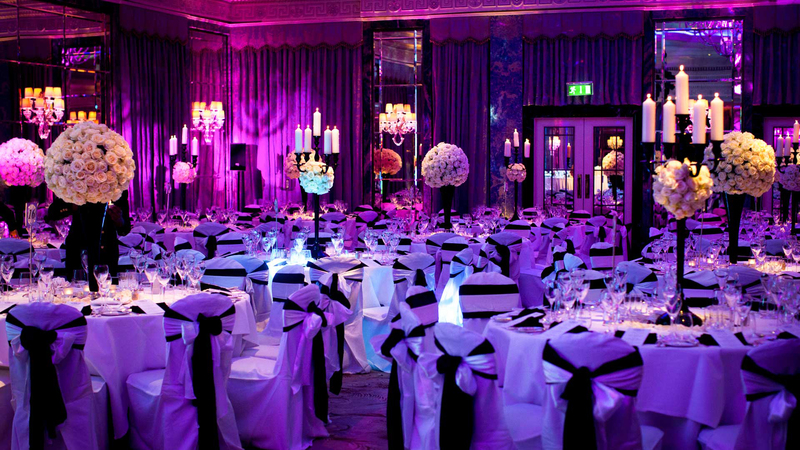 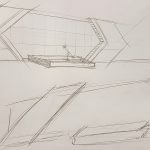 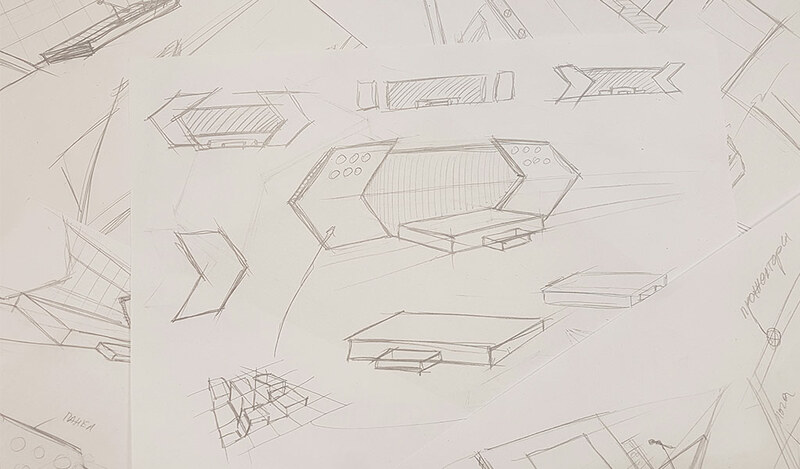 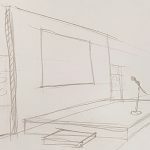 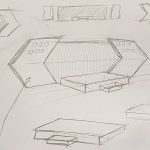 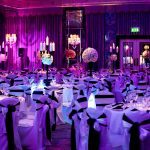 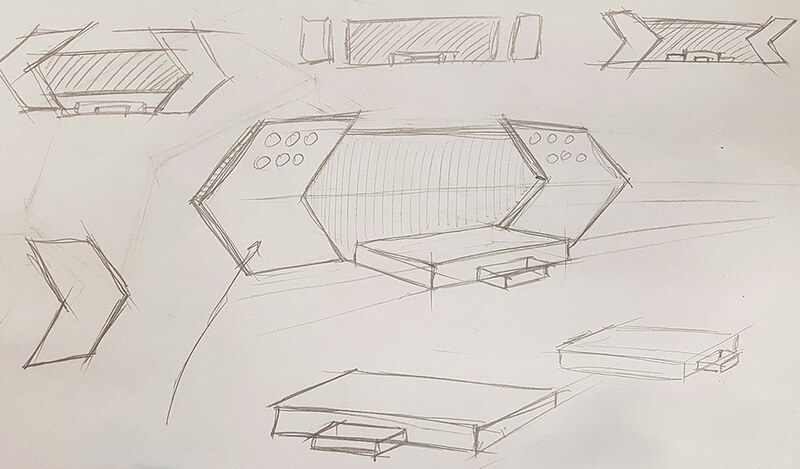 Each event starts with a sketch of the hall, the big and voluminous scenes, elements, furniture and the respective decorations envisaged for the event itself. 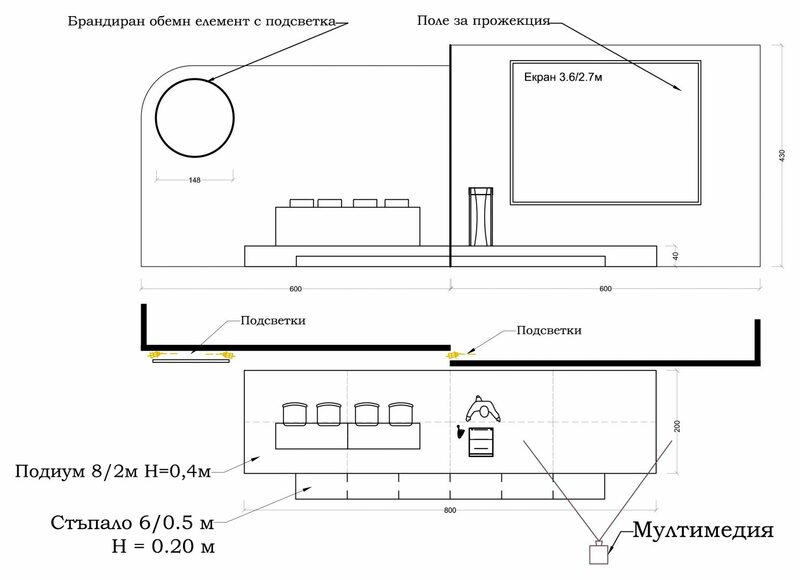 So, both we and the customer get an idea about the volume of our task at an early stage already. 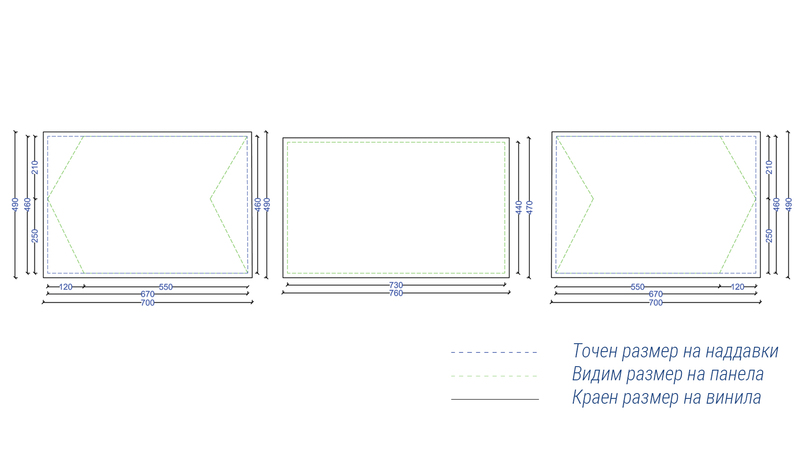 Thus we manage to choose the optimal variant at the very beginning. 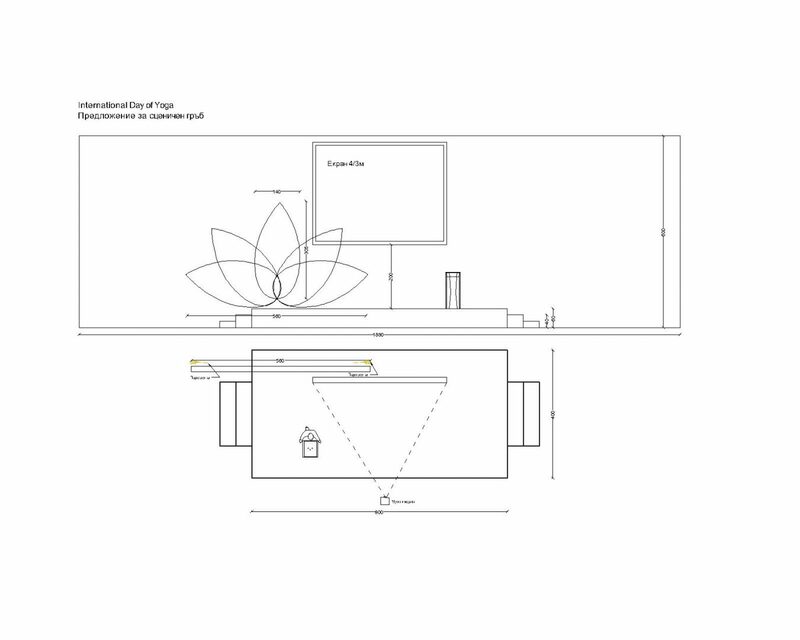 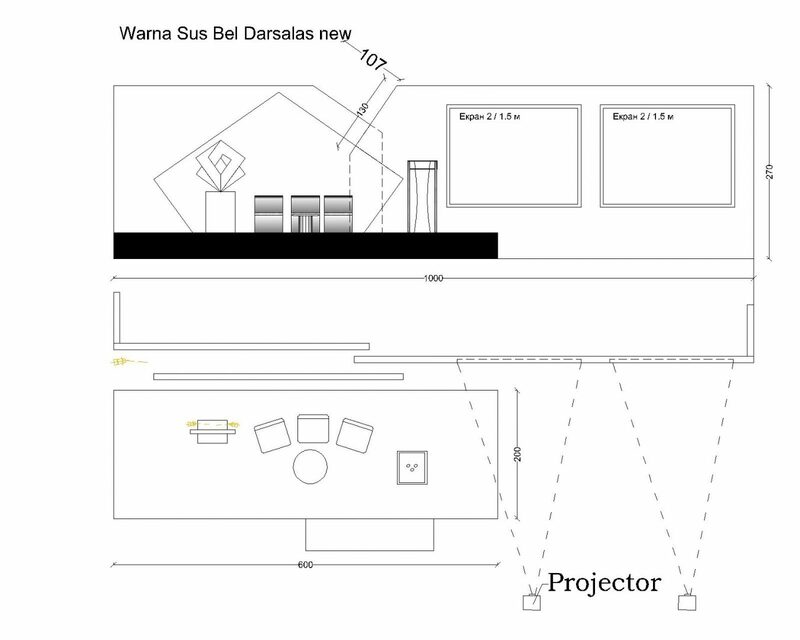 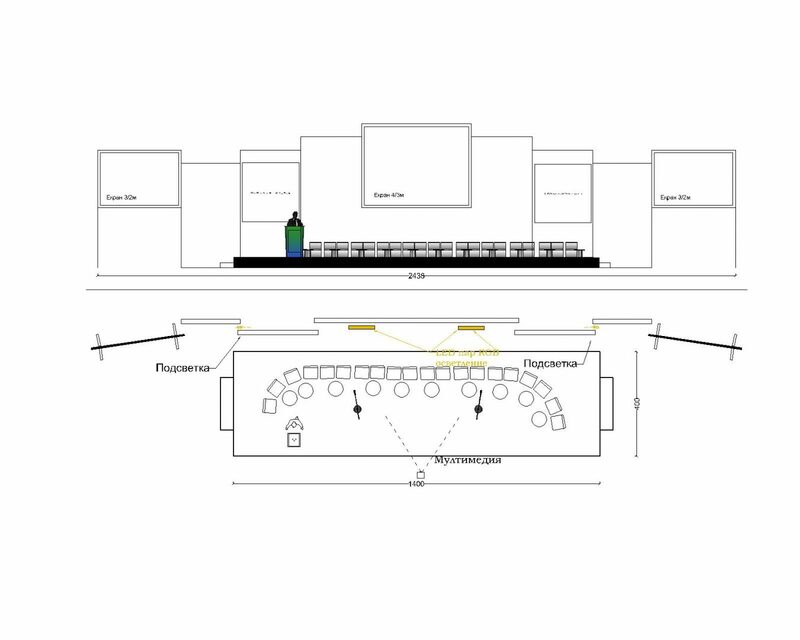 The 2D scaled drawing is an important part of the planning of the event. 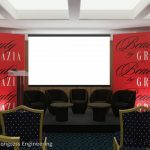 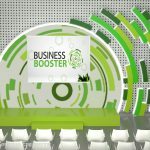 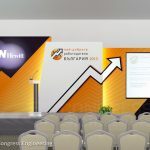 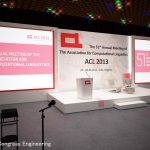 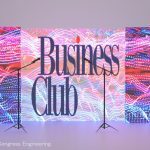 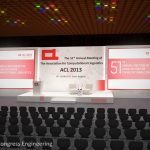 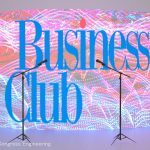 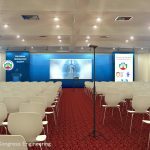 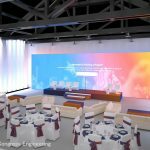 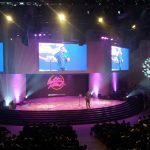 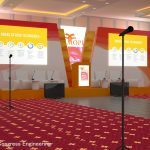 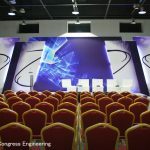 It shows with absolute precision the sizes and the ratios of the technical equipment, conference decors, stage, chairs and tables arranged in the premise. 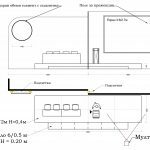 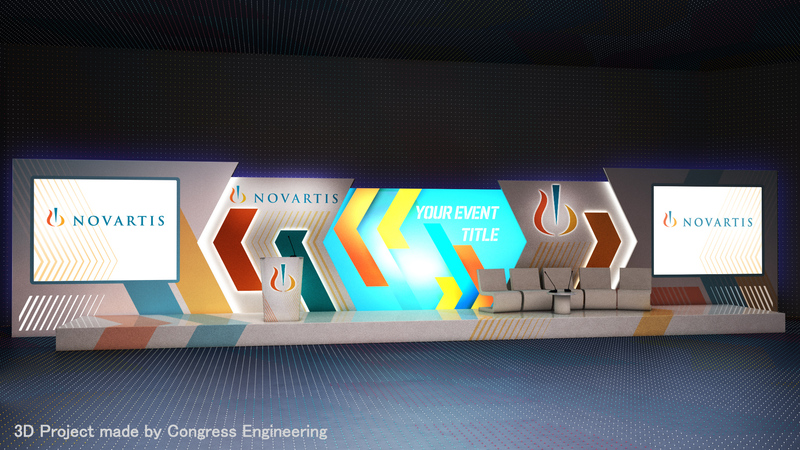 The 2D design shows the precise location of all elements that will be used during the event. 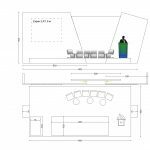 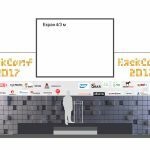 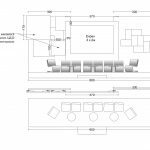 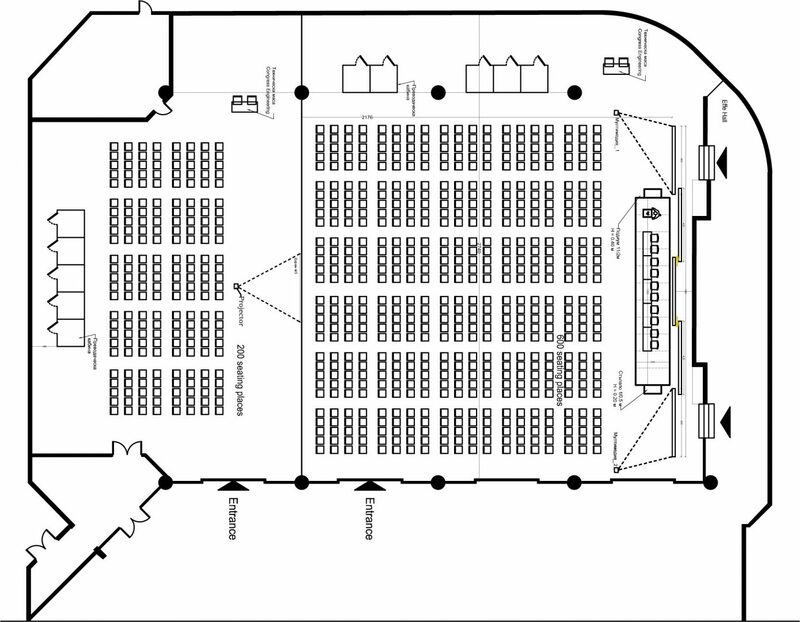 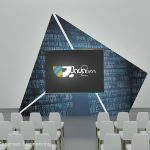 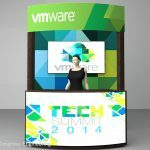 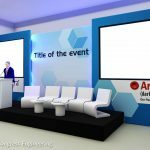 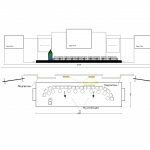 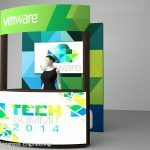 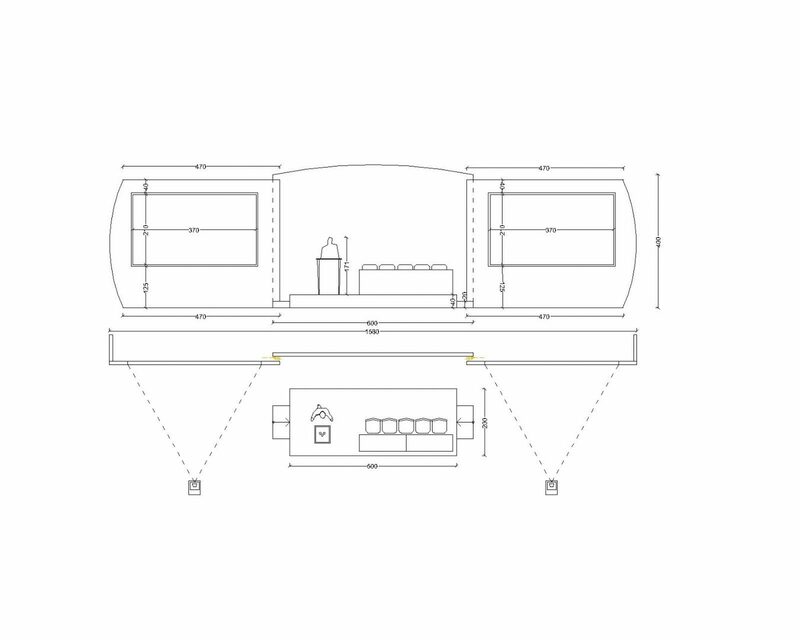 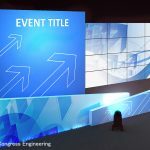 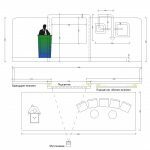 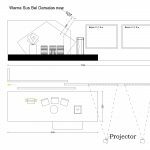 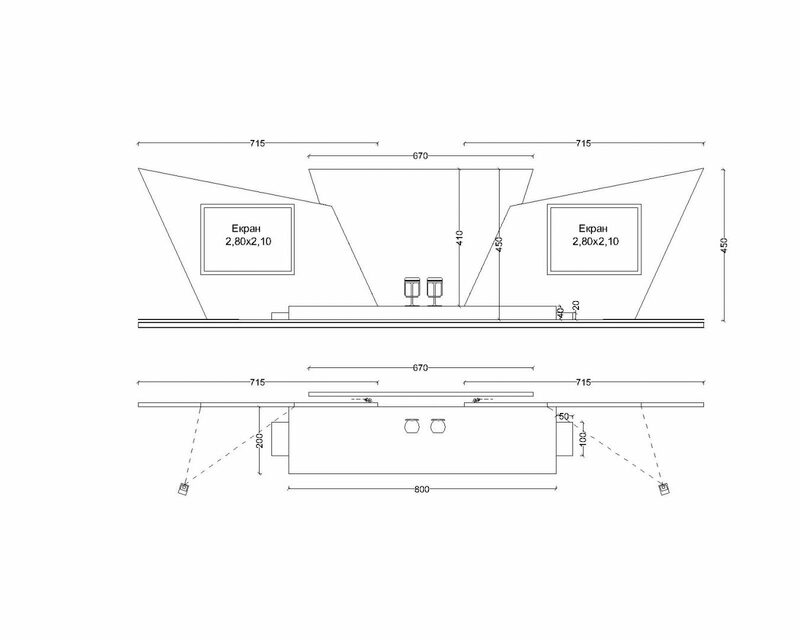 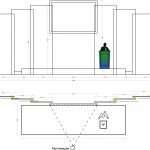 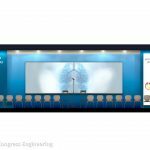 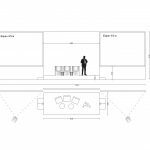 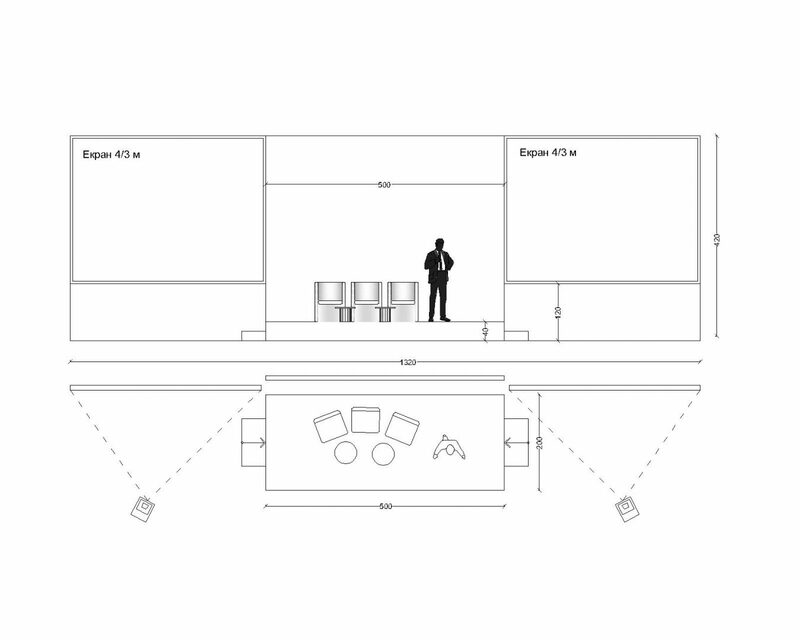 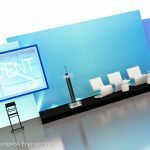 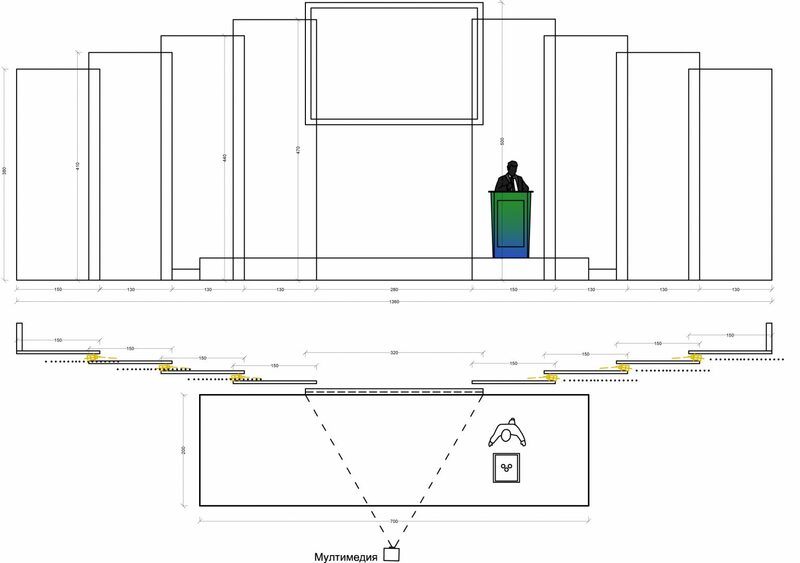 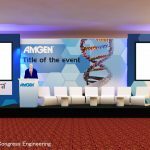 It displays with precise dimensions and view from above the whole room, the positions of the chairs, podiums, stage and all other sites participating in the configuration of the event. 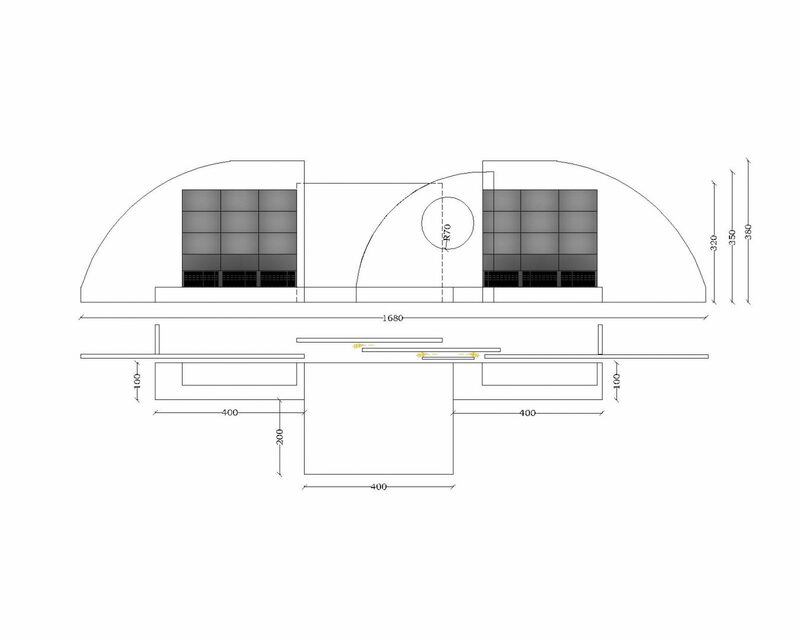 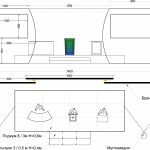 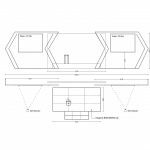 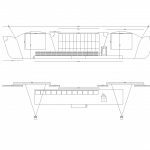 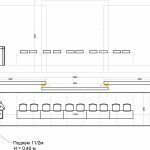 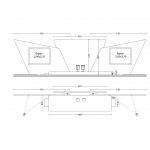 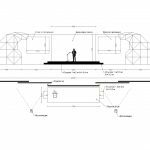 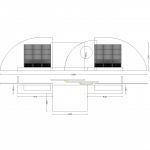 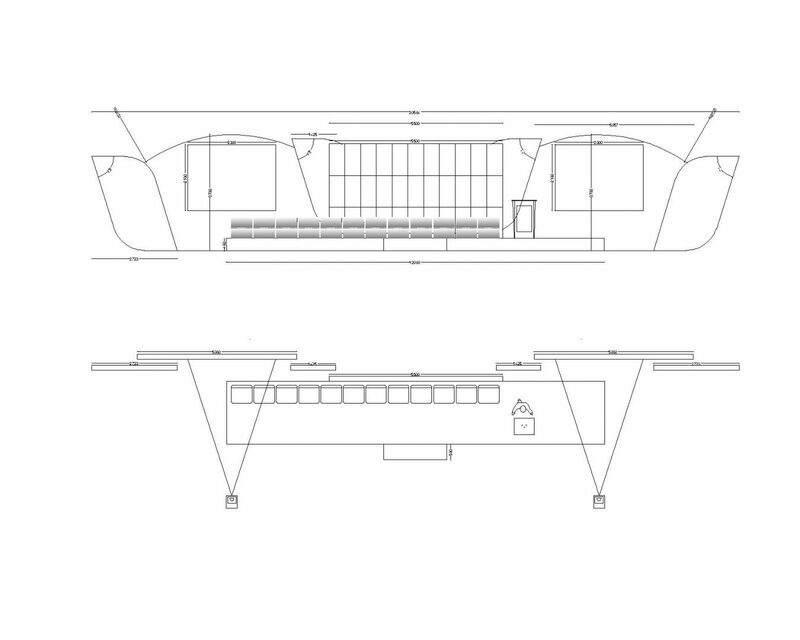 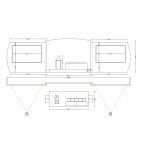 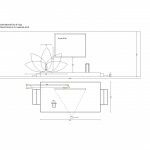 The frontal view gives an idea both for the precise dimensions of the offered configuration and for the remaining space around the stage, the doors used as entrance – exit or the emergency exits. 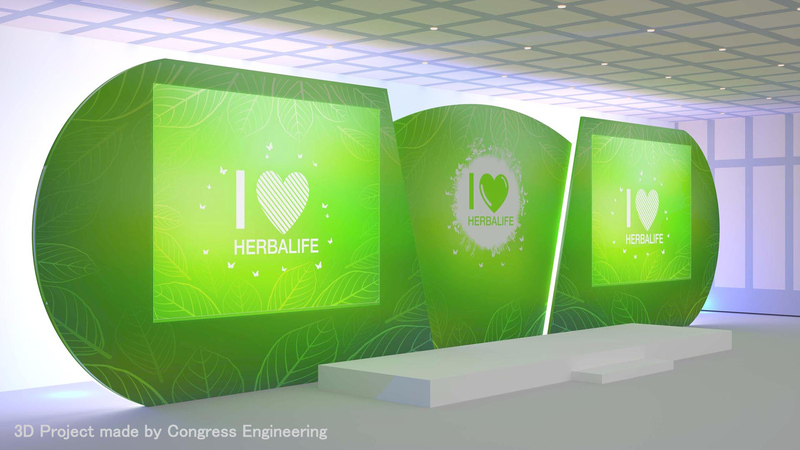 In this part of the design we add color and splashes over the frontal view, we add logos, visions and headlines… So after we have the already specified sizes, we visualize every component in colour. 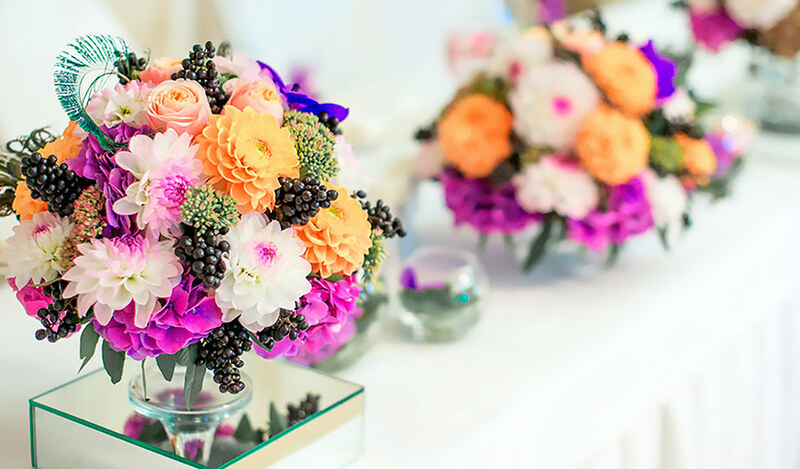 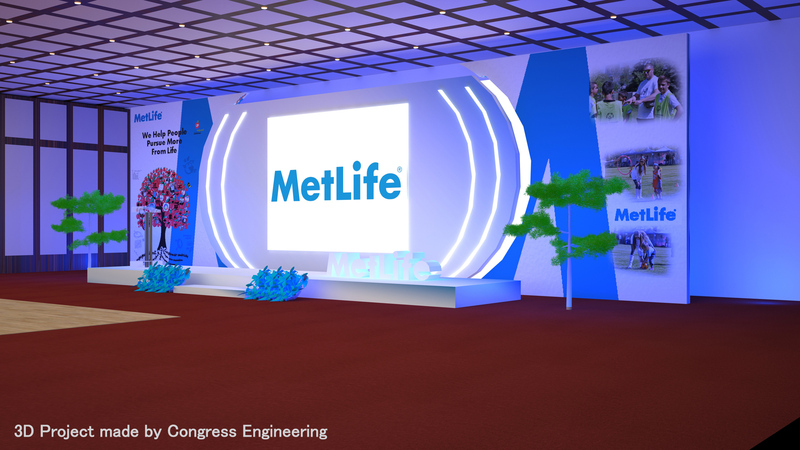 We will get the nature to the maximum degree close to your event by means of impressing and exotic plants. 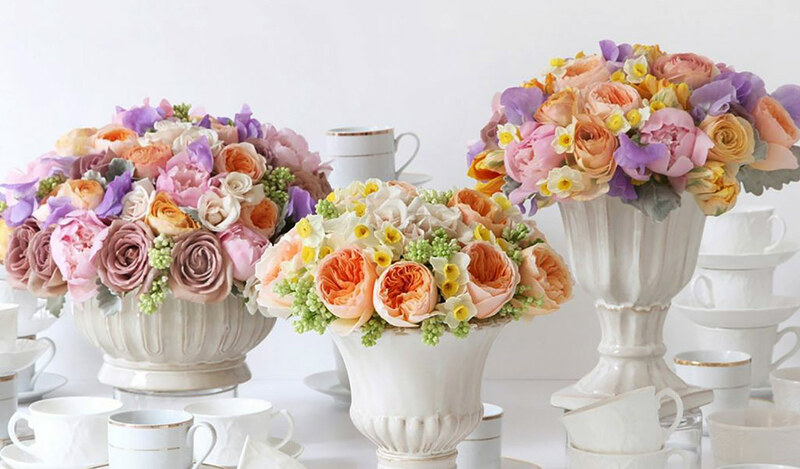 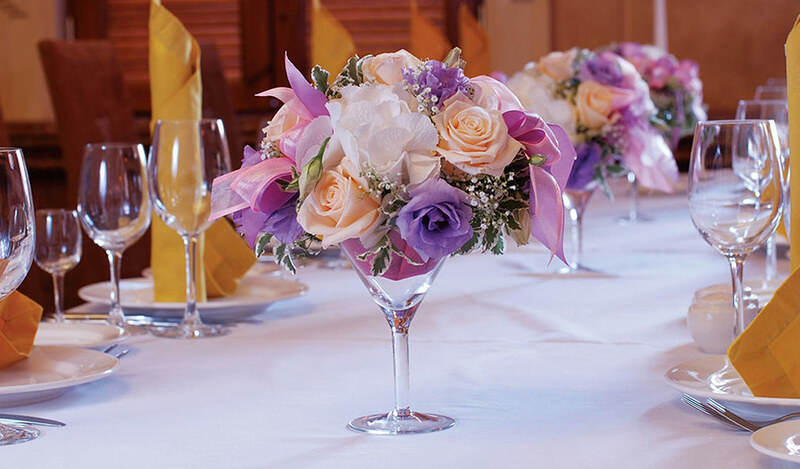 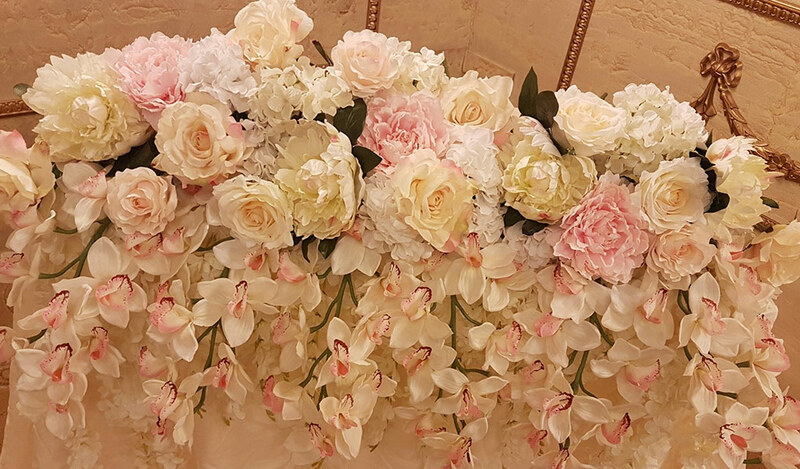 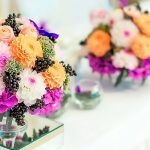 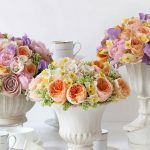 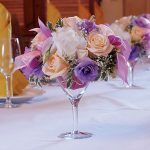 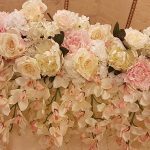 The flower arrangements of the tables and the chairs, elaborated especially for your event, will distinguish it from the other and will make unforgettable impression to all participants. 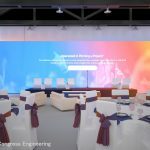 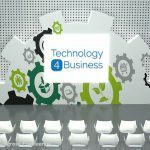 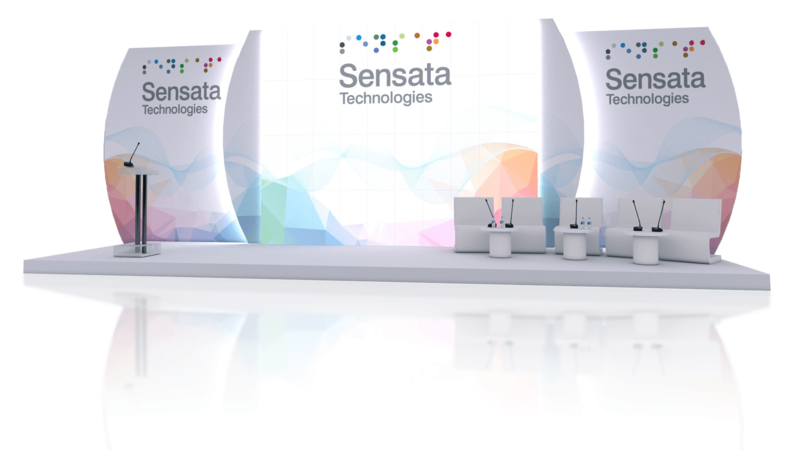 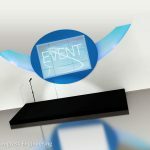 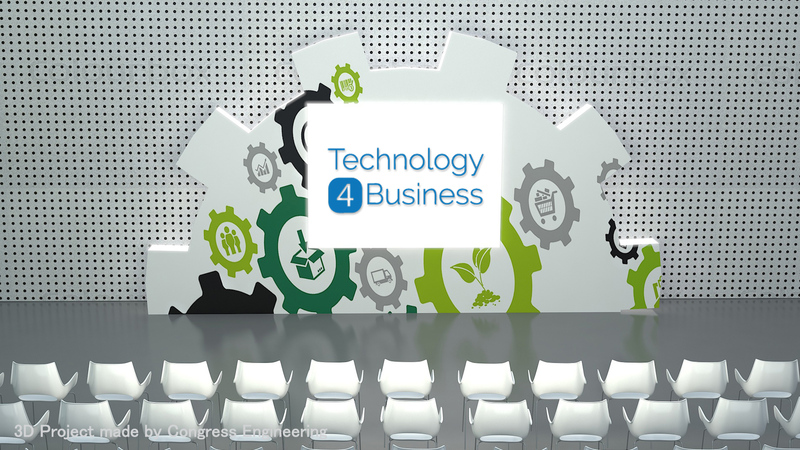 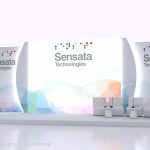 The new technologies give us the possibility to show your future event today and we can present even the smallest detail, so that your guests and participants can remember you. 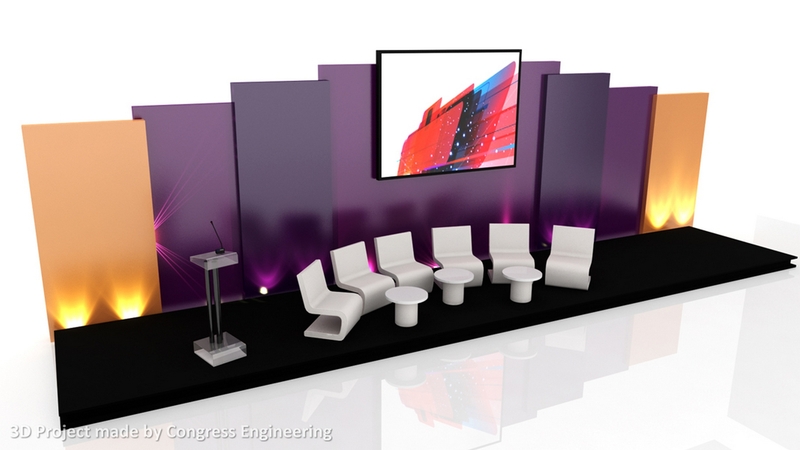 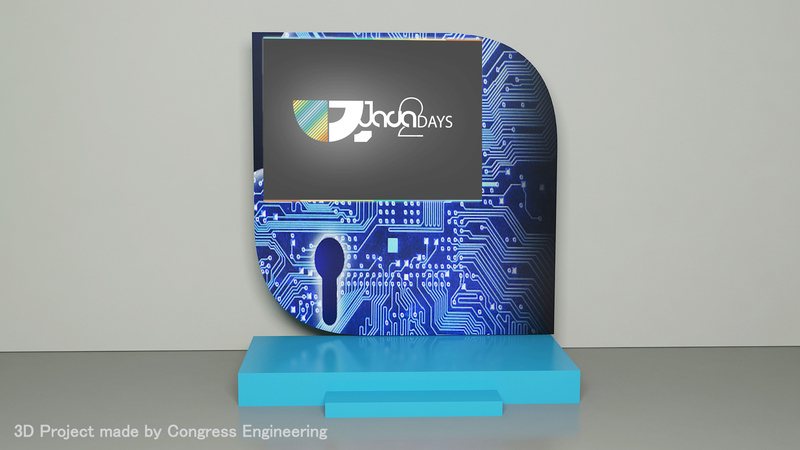 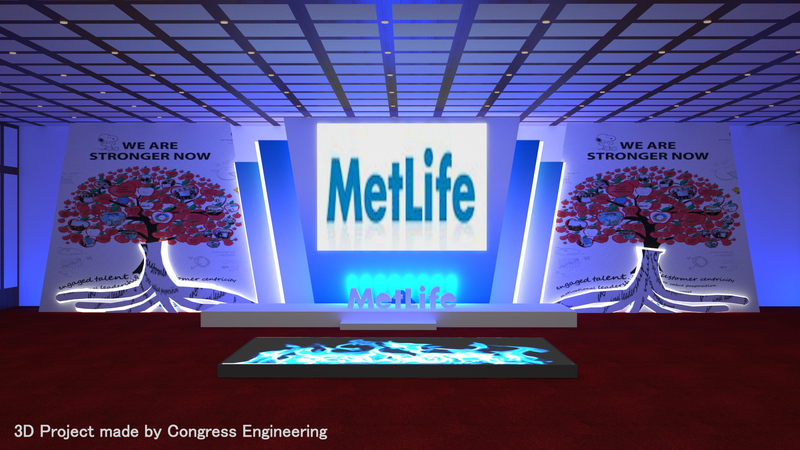 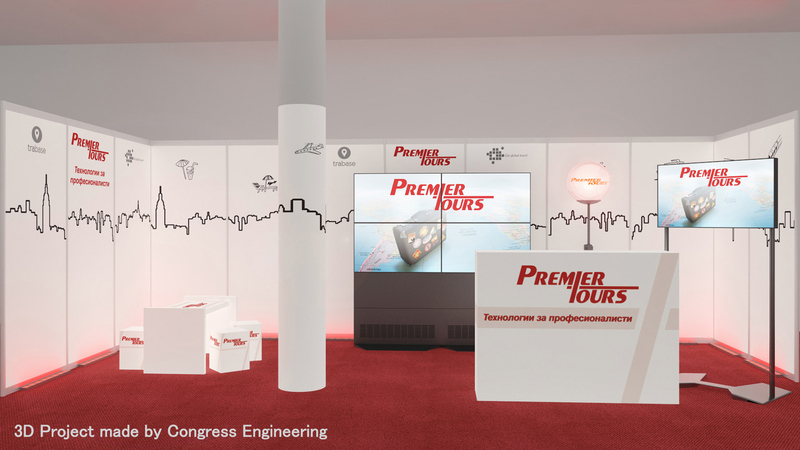 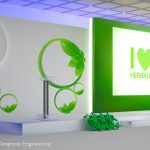 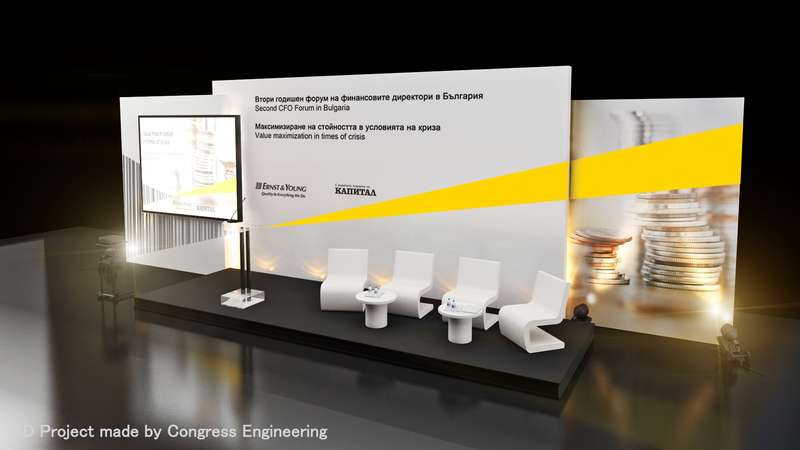 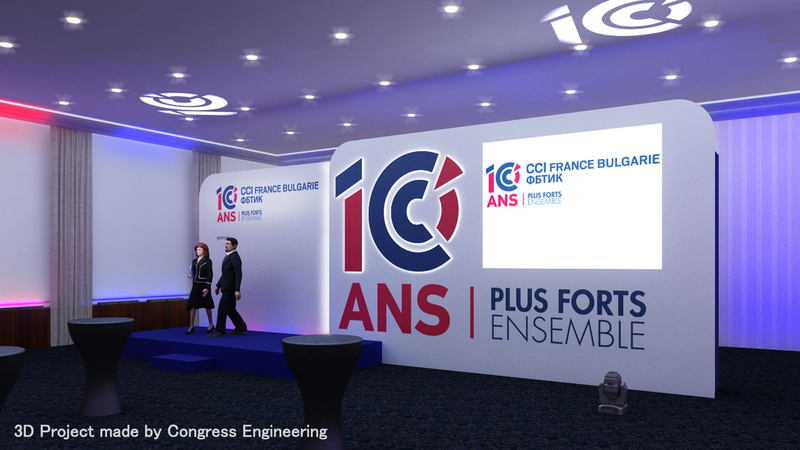 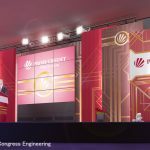 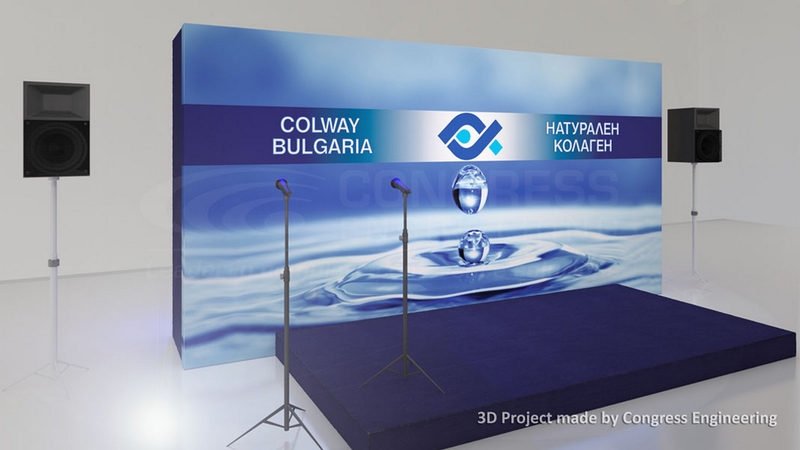 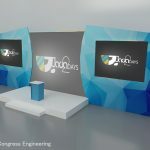 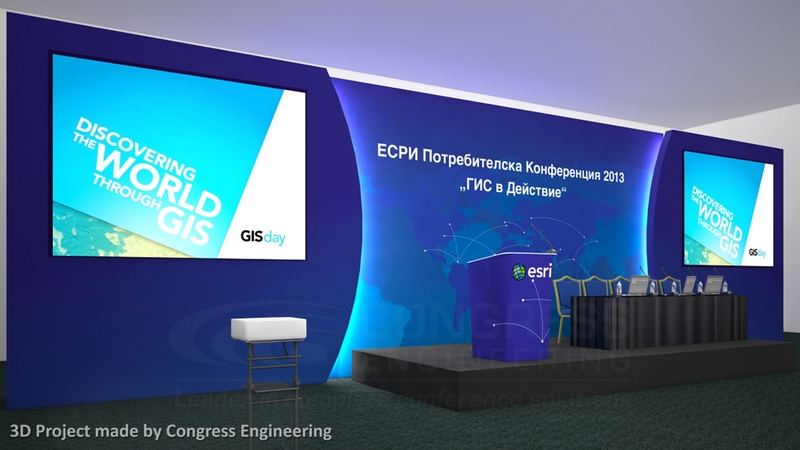 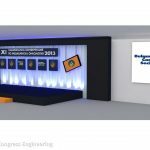 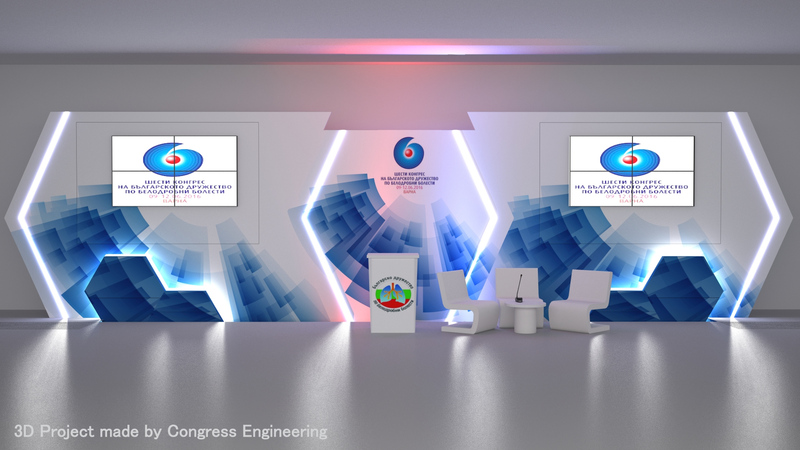 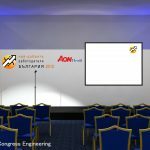 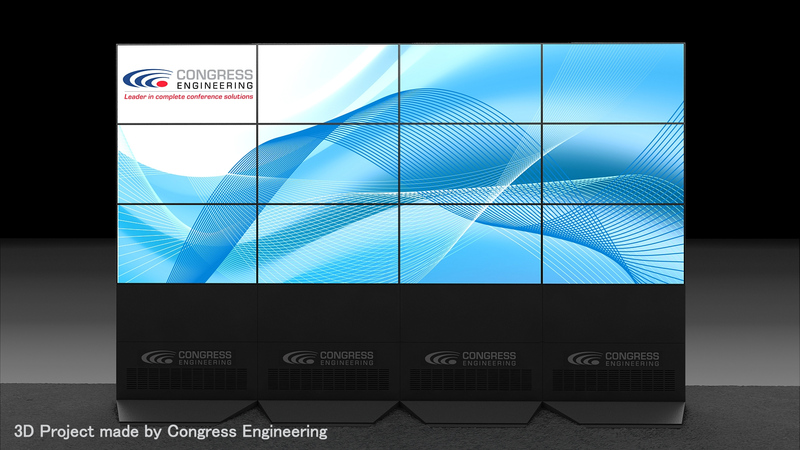 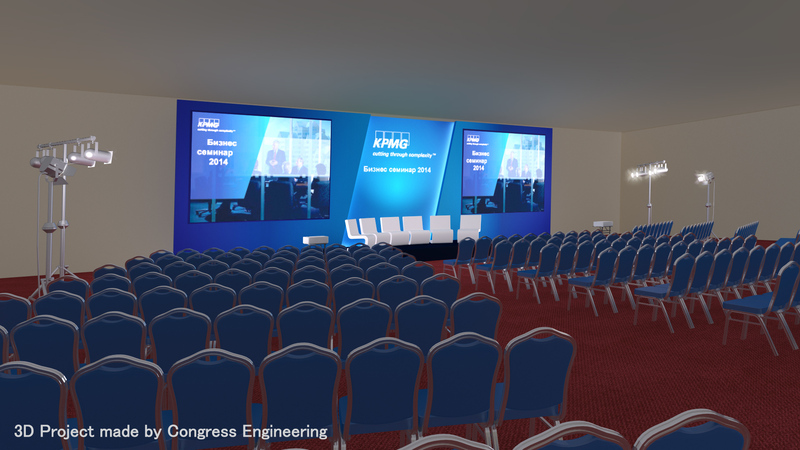 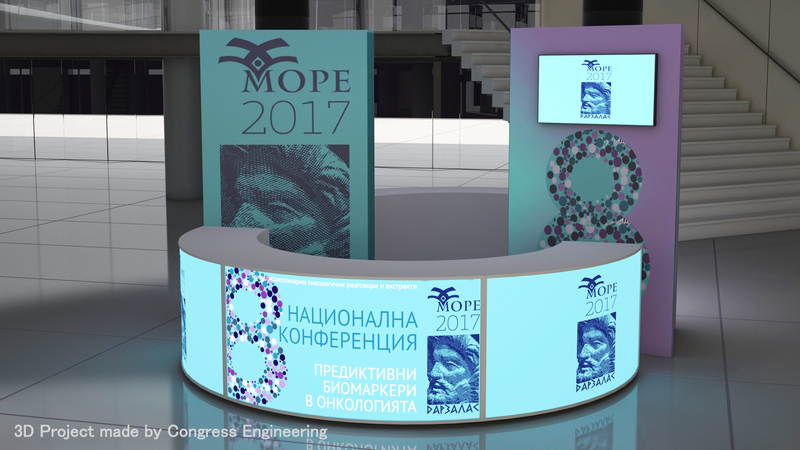 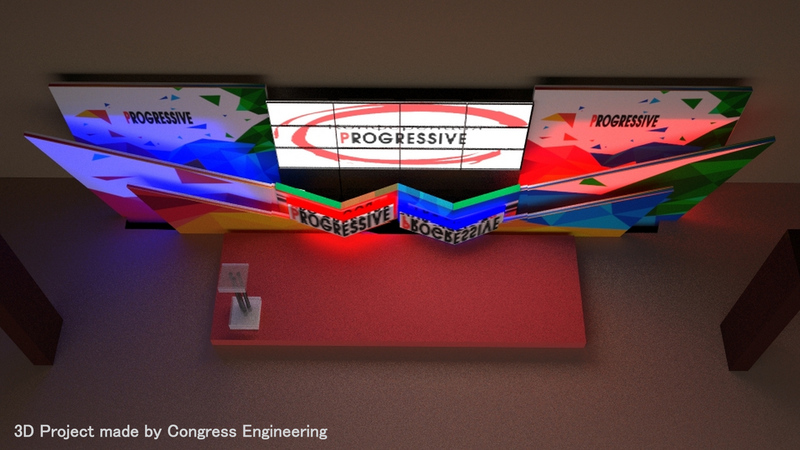 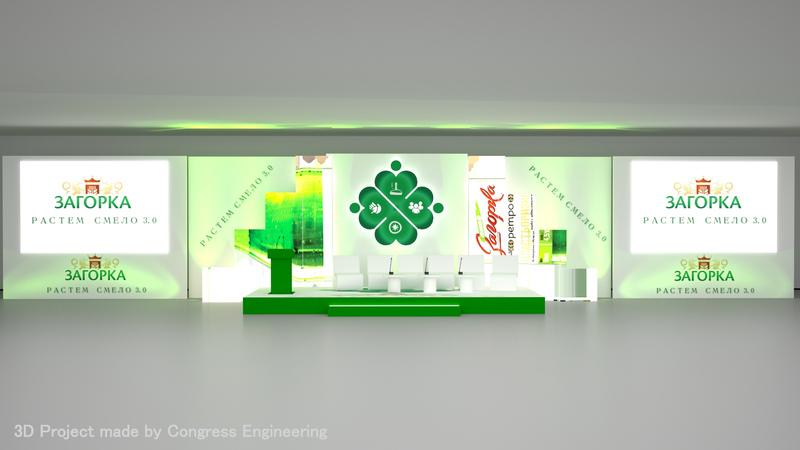 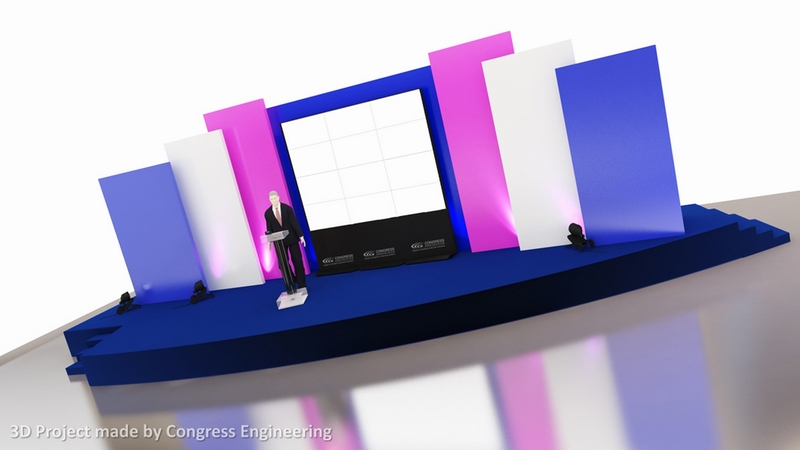 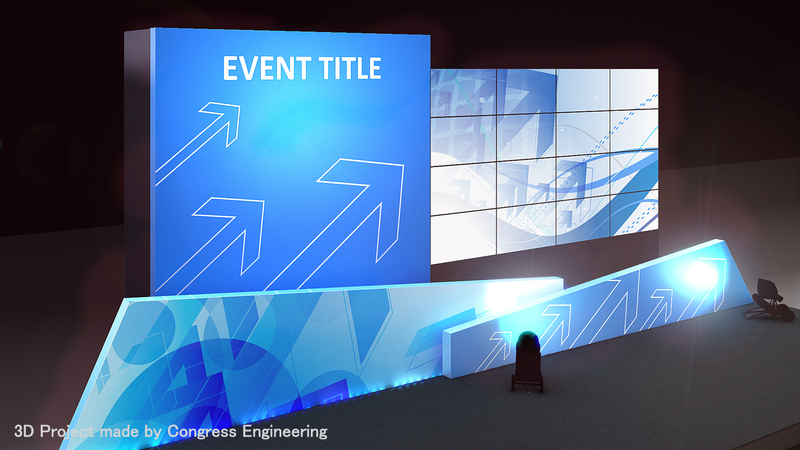 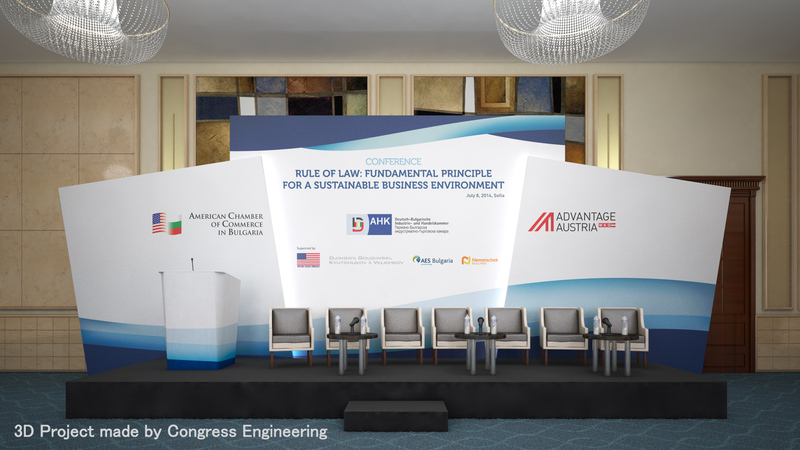 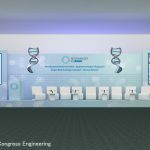 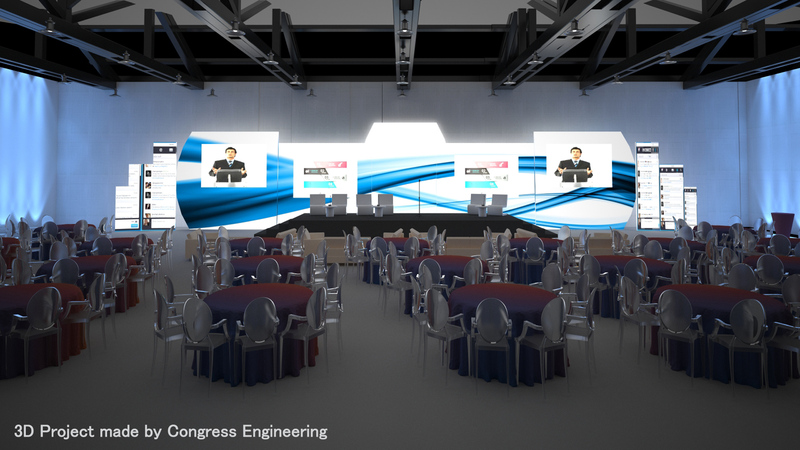 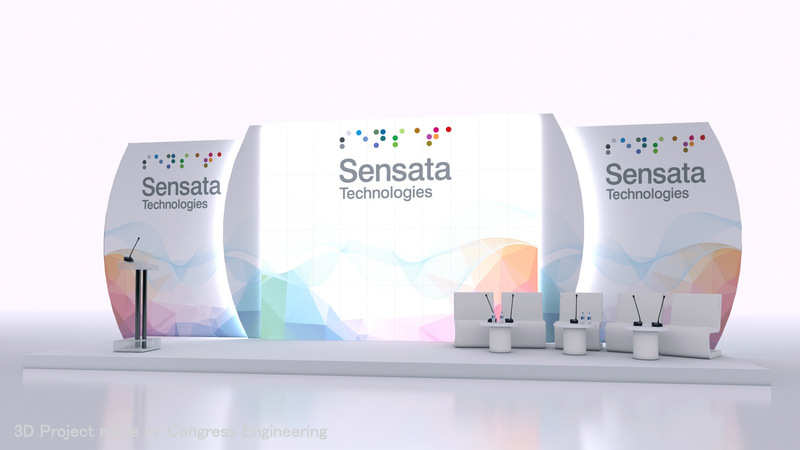 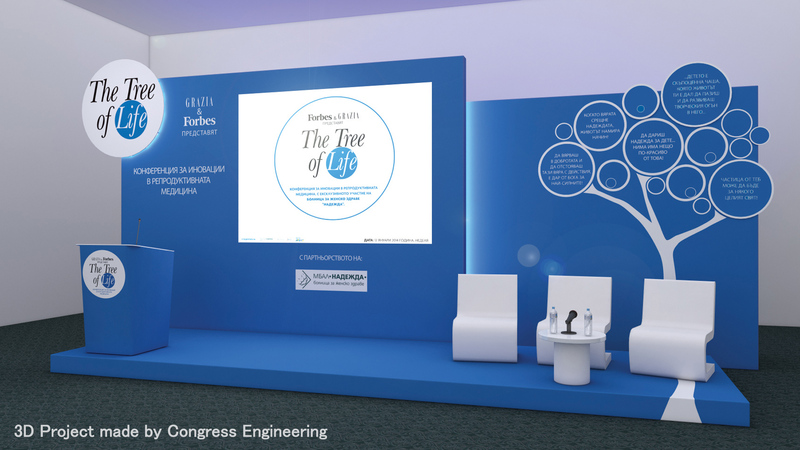 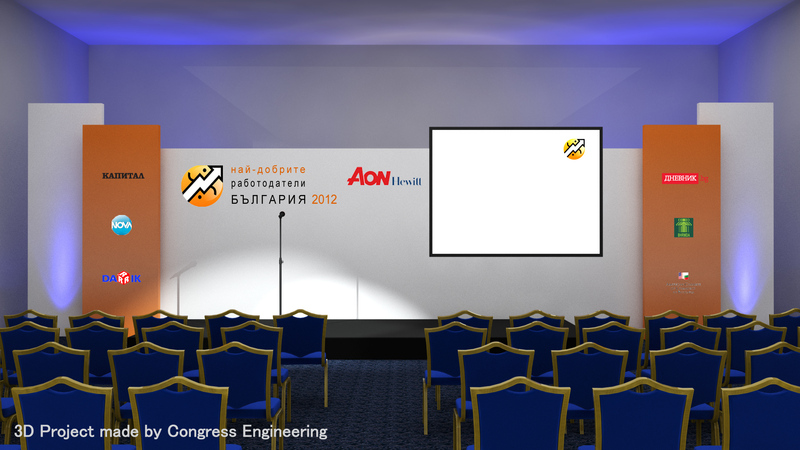 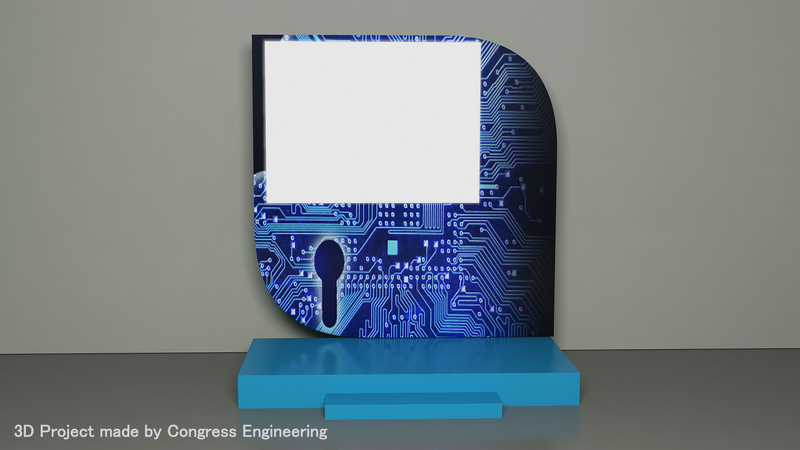 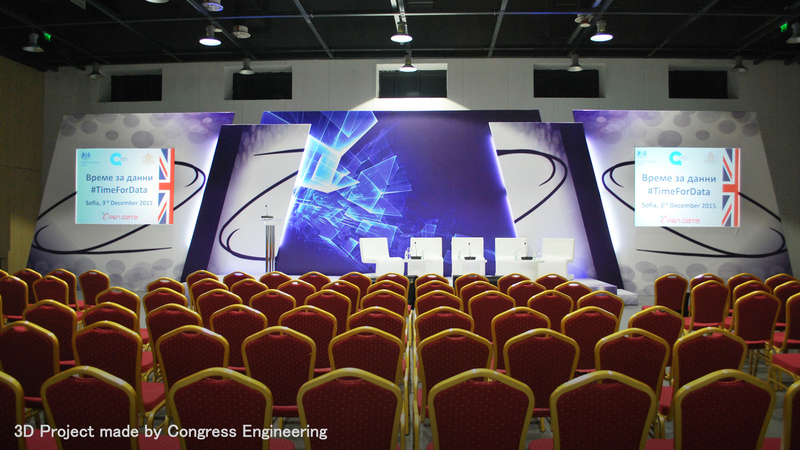 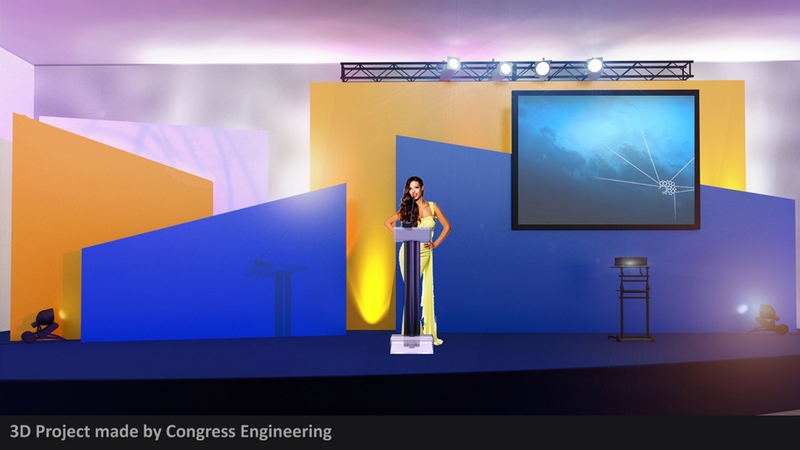 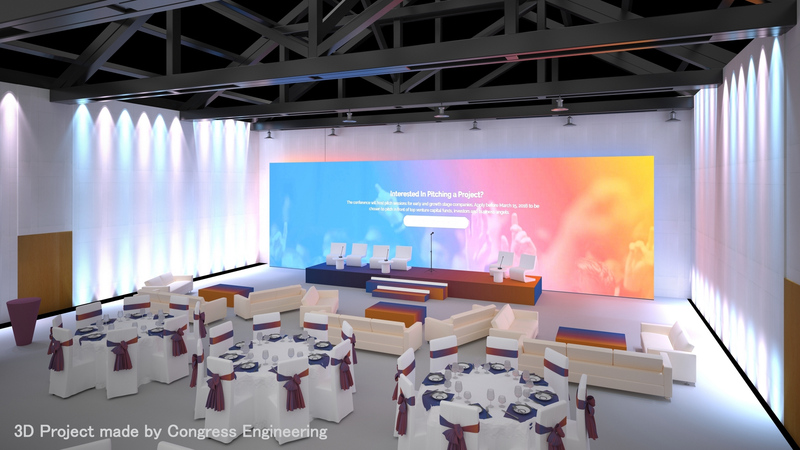 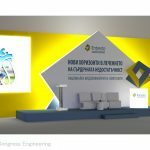 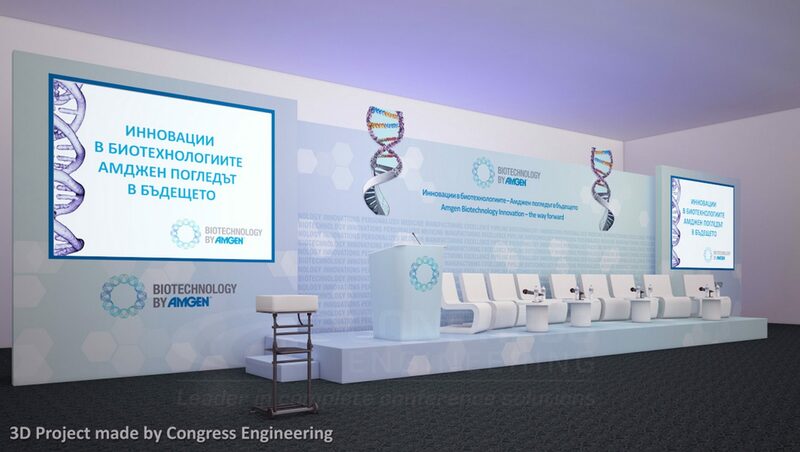 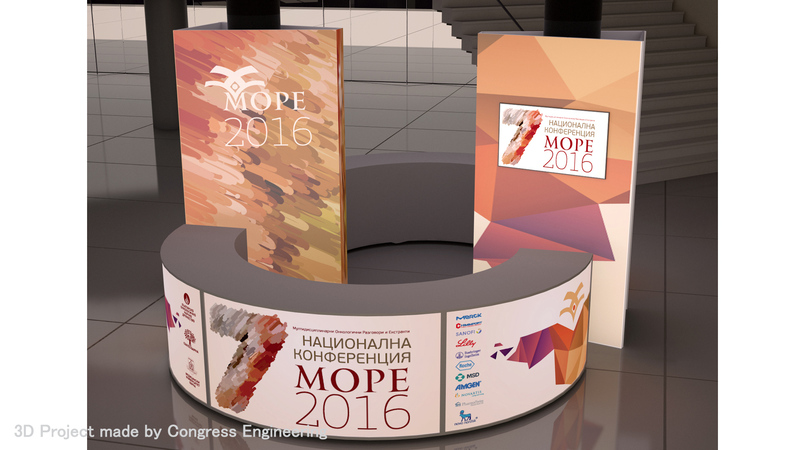 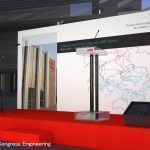 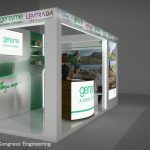 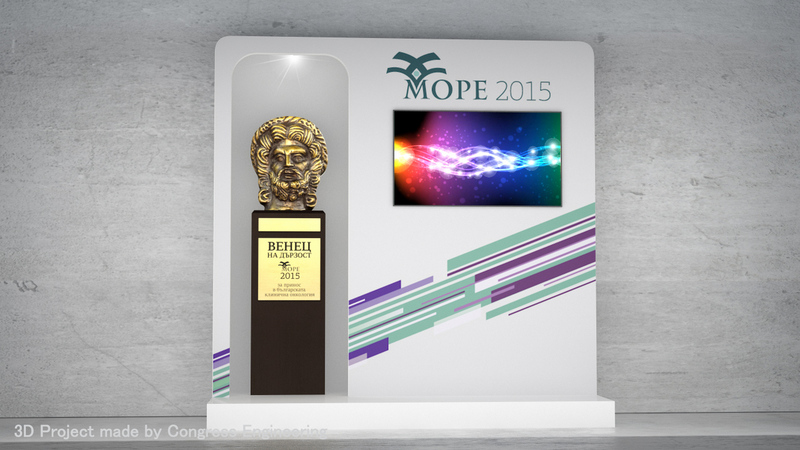 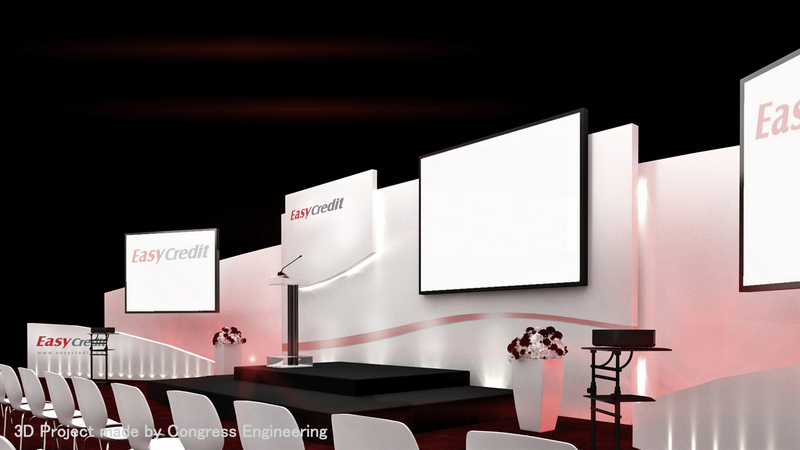 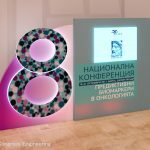 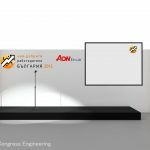 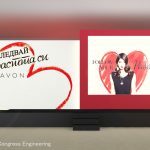 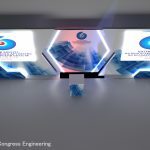 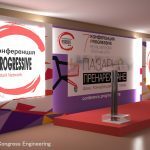 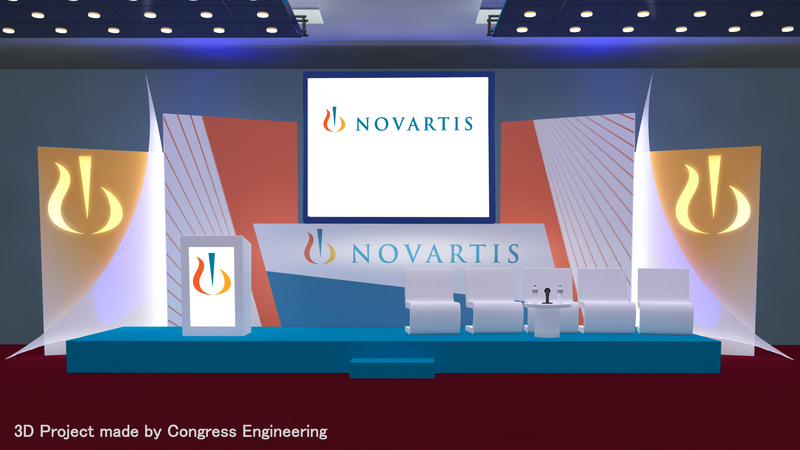 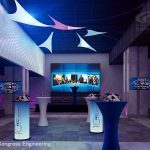 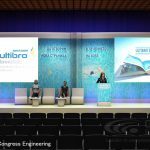 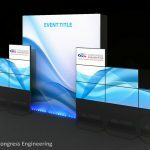 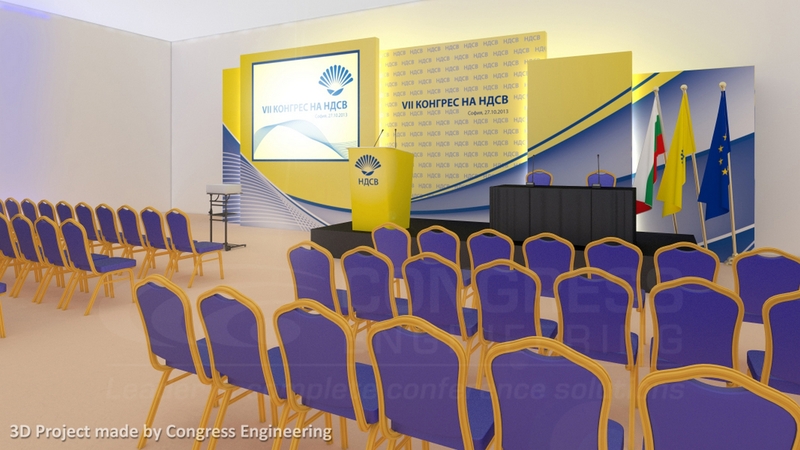 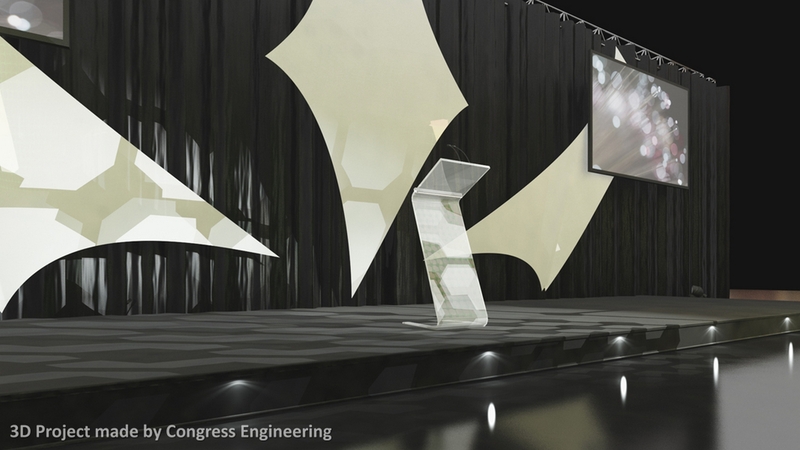 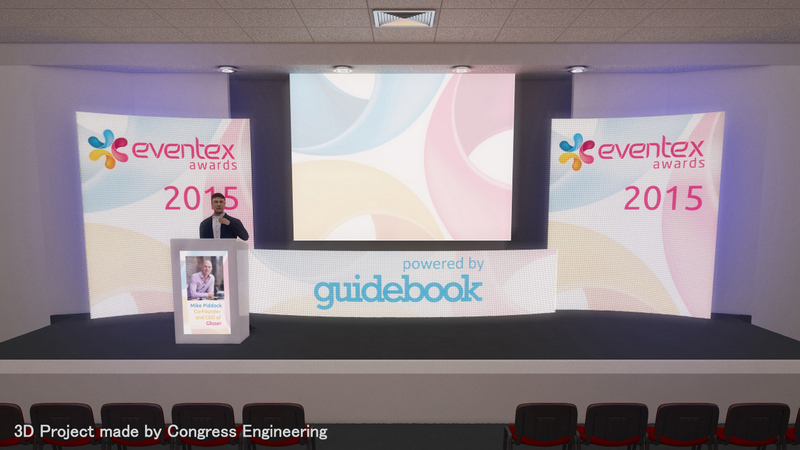 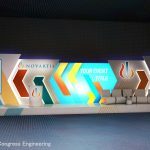 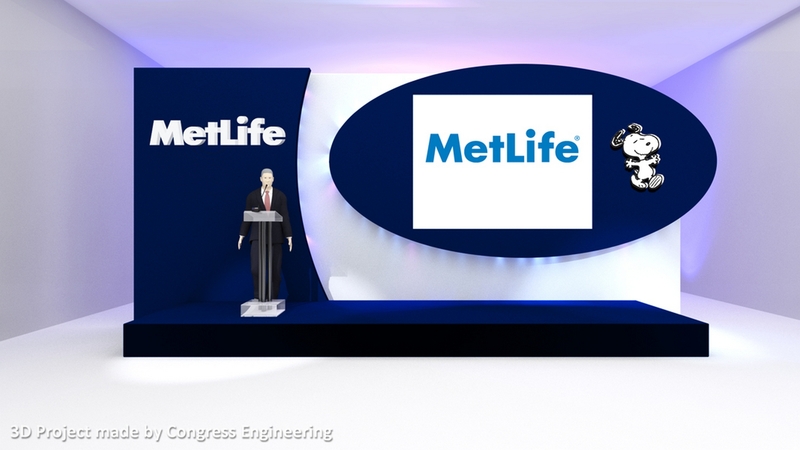 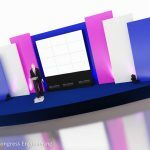 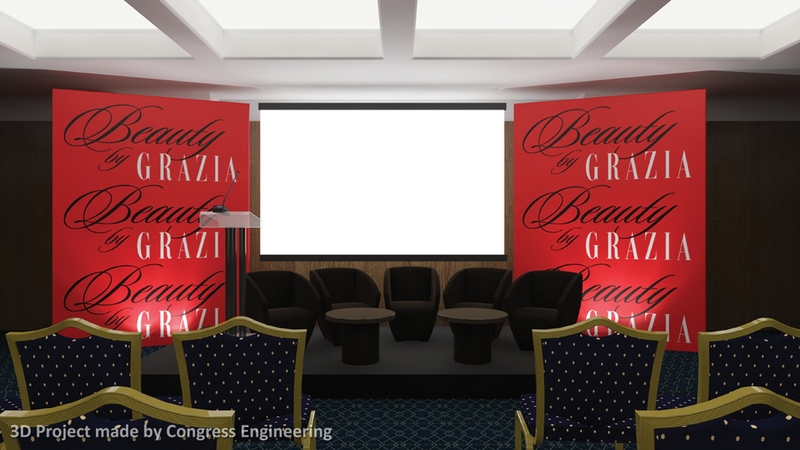 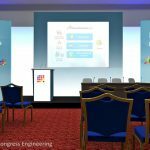 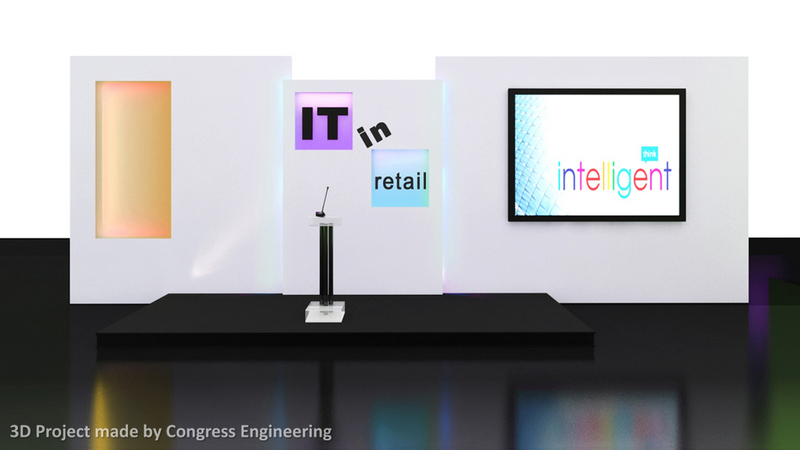 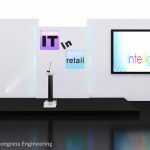 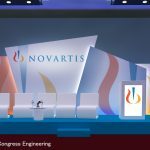 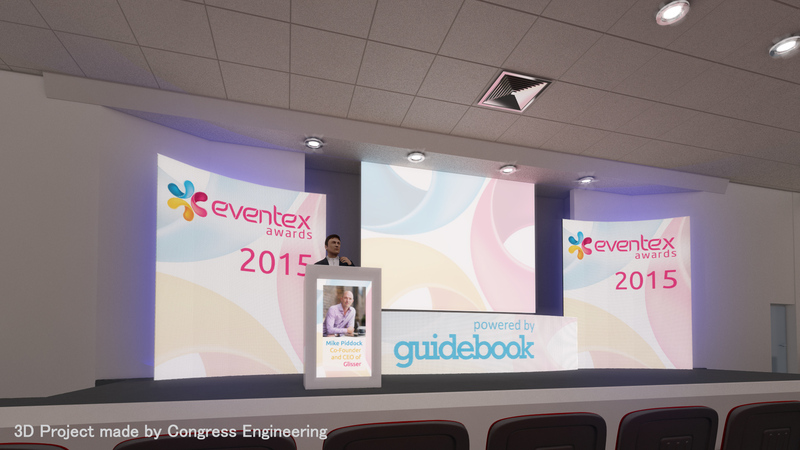 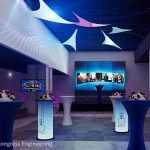 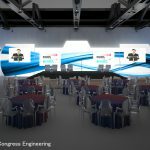 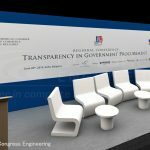 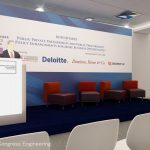 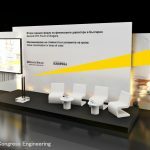 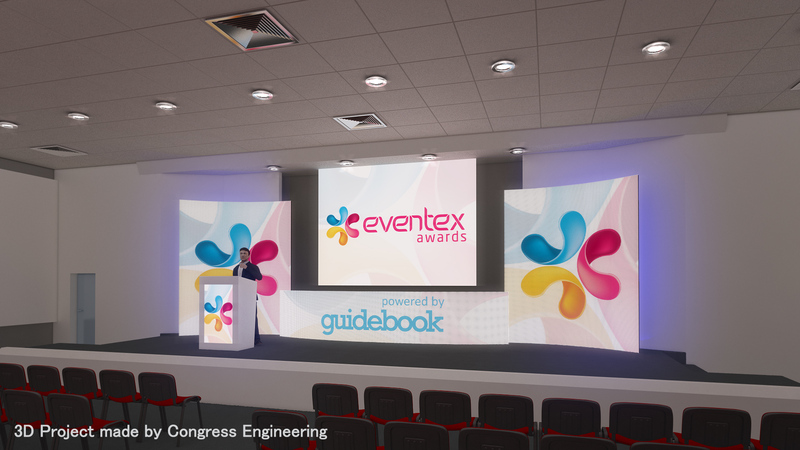 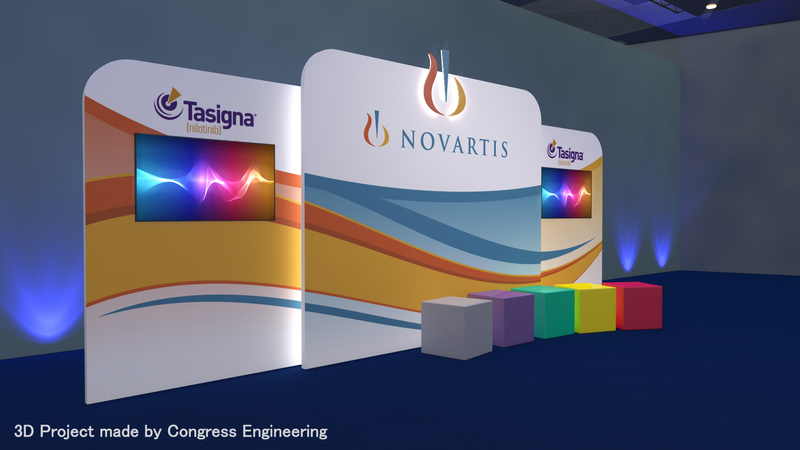 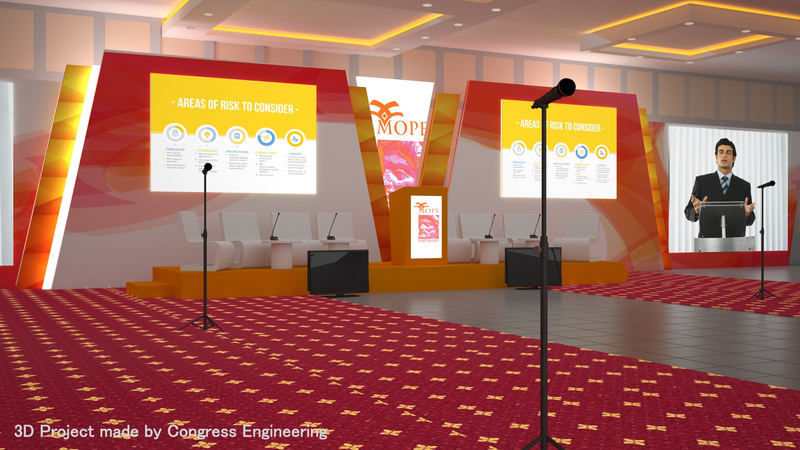 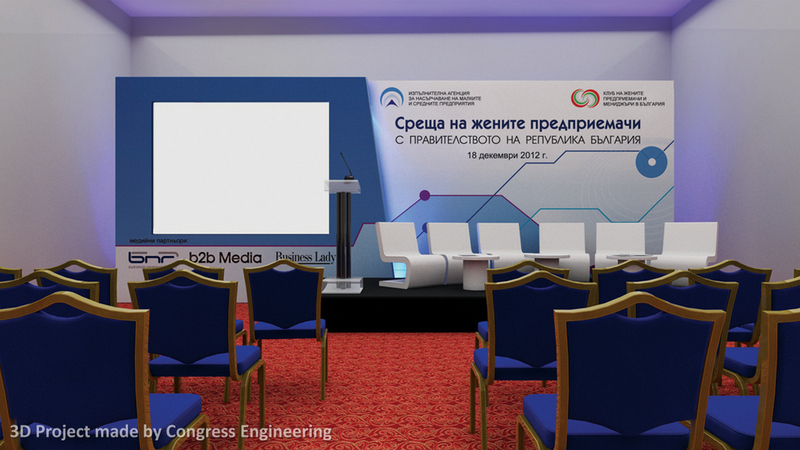 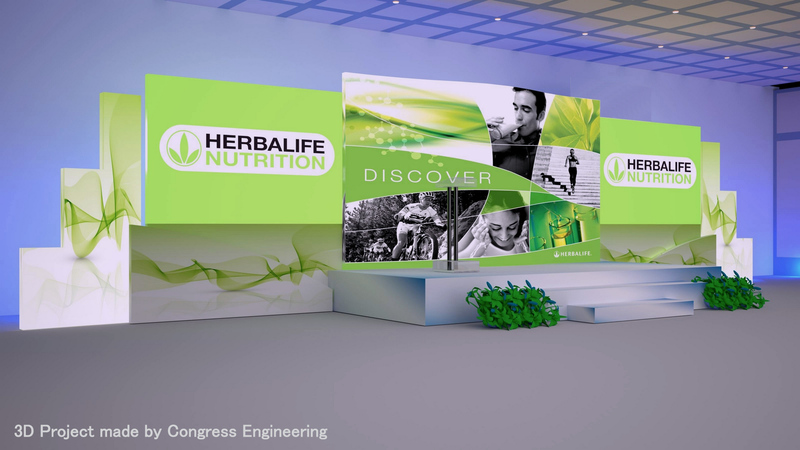 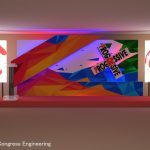 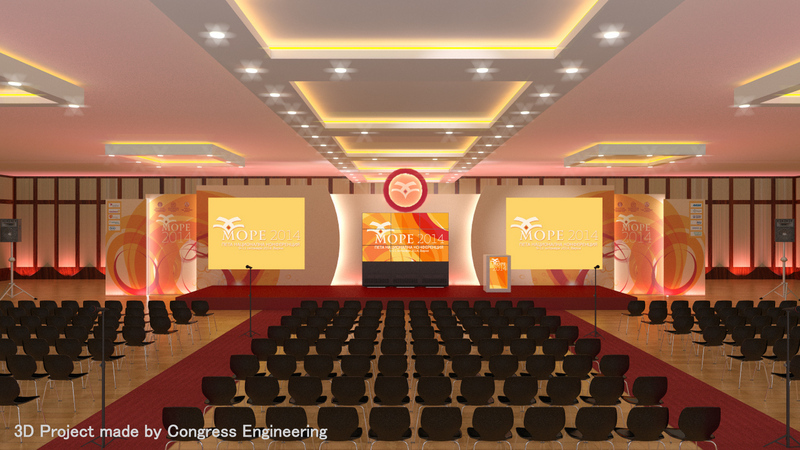 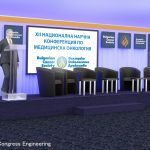 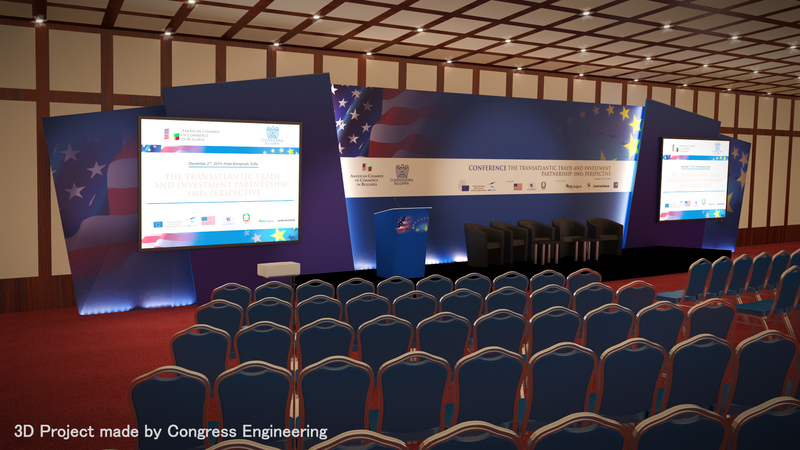 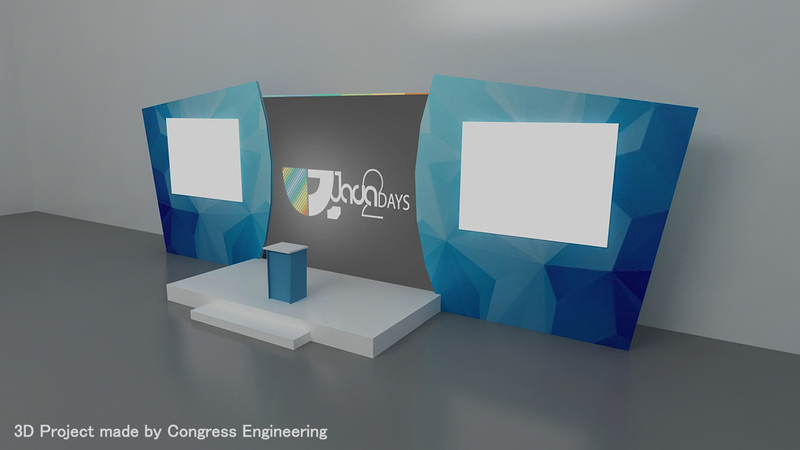 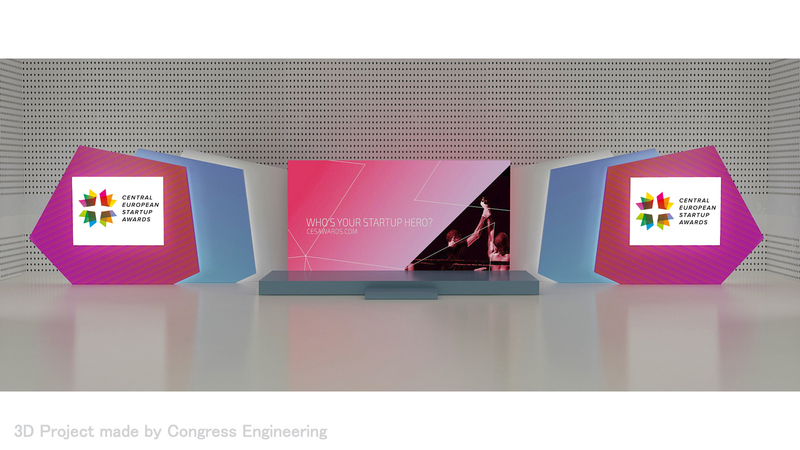 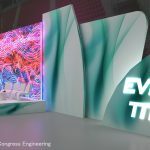 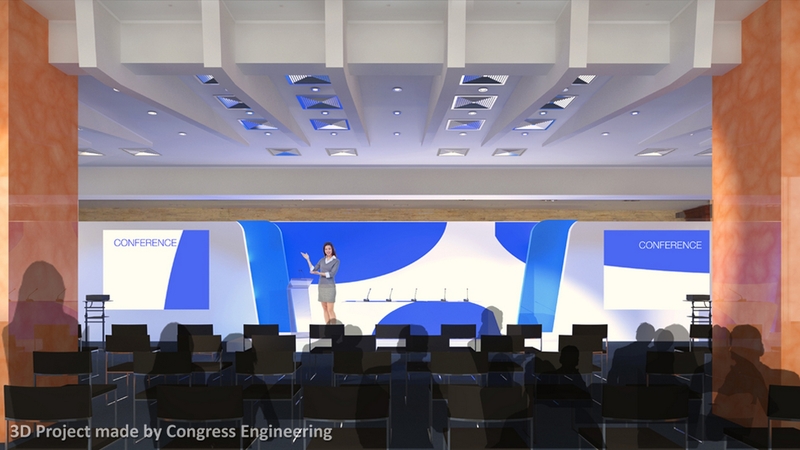 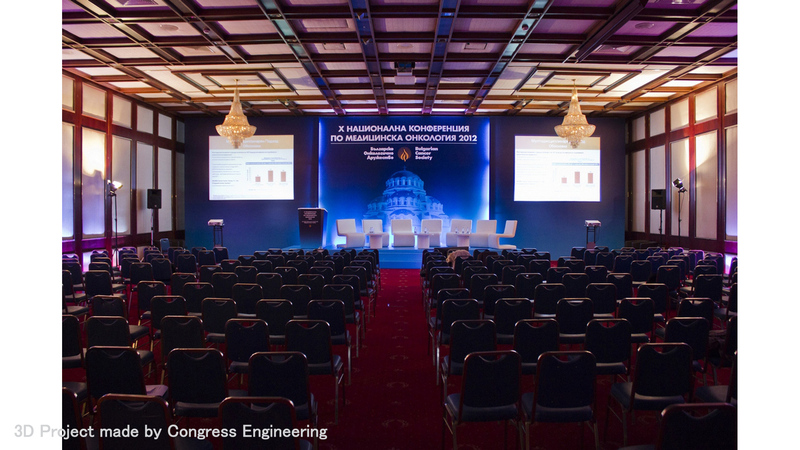 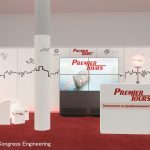 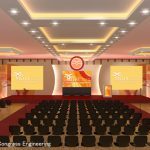 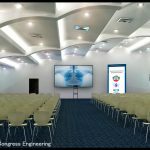 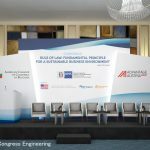 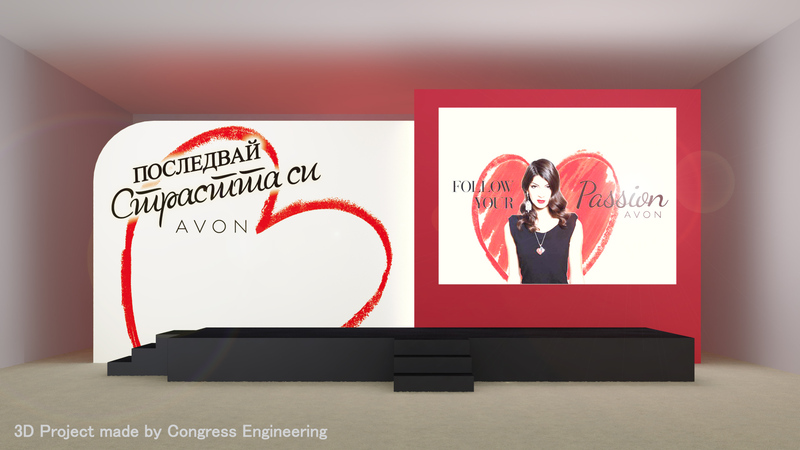 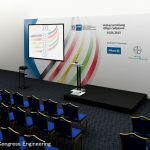 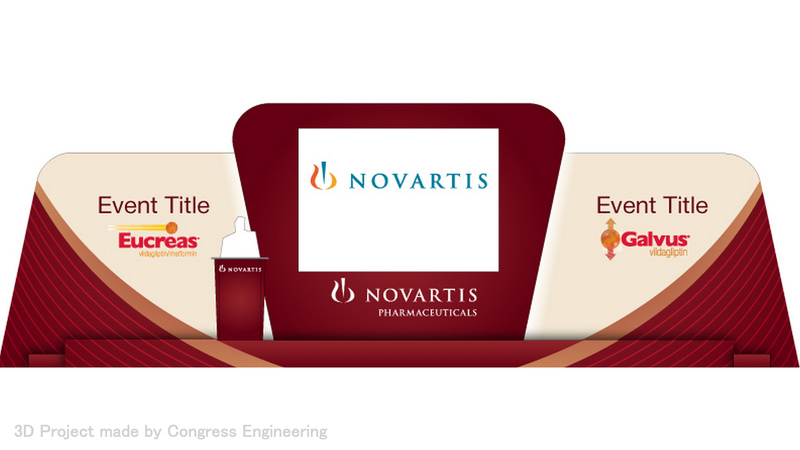 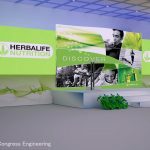 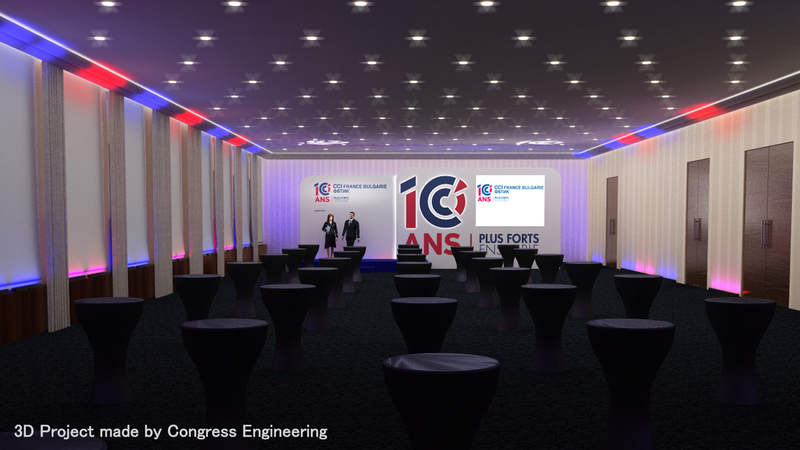 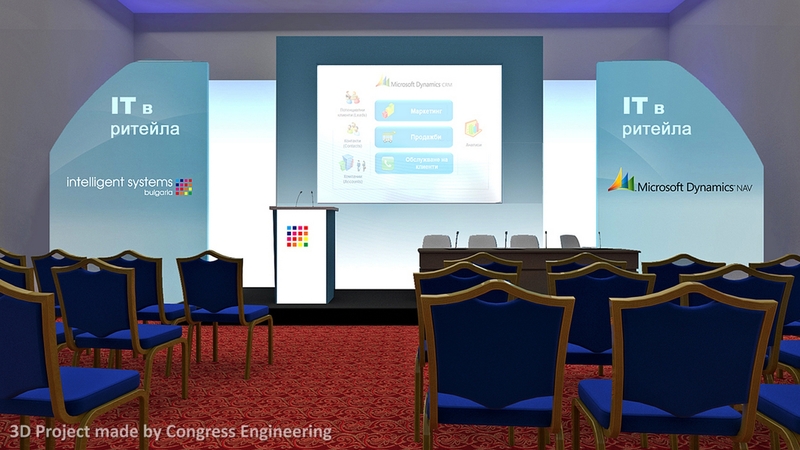 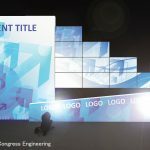 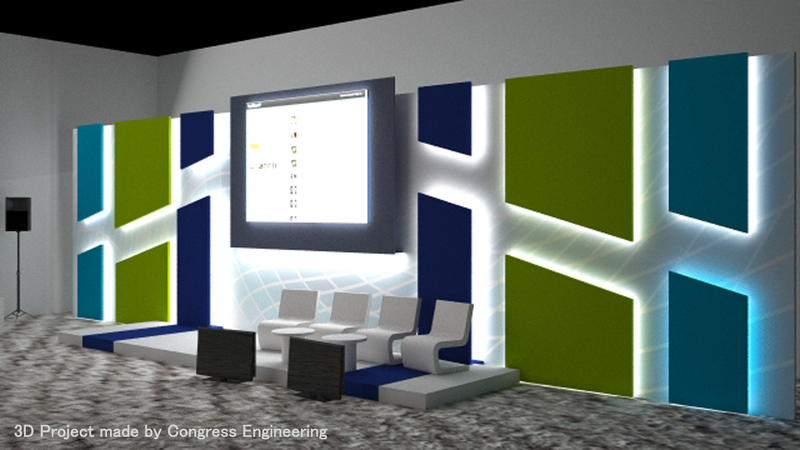 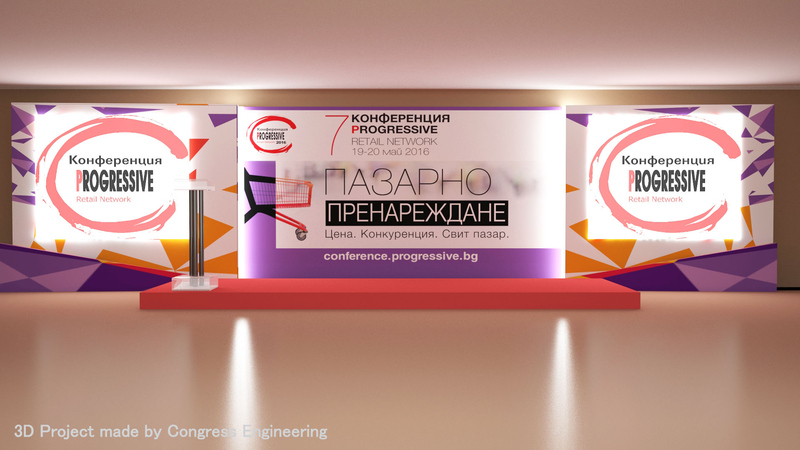 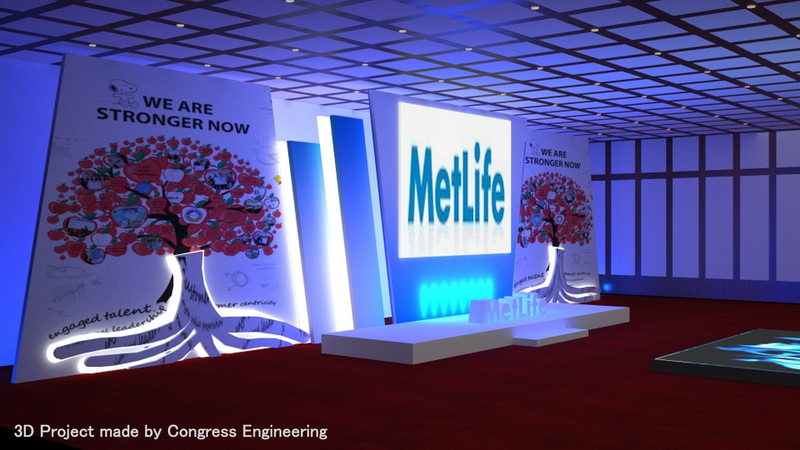 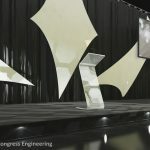 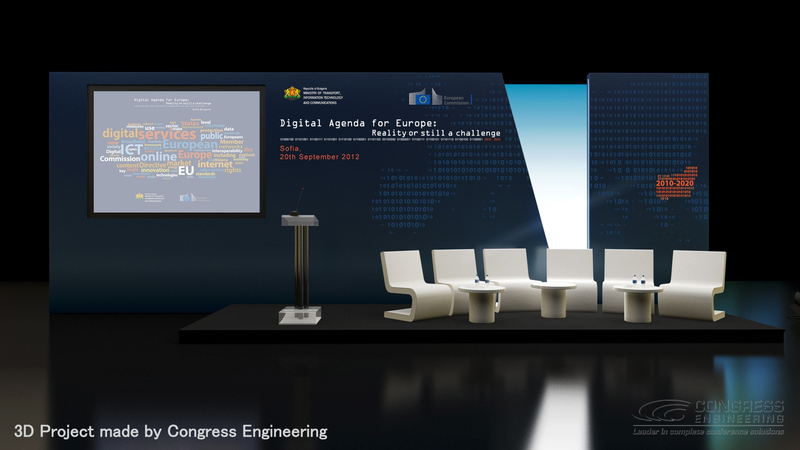 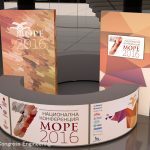 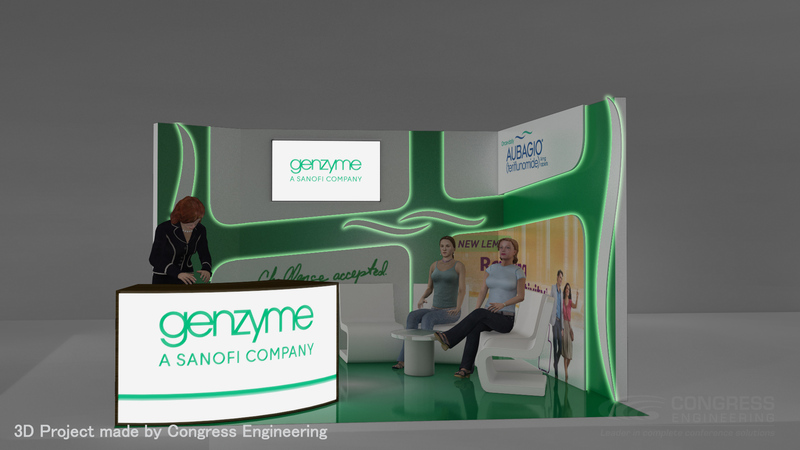 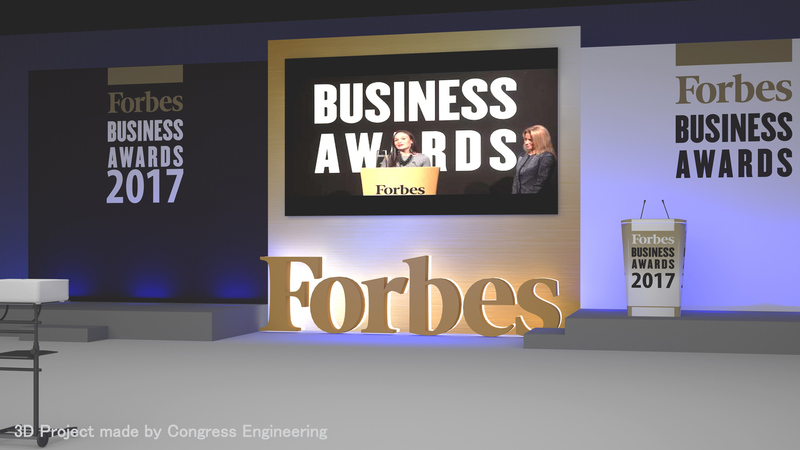 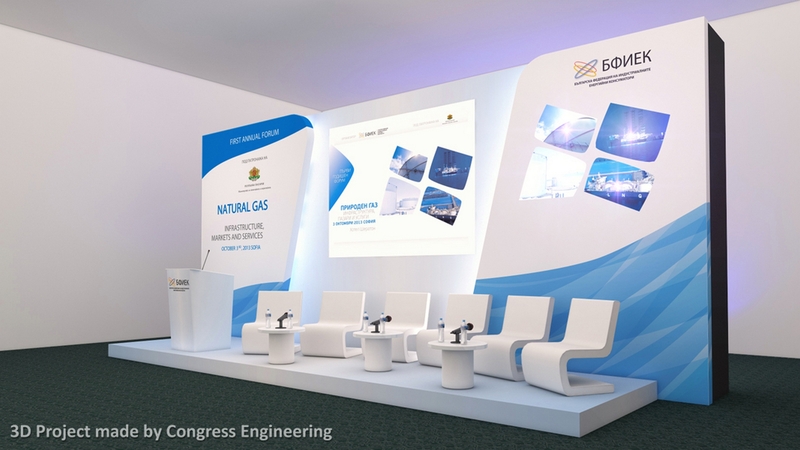 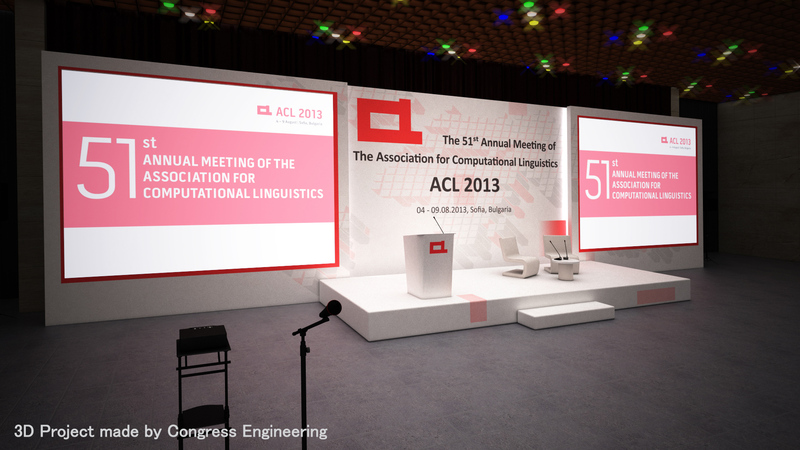 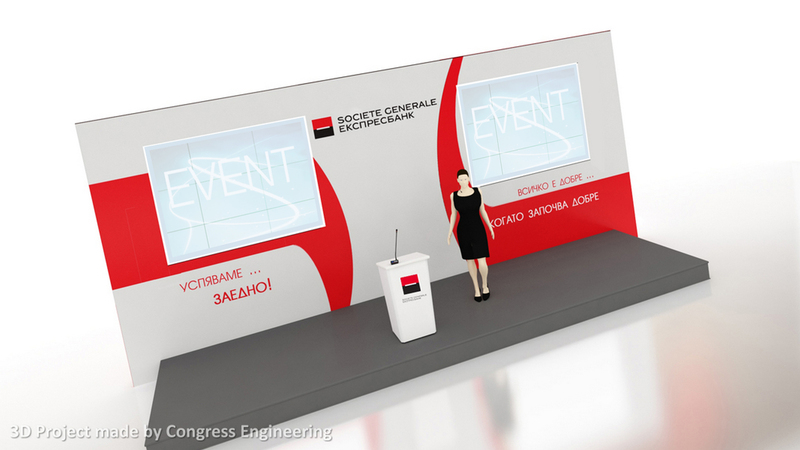 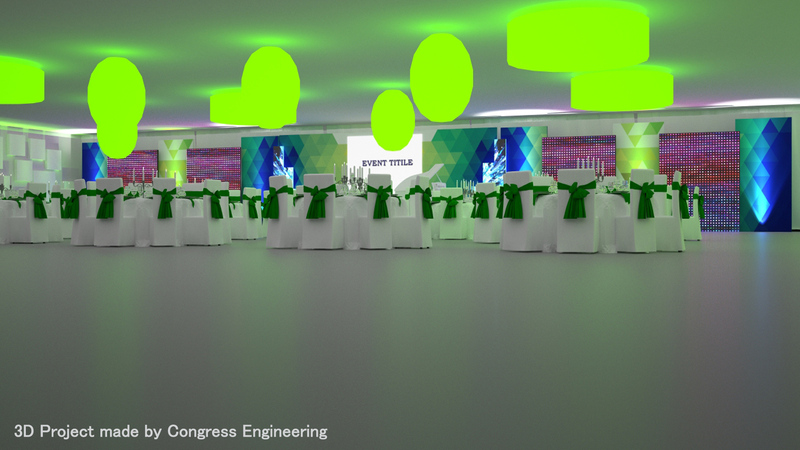 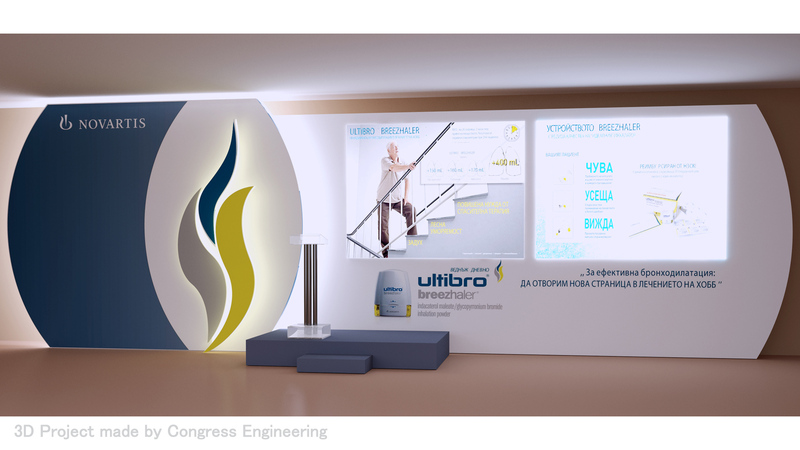 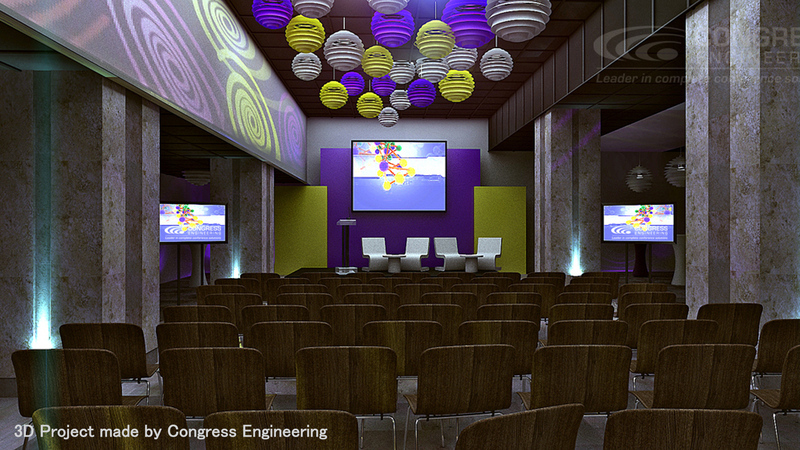 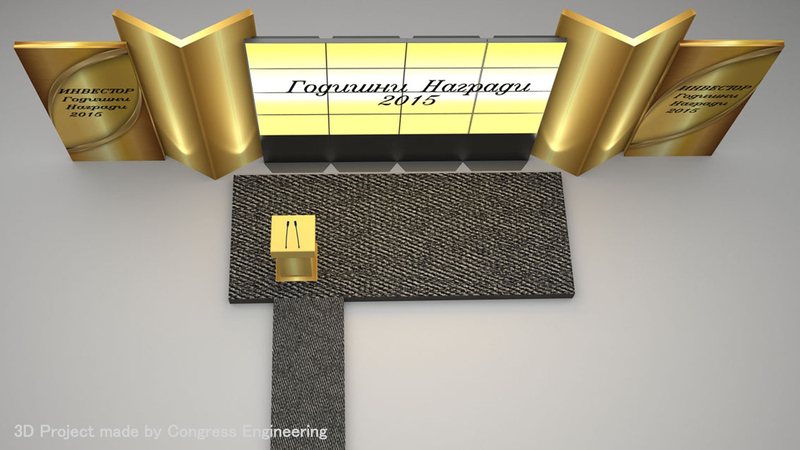 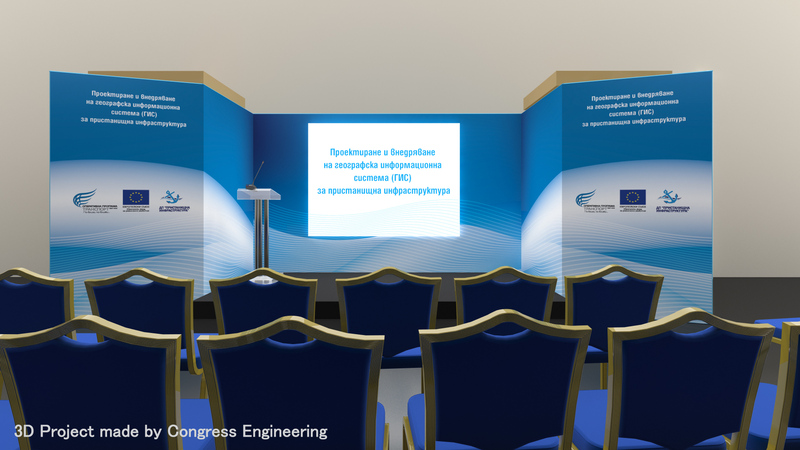 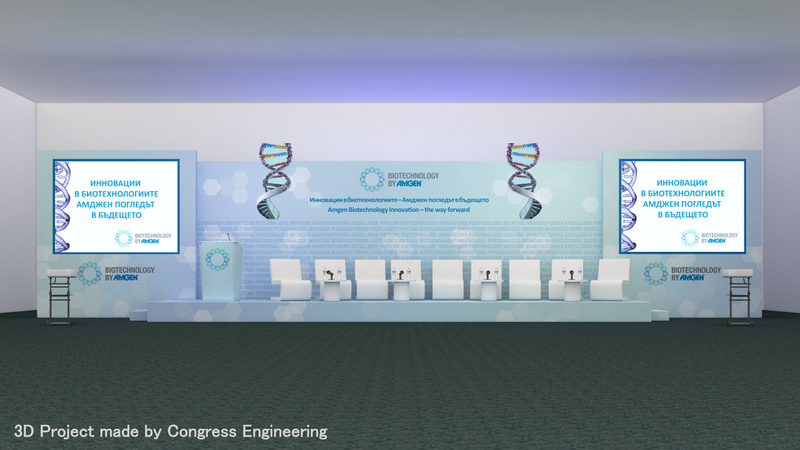 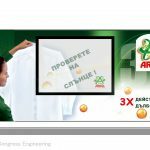 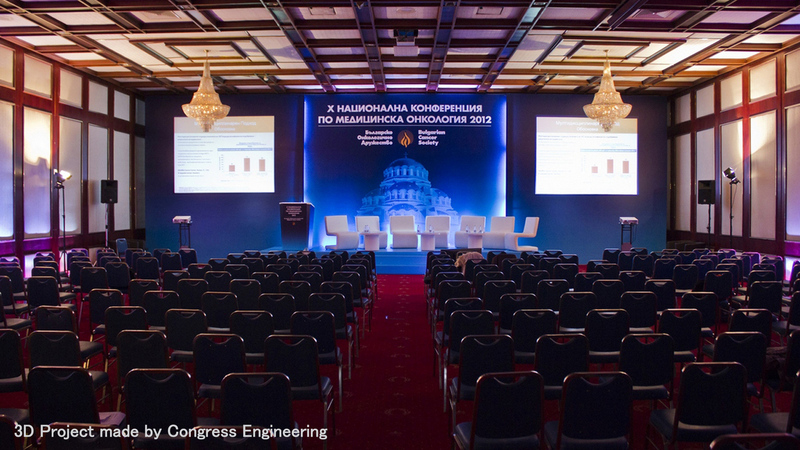 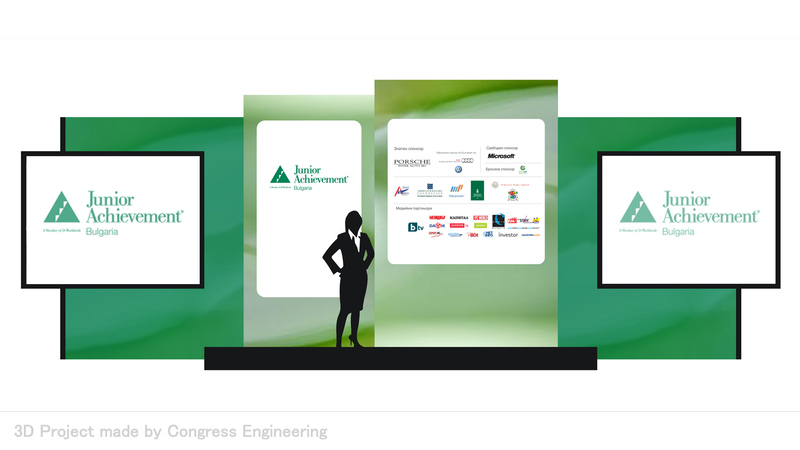 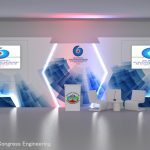 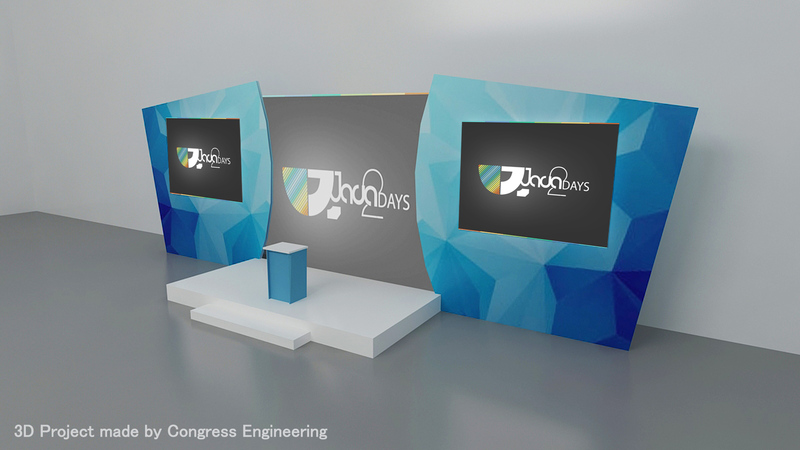 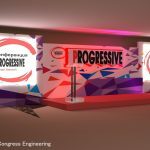 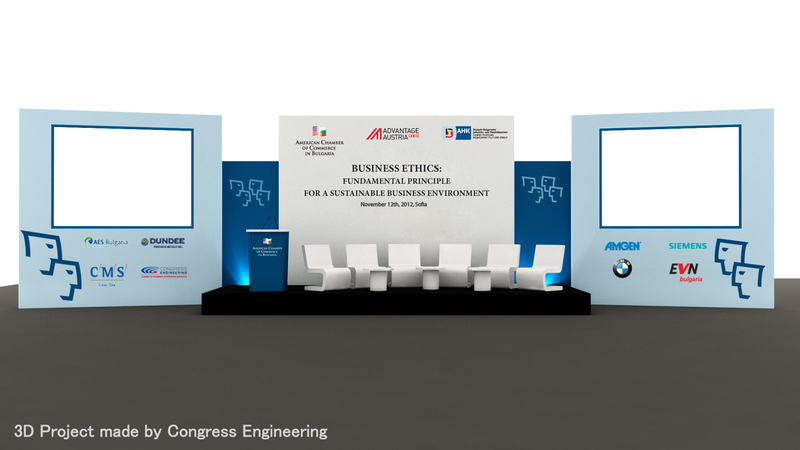 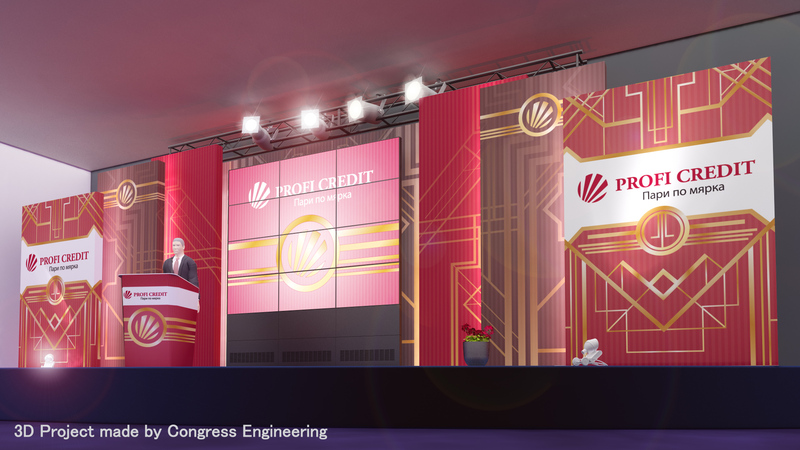 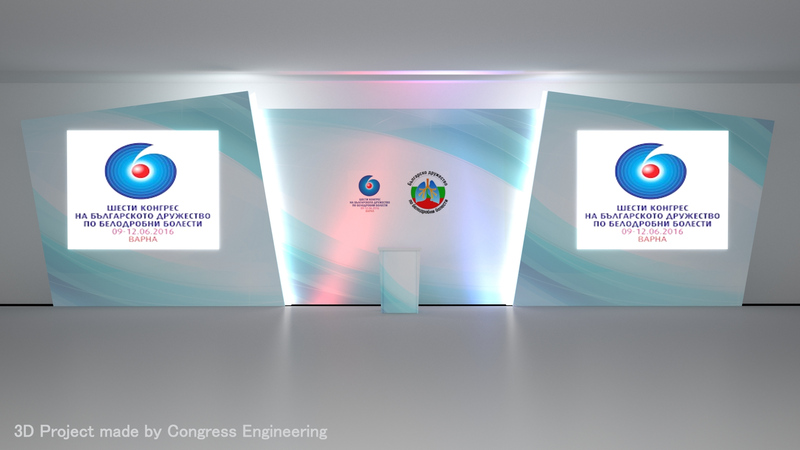 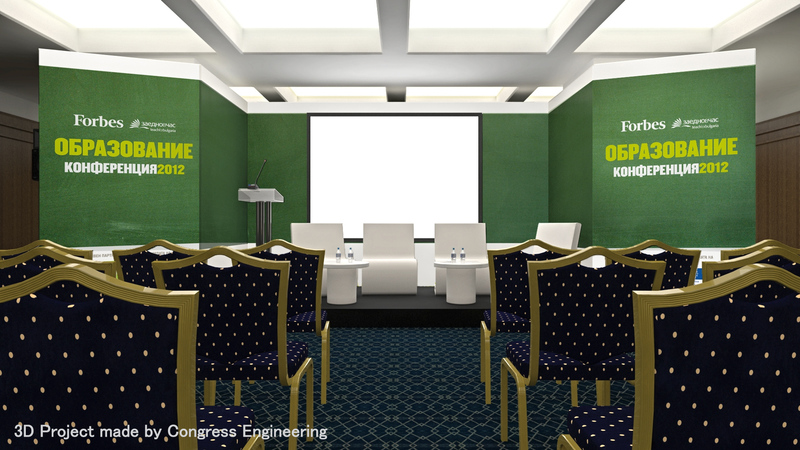 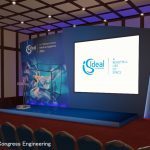 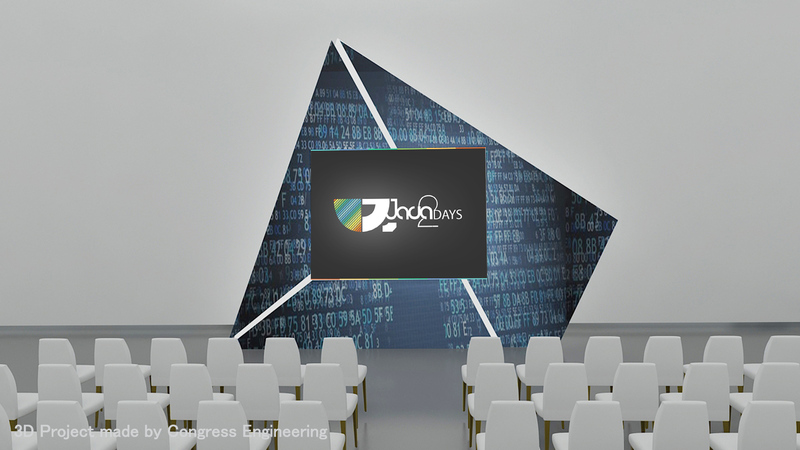 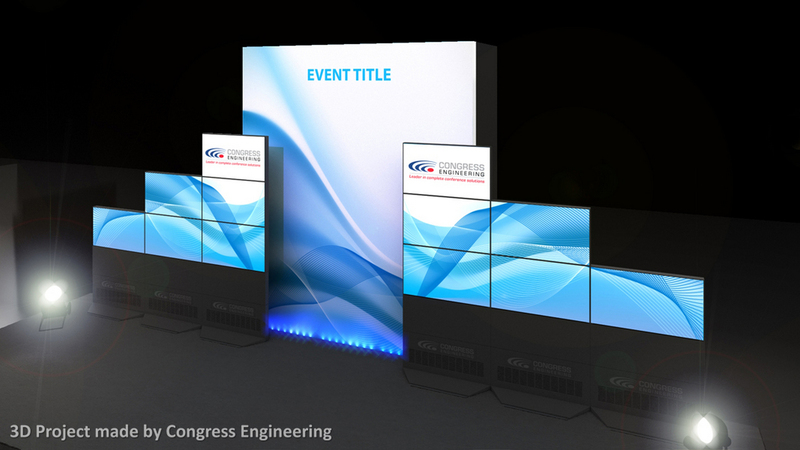 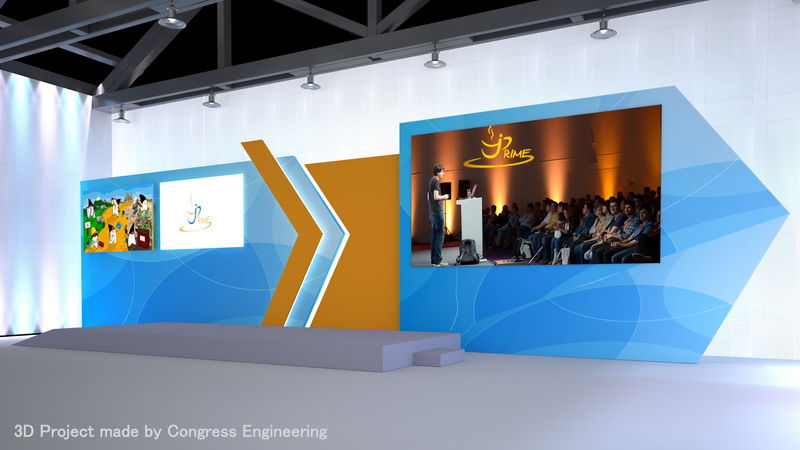 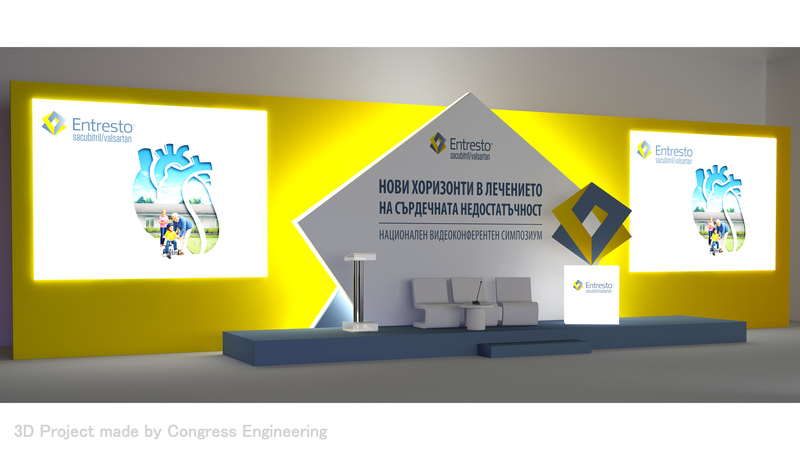 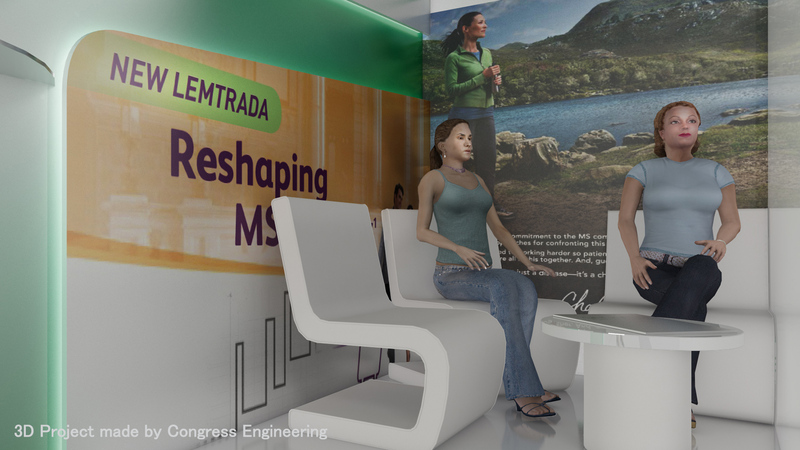 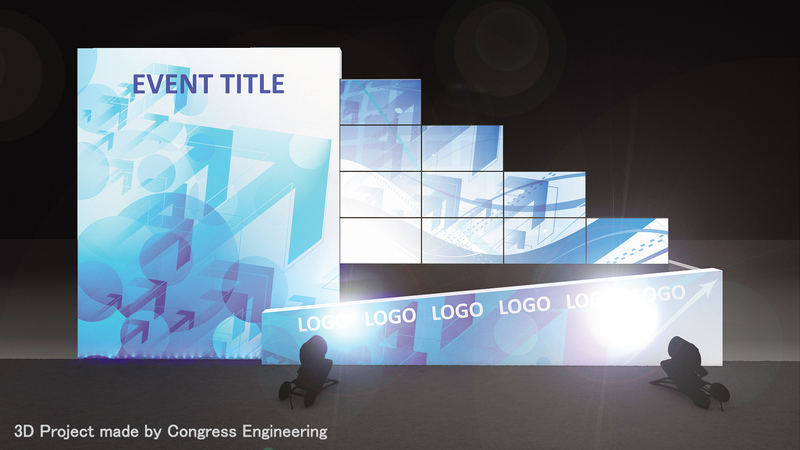 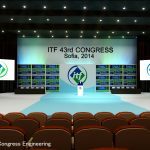 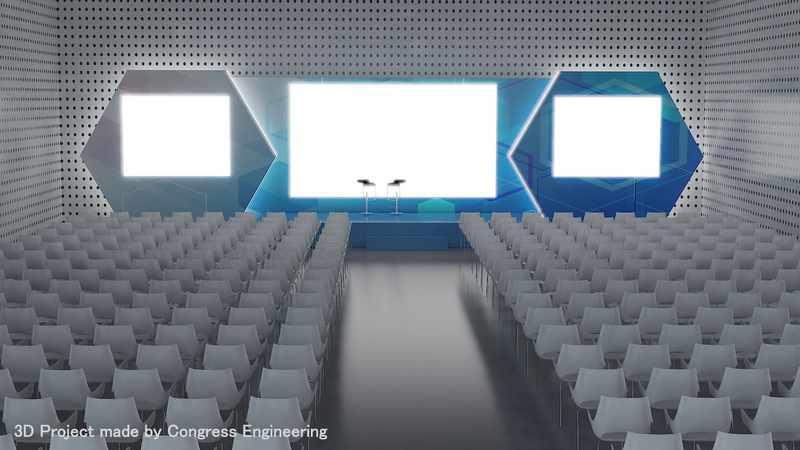 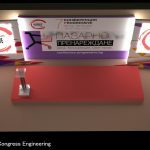 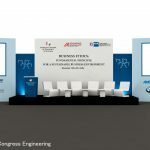 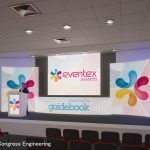 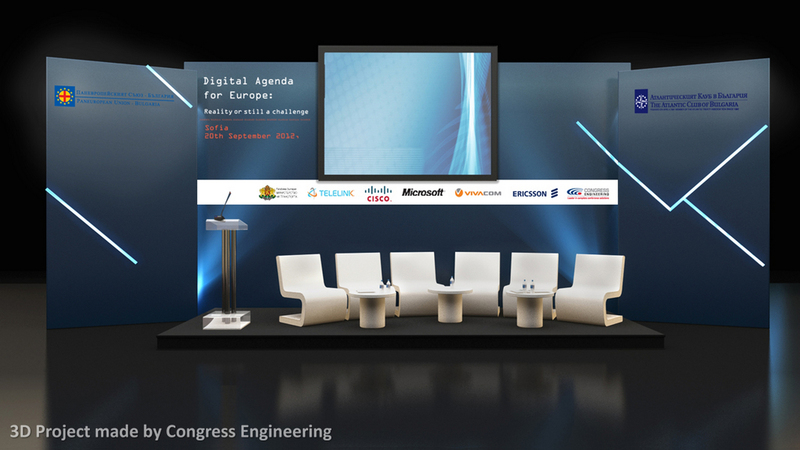 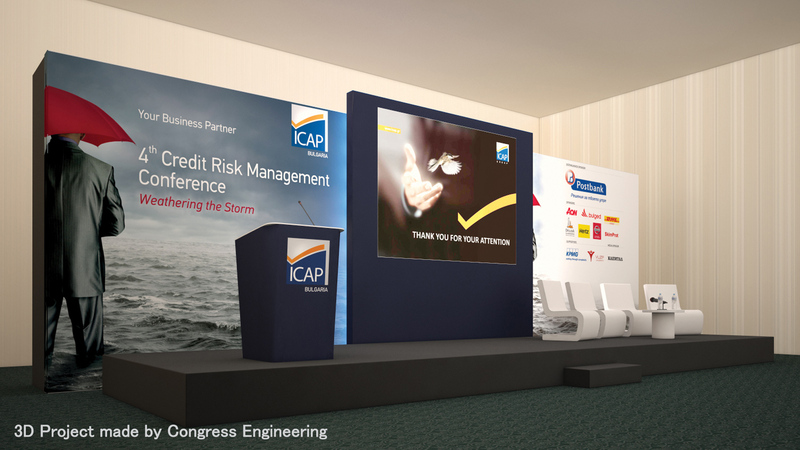 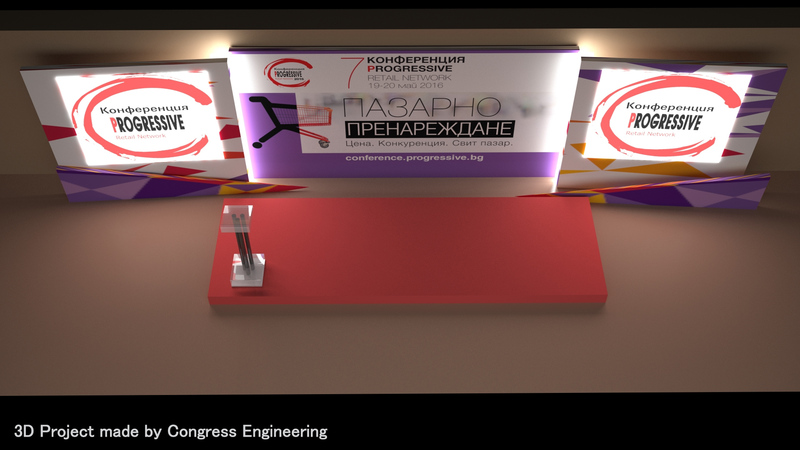 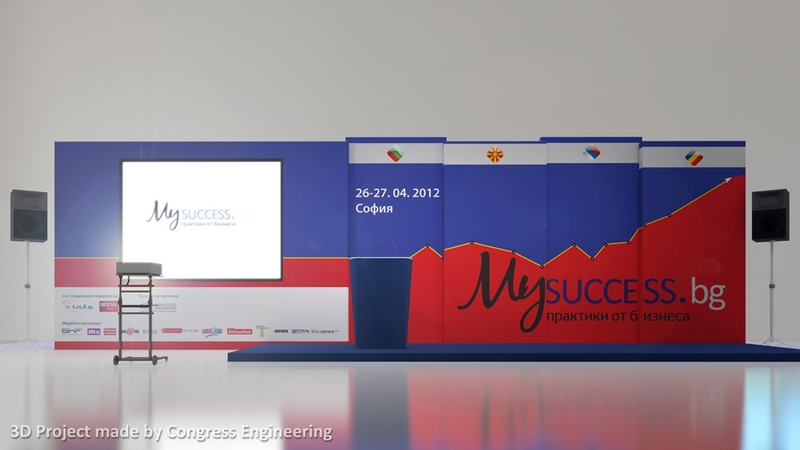 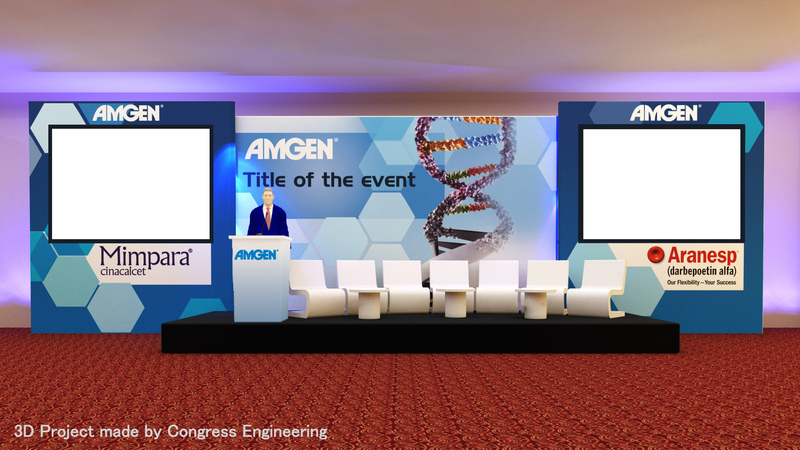 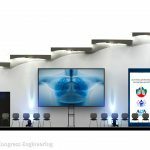 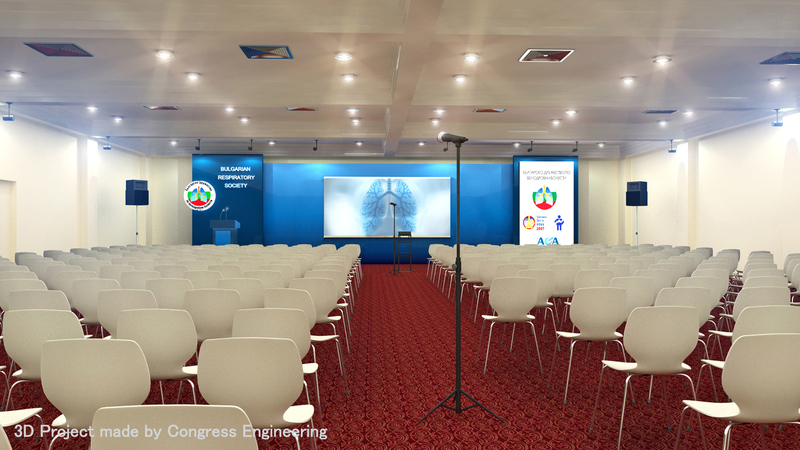 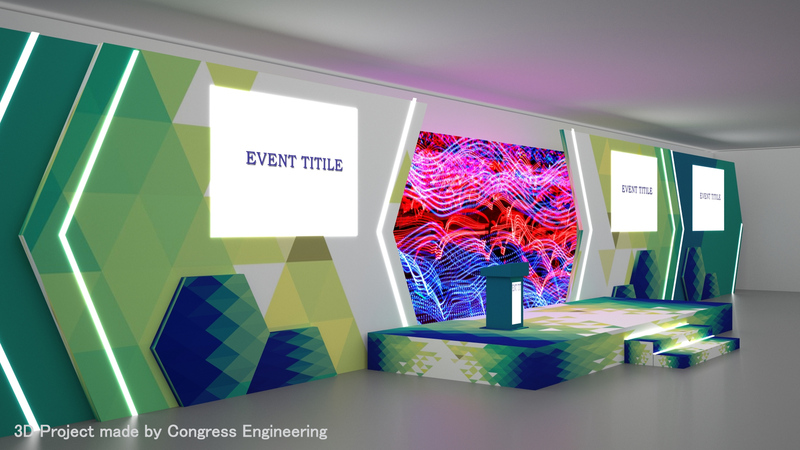 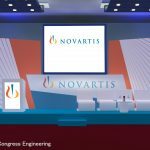 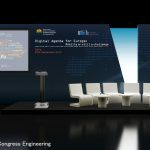 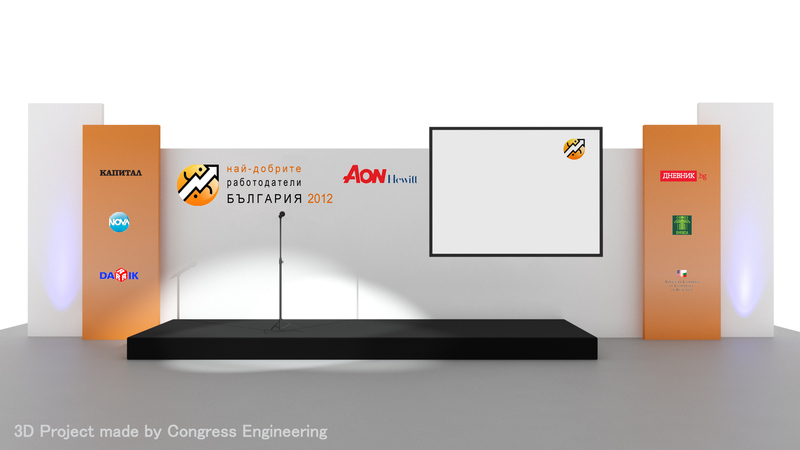 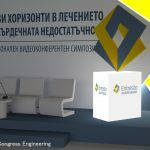 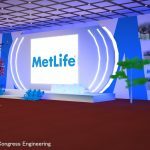 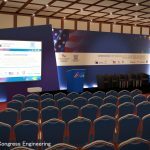 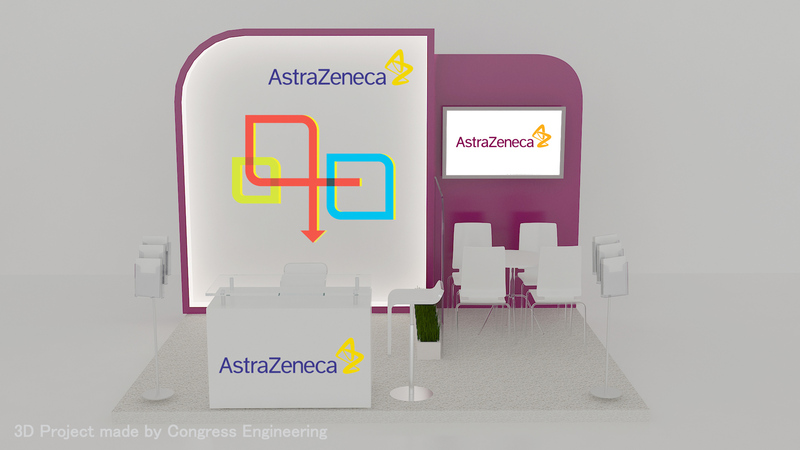 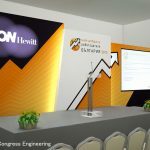 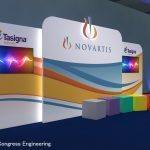 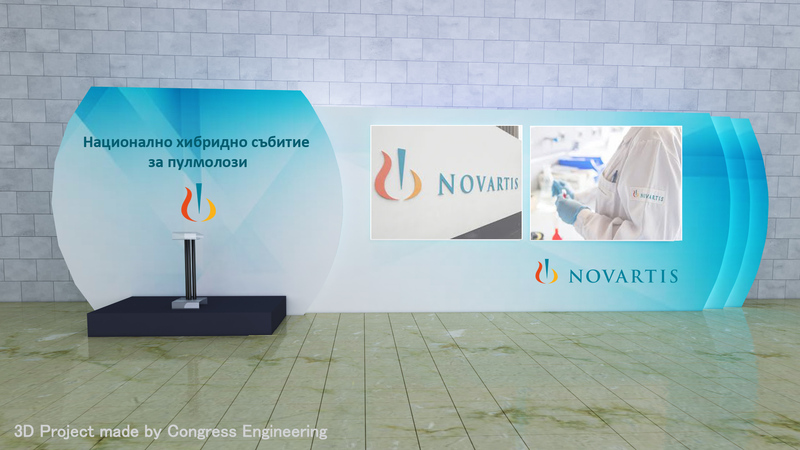 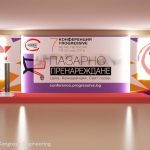 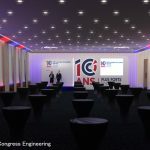 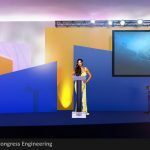 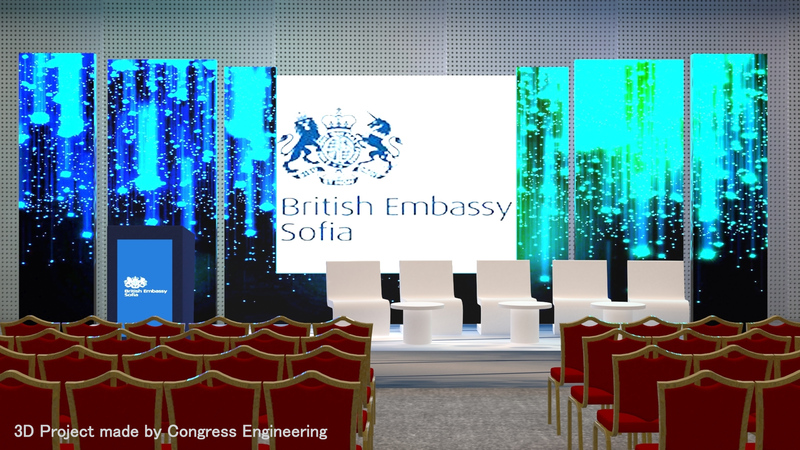 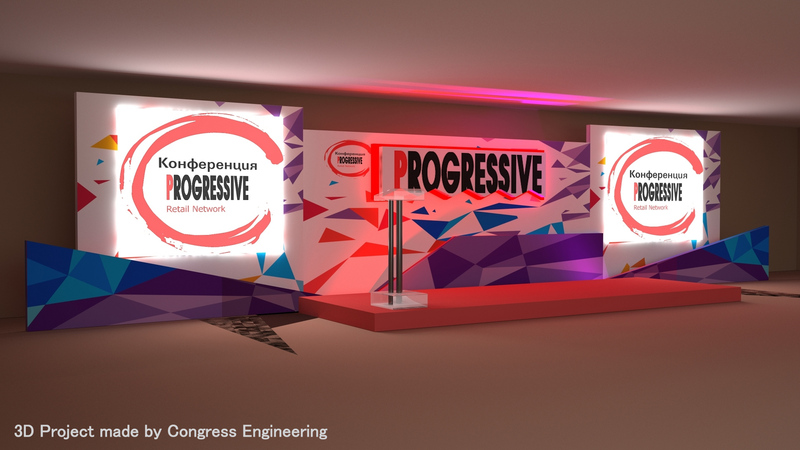 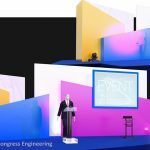 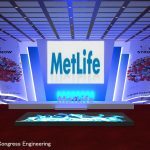 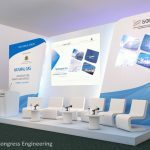 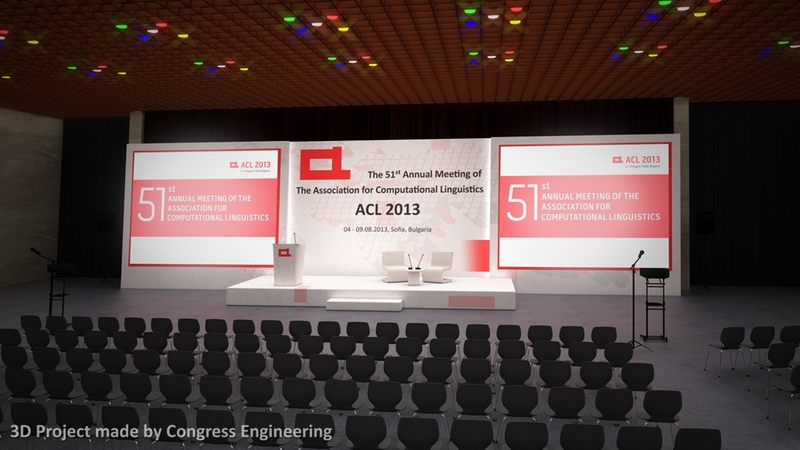 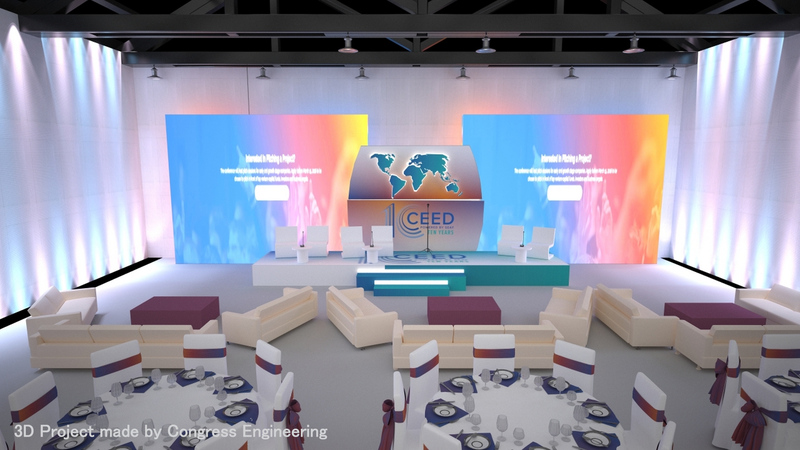 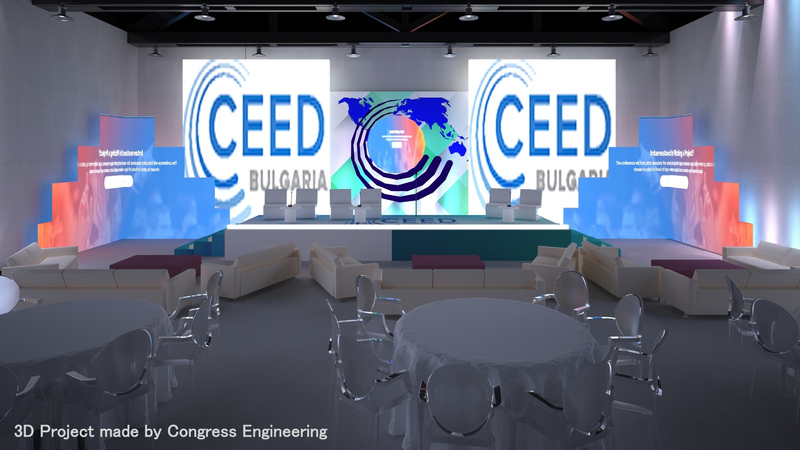 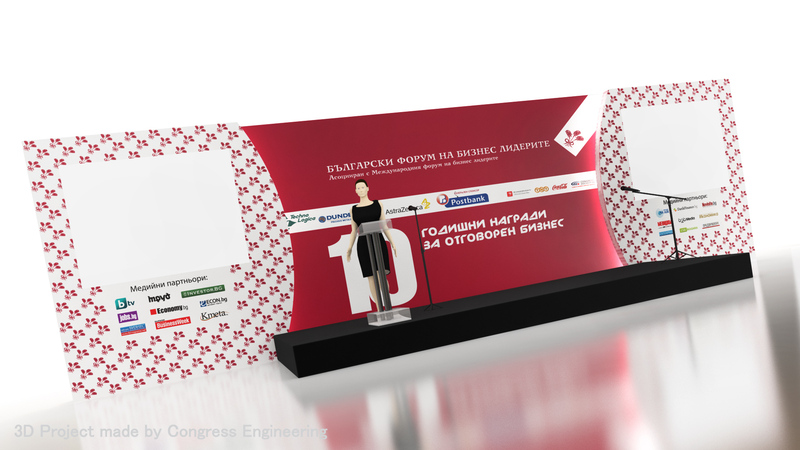 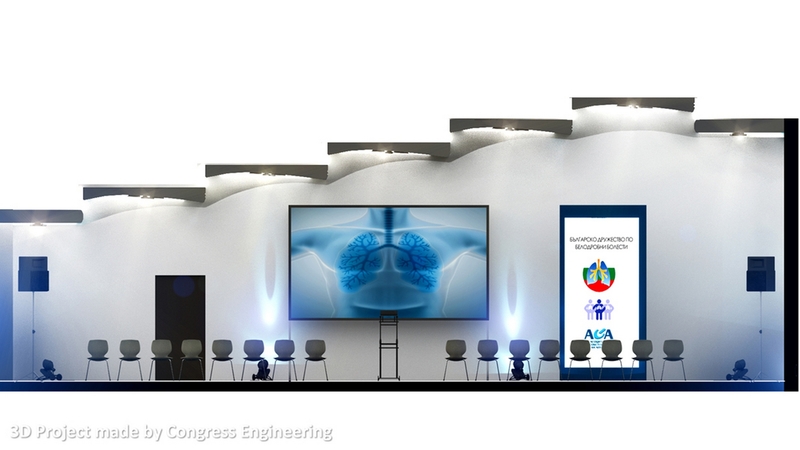 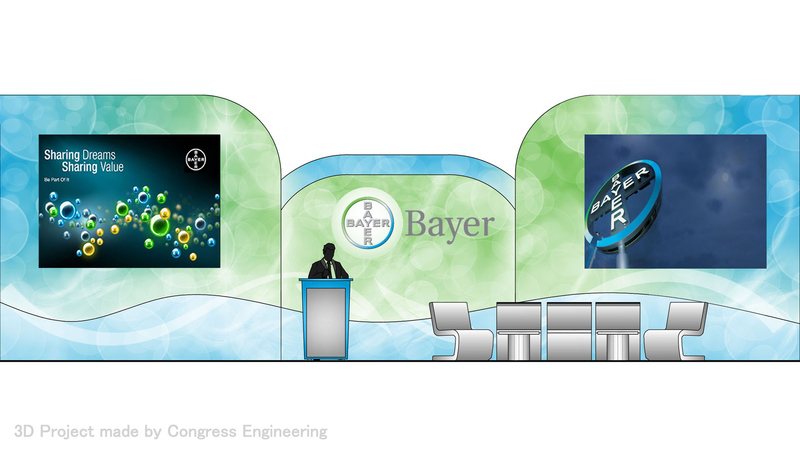 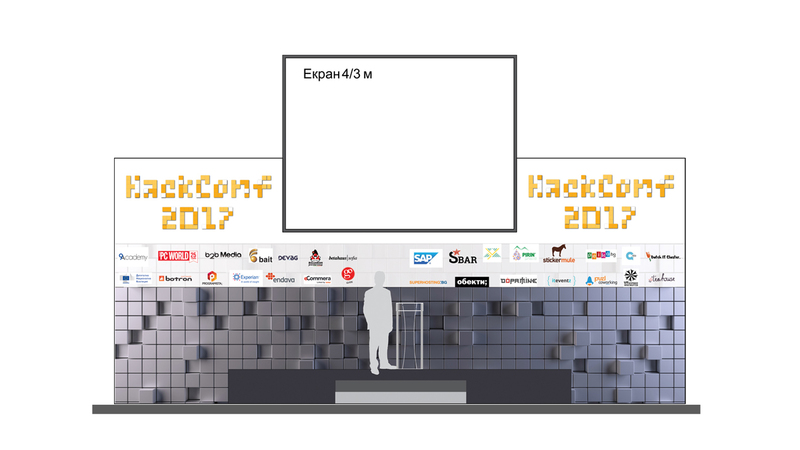 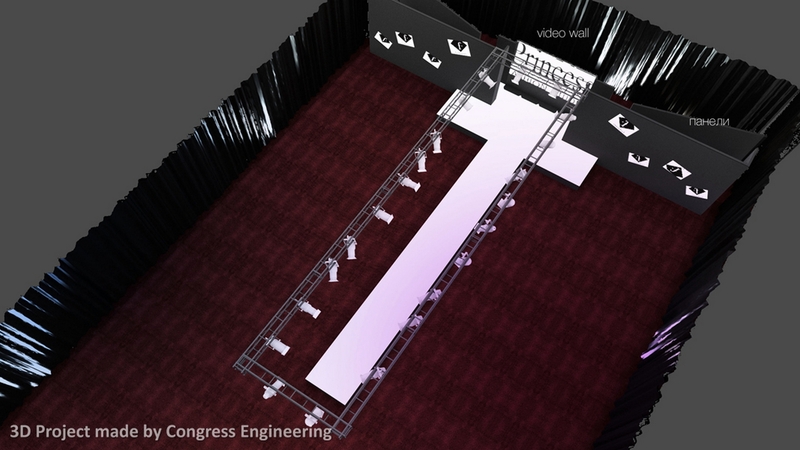 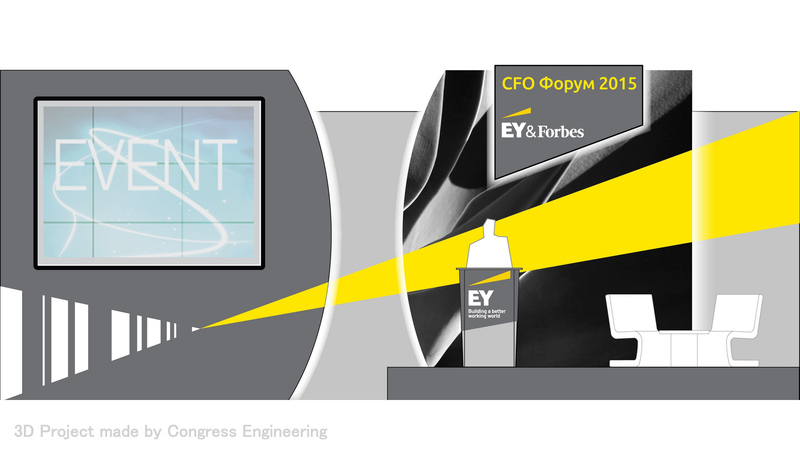 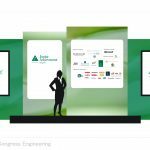 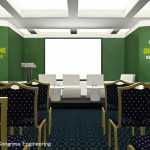 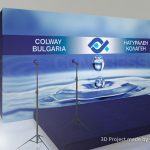 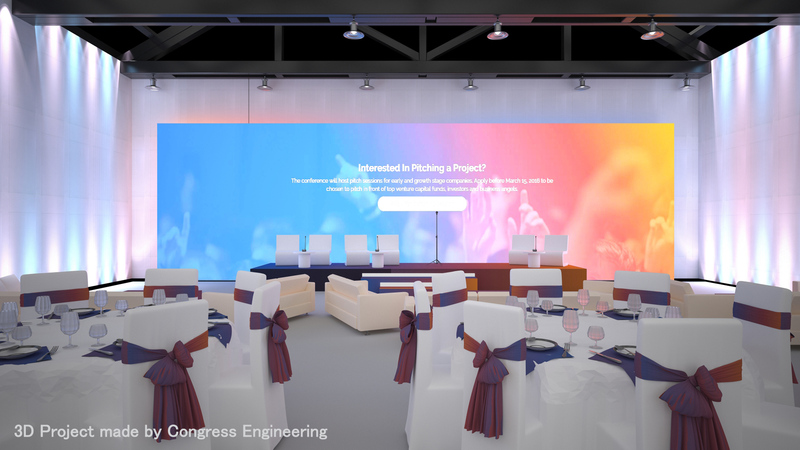 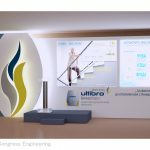 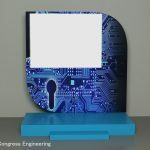 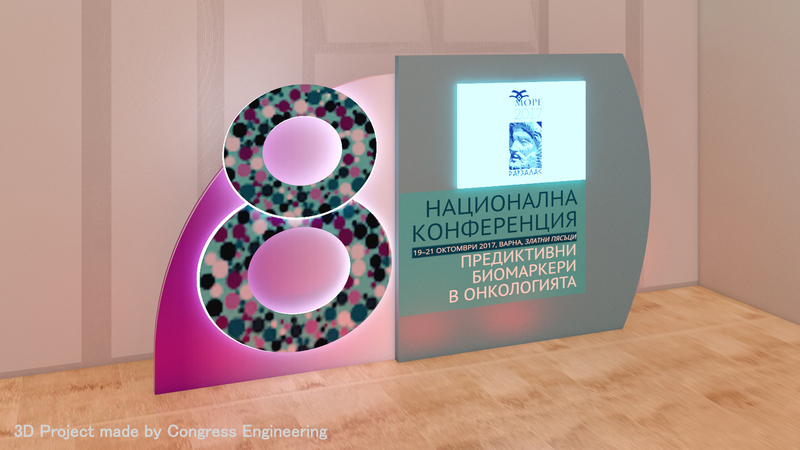 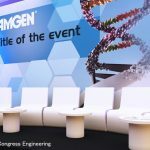 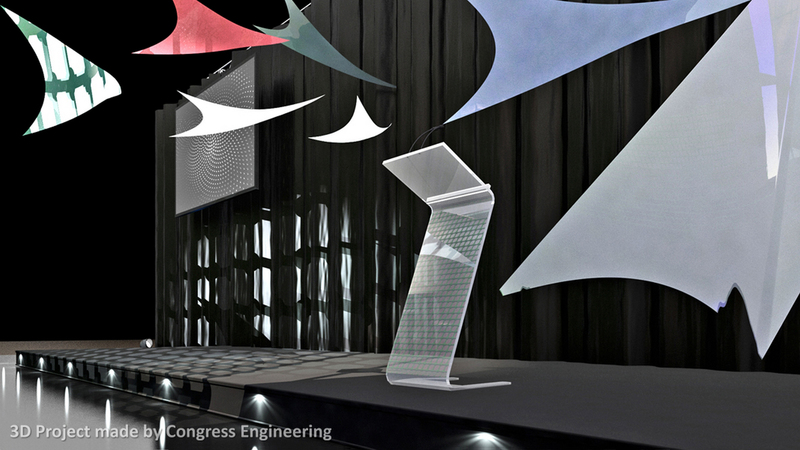 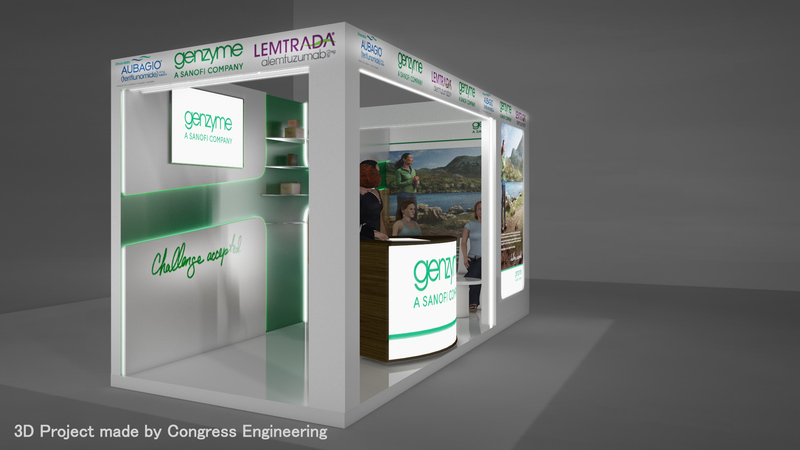 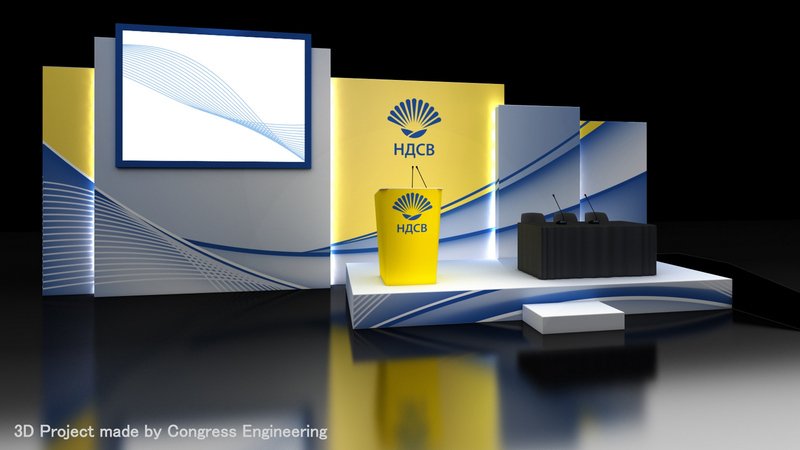 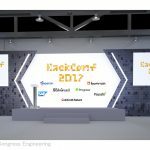 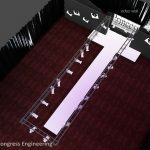 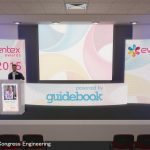 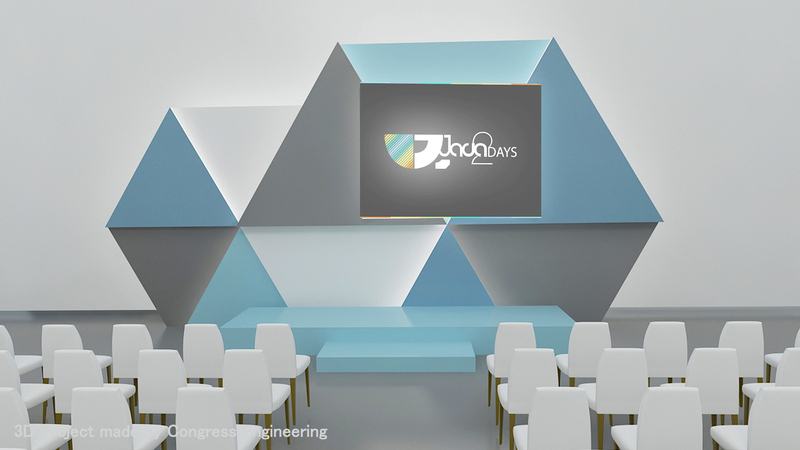 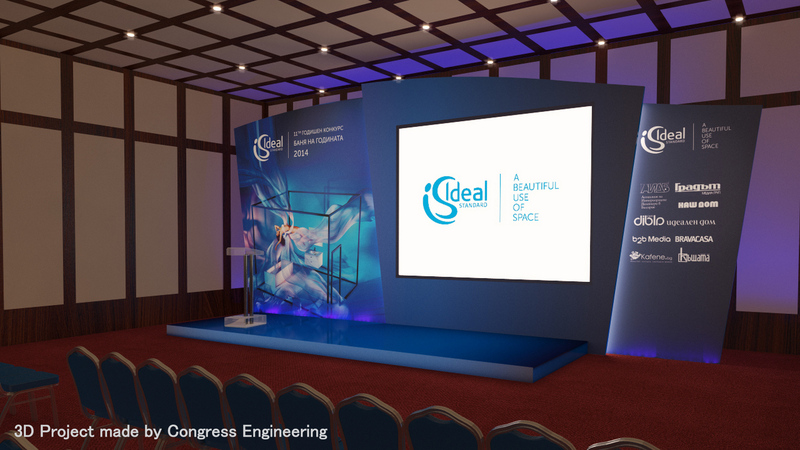 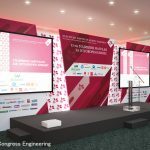 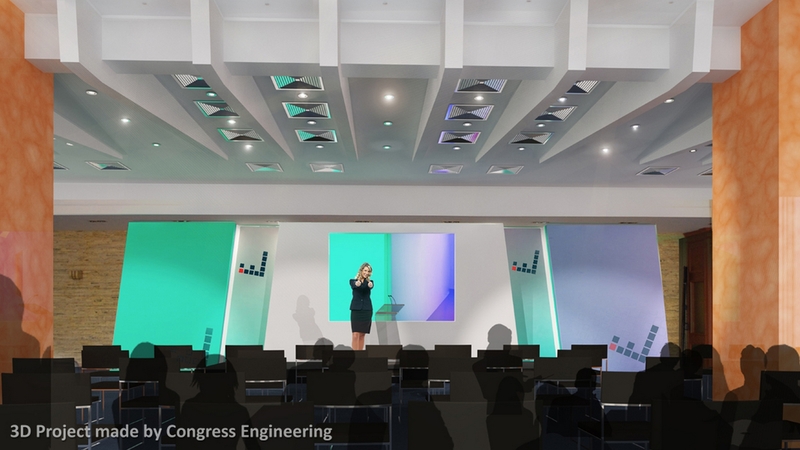 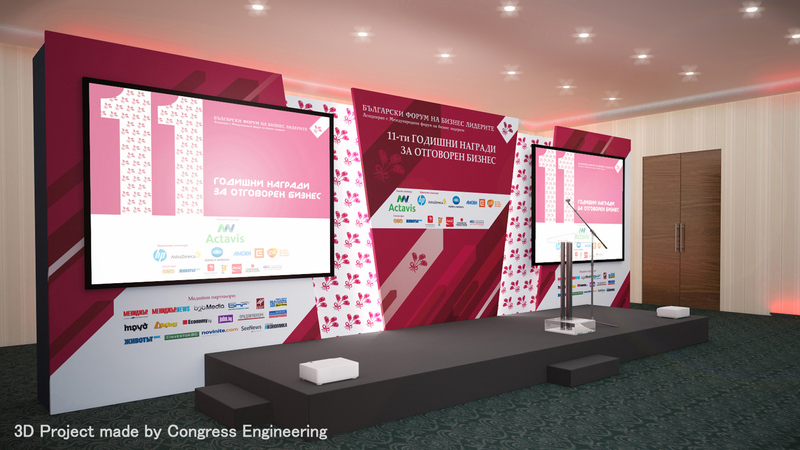 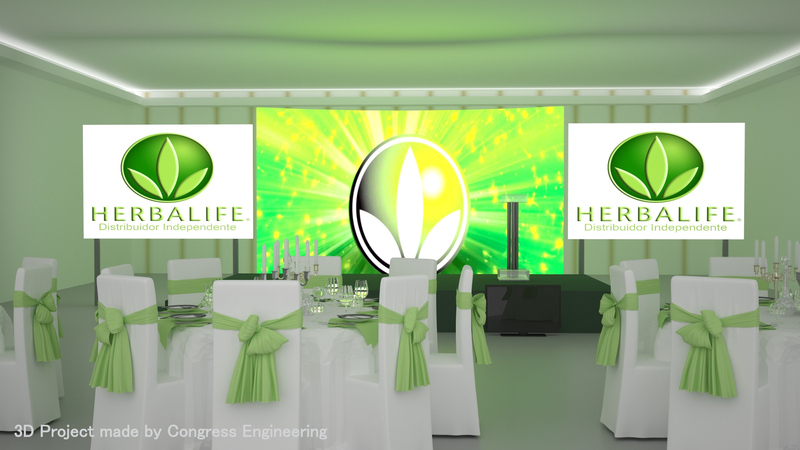 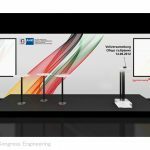 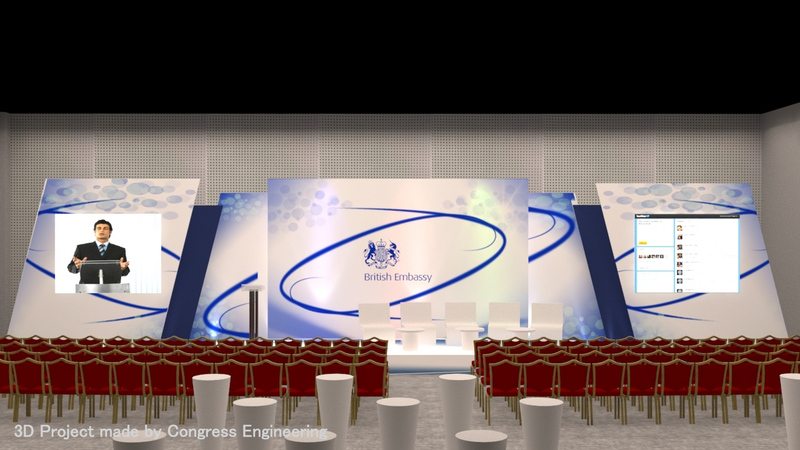 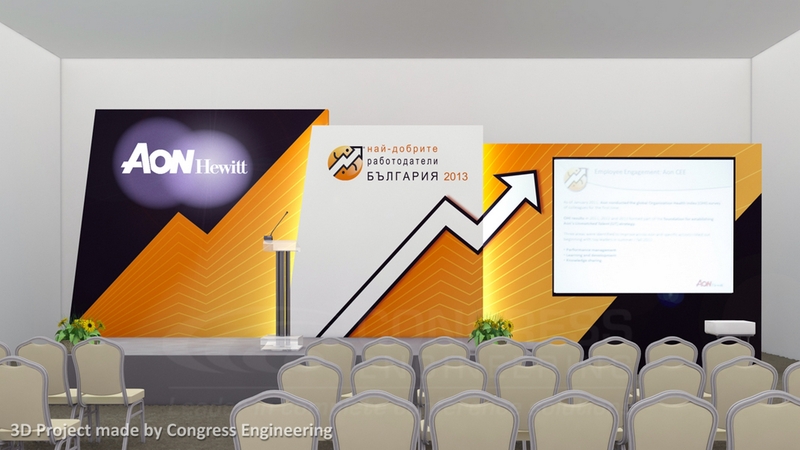 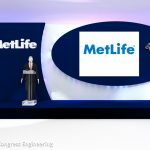 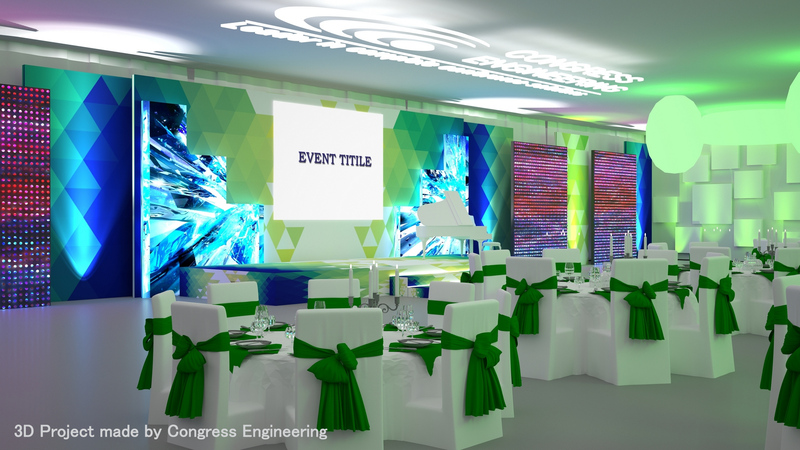 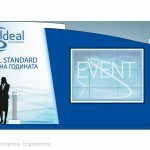 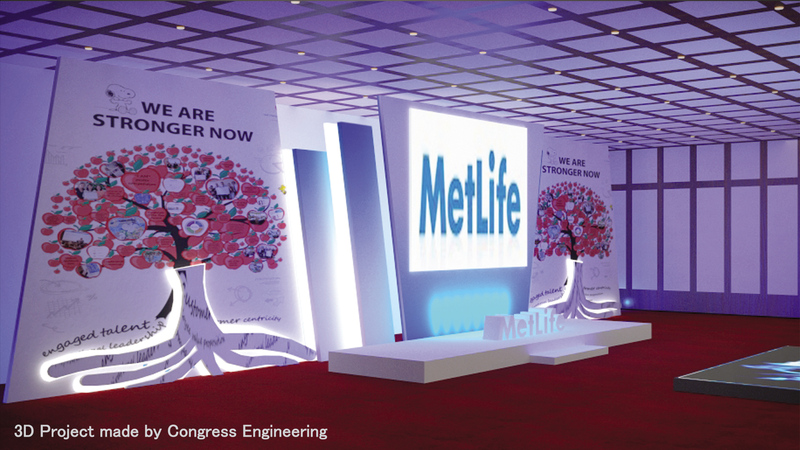 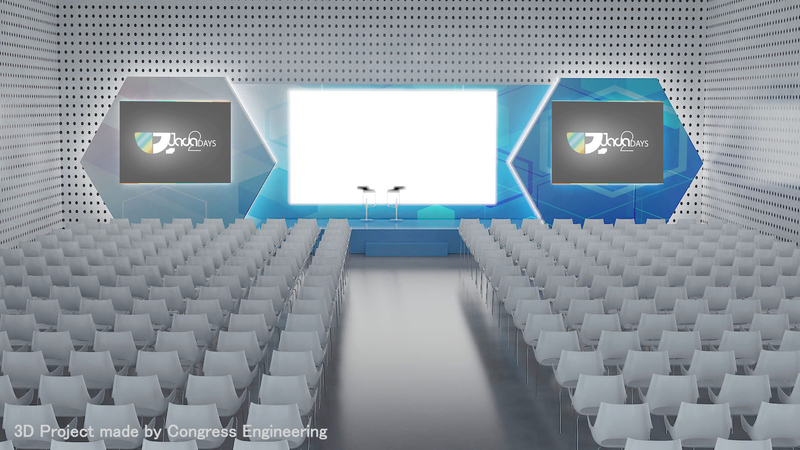 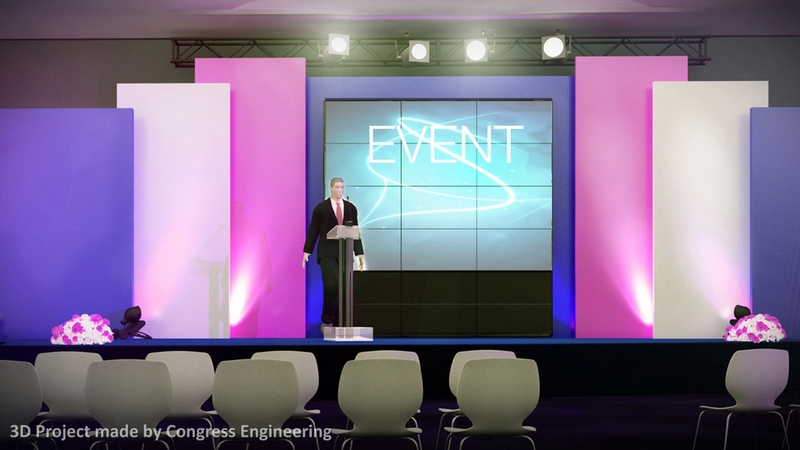 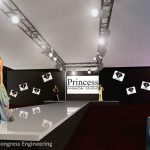 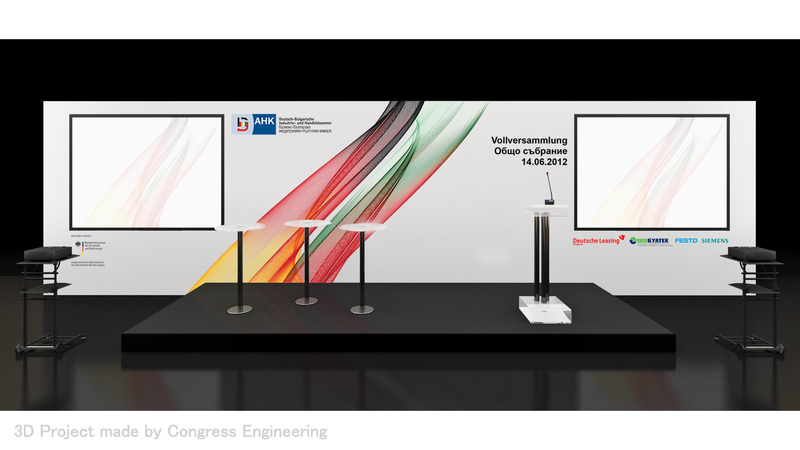 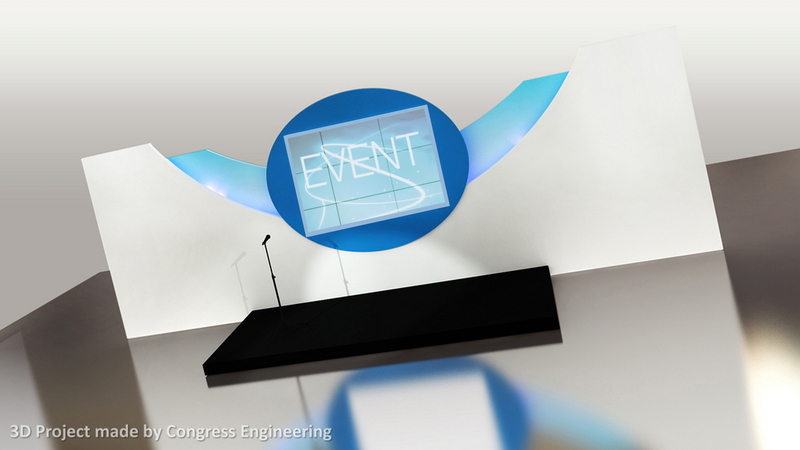 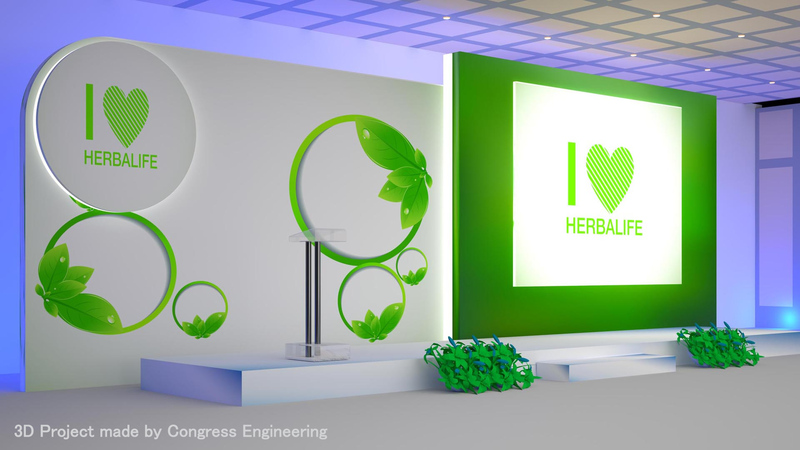 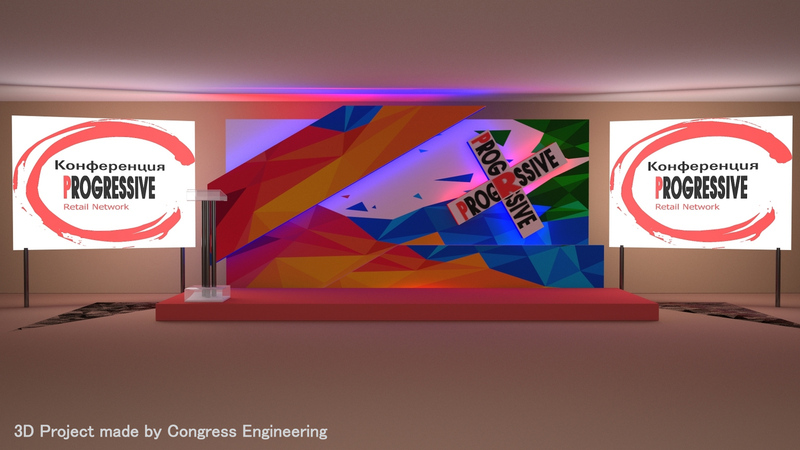 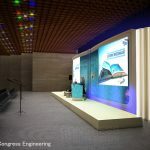 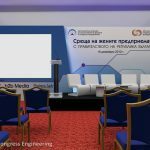 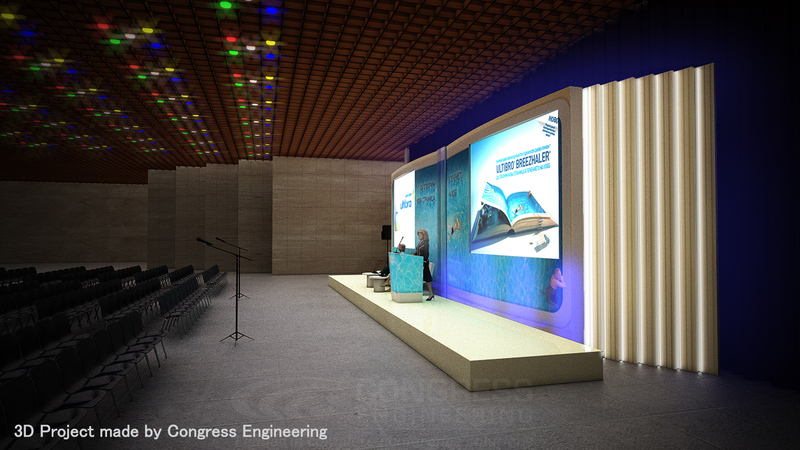 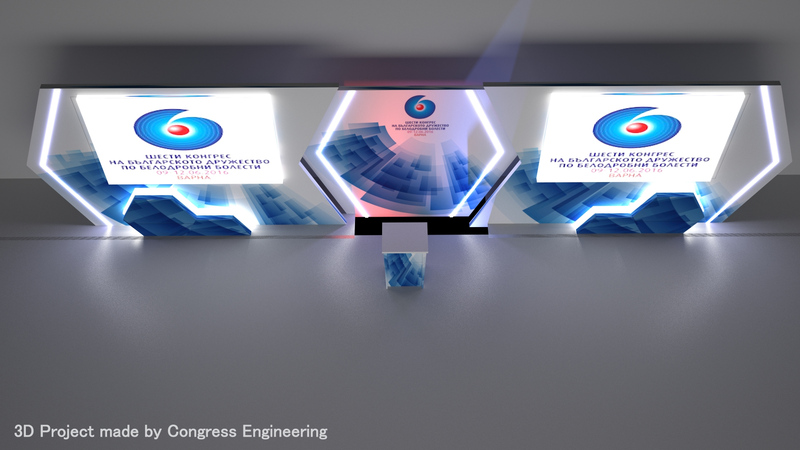 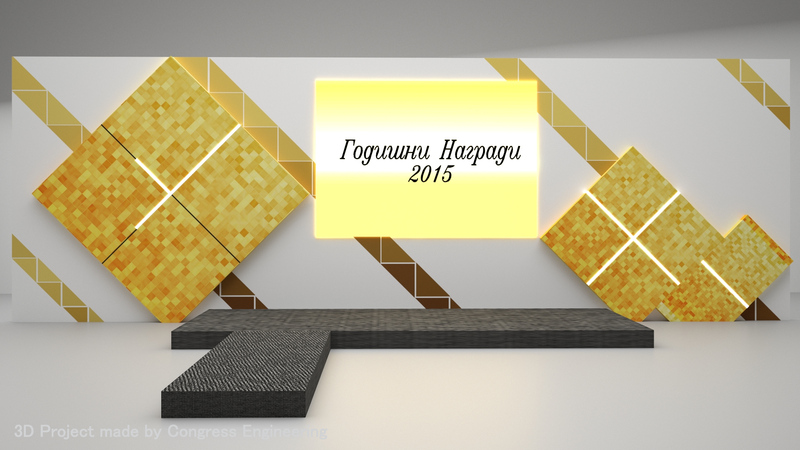 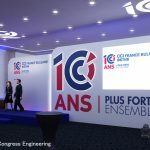 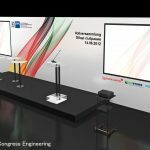 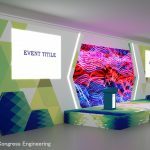 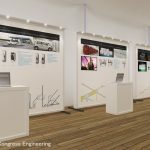 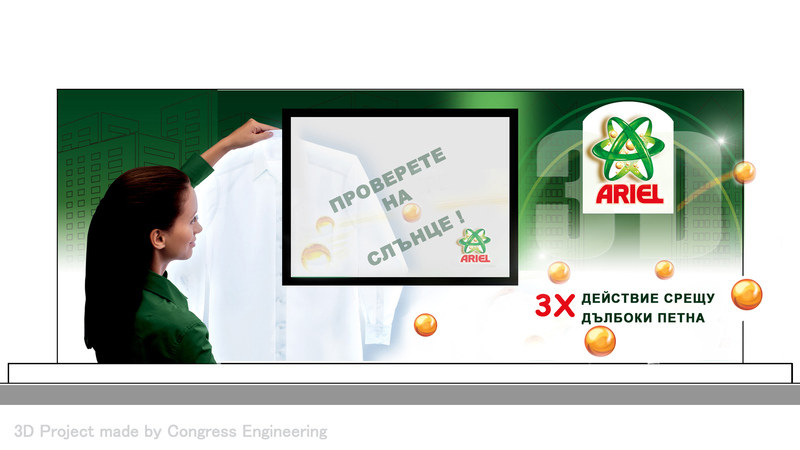 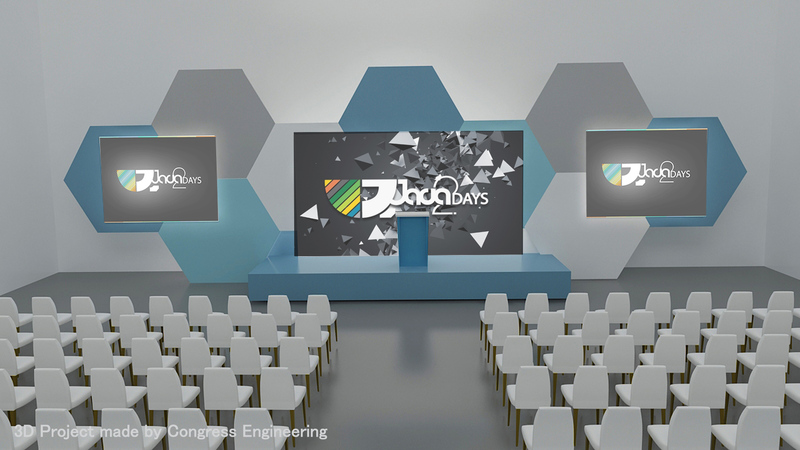 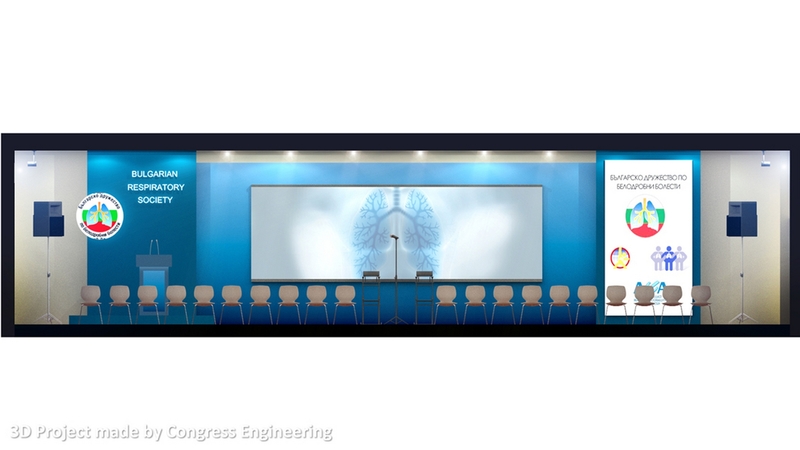 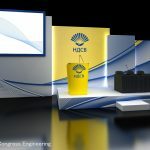 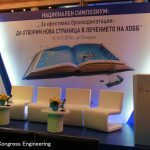 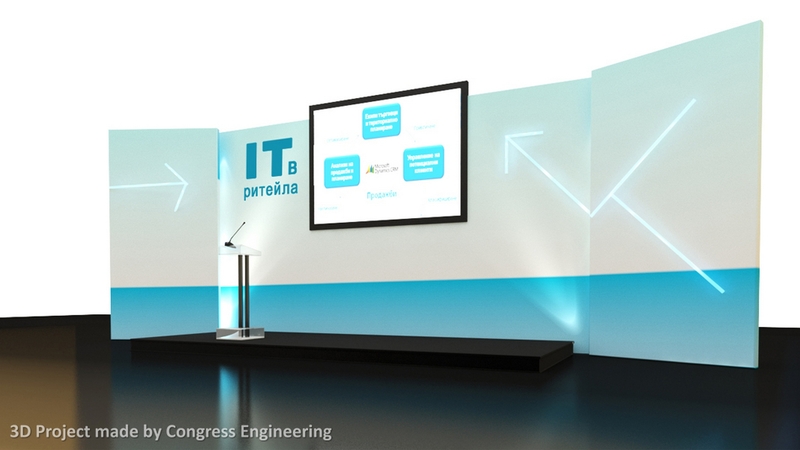 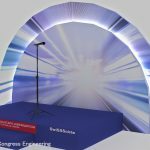 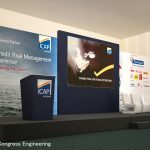 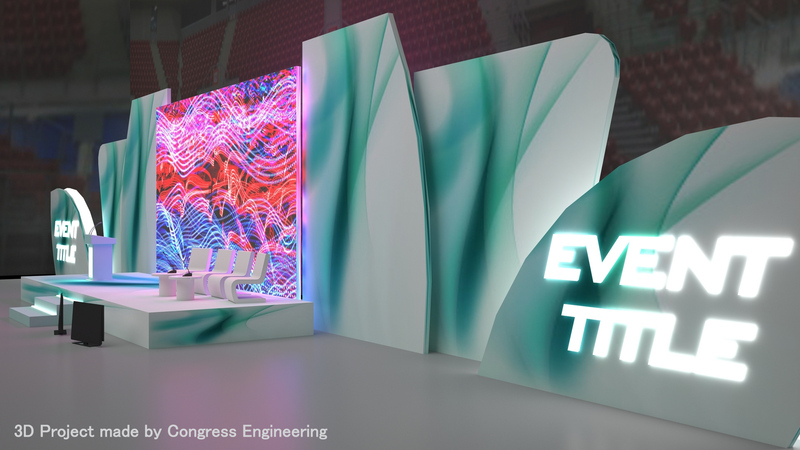 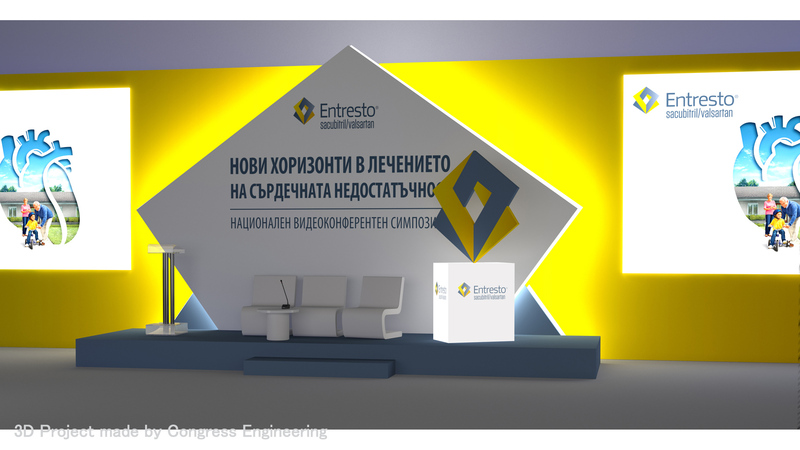 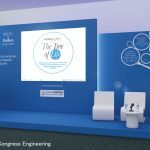 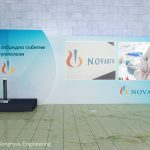 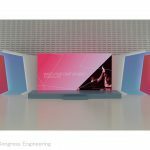 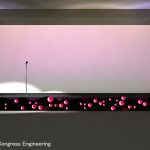 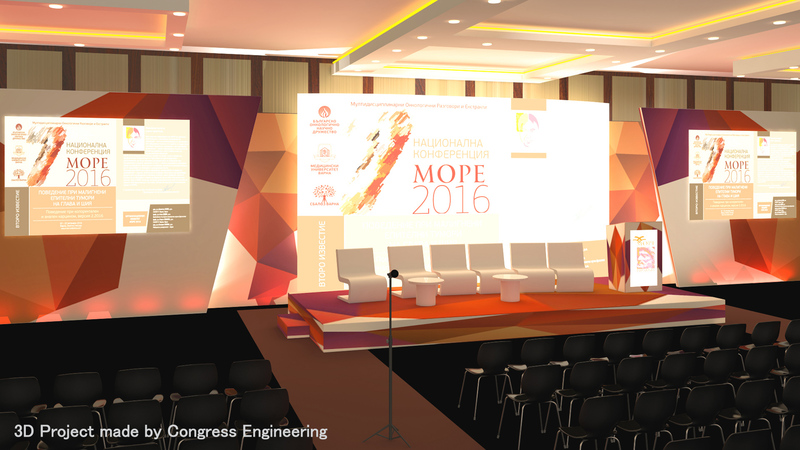 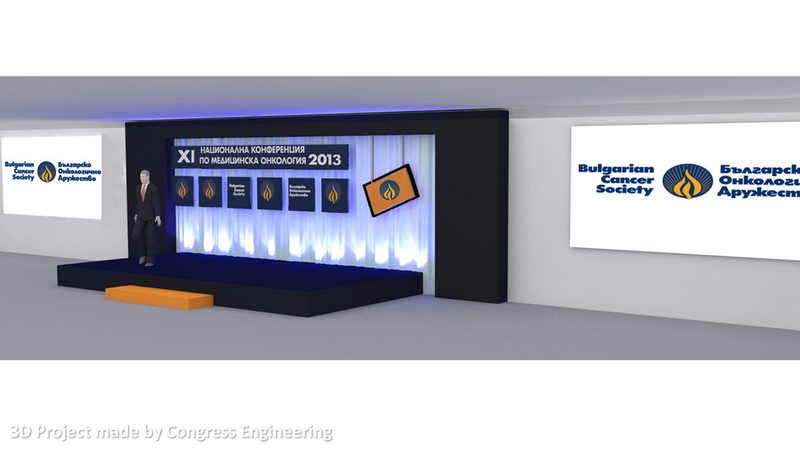 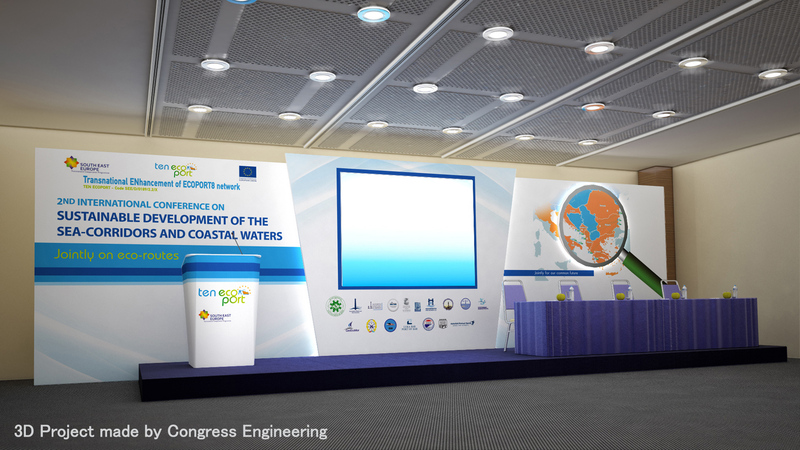 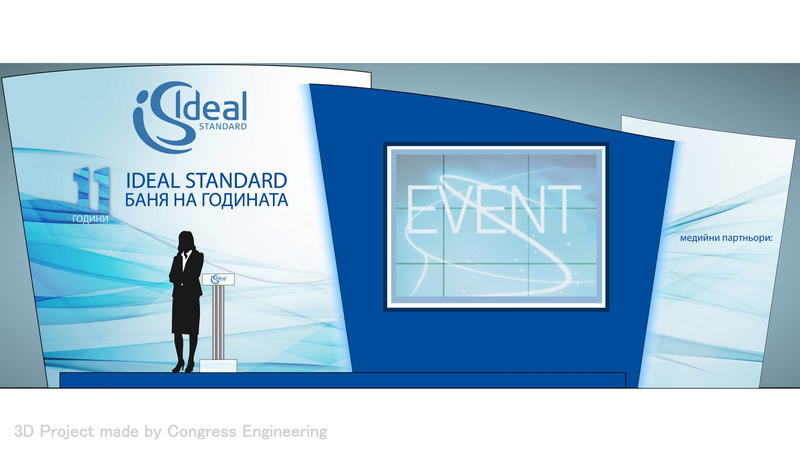 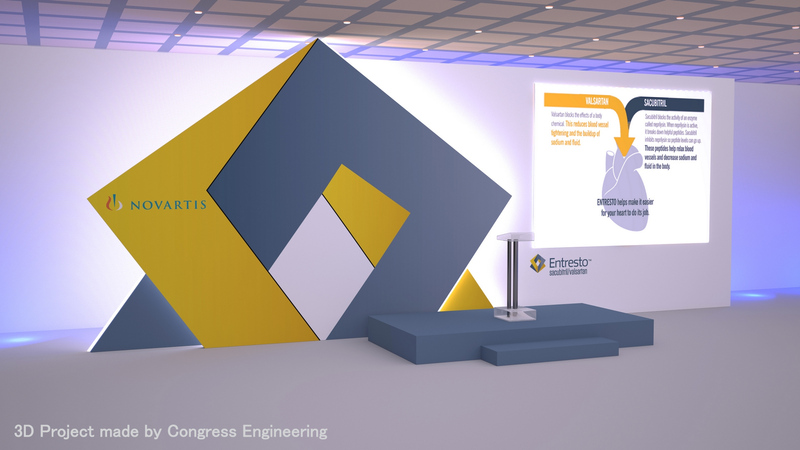 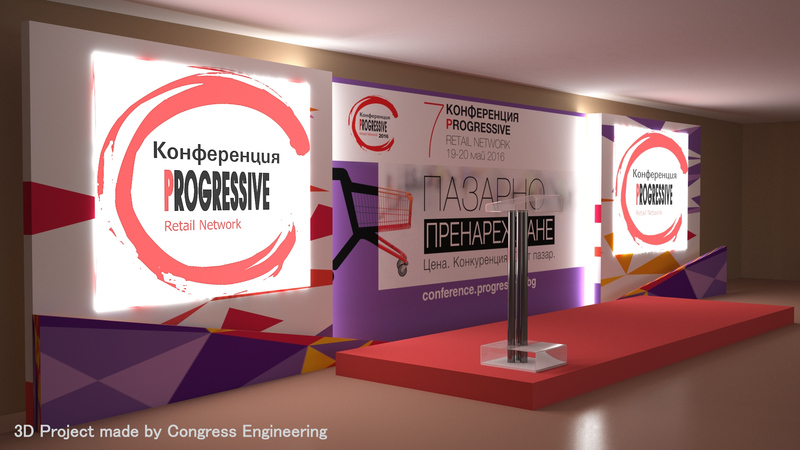 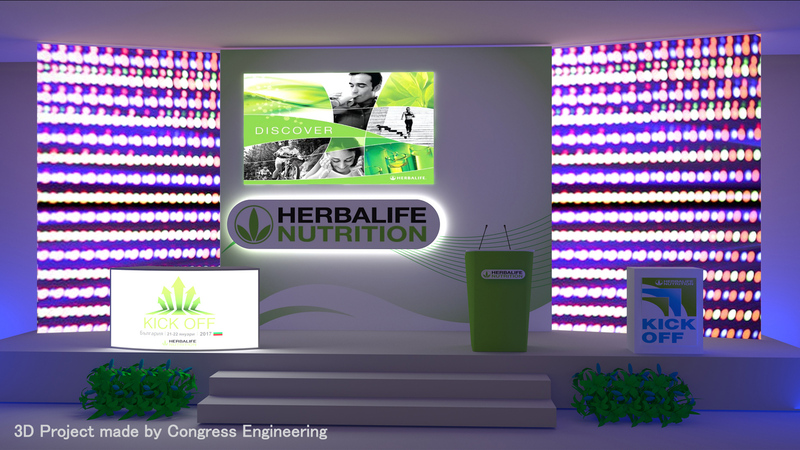 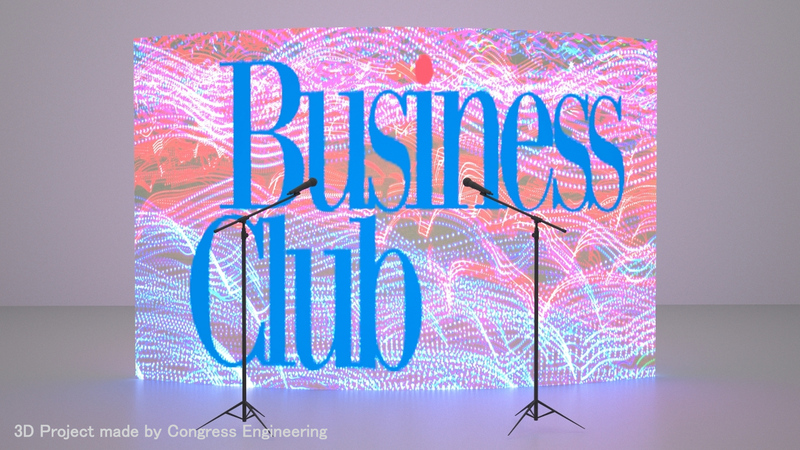 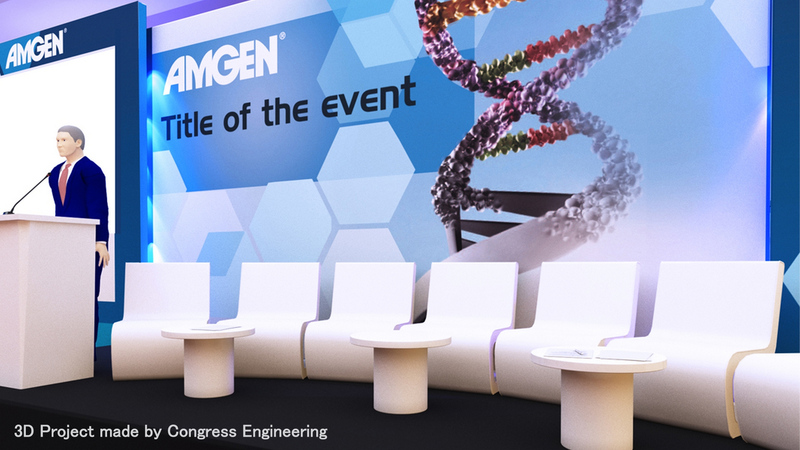 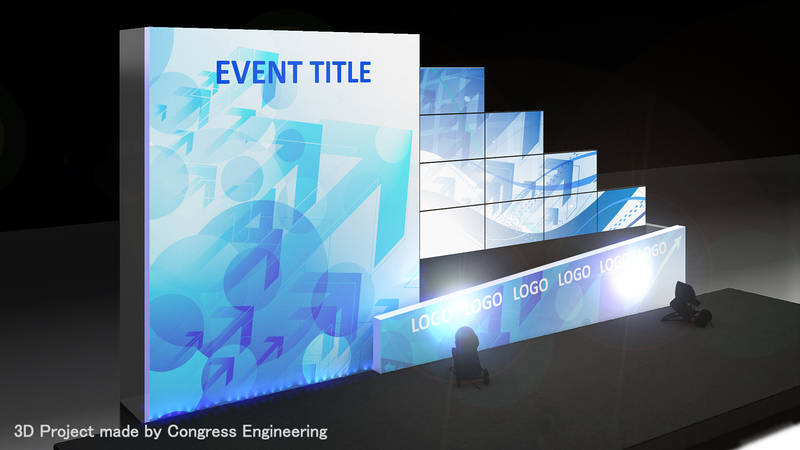 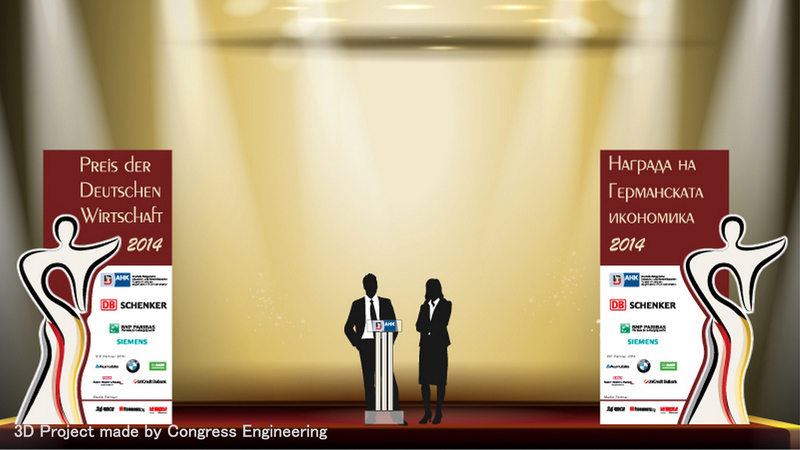 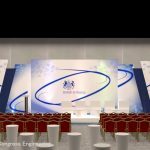 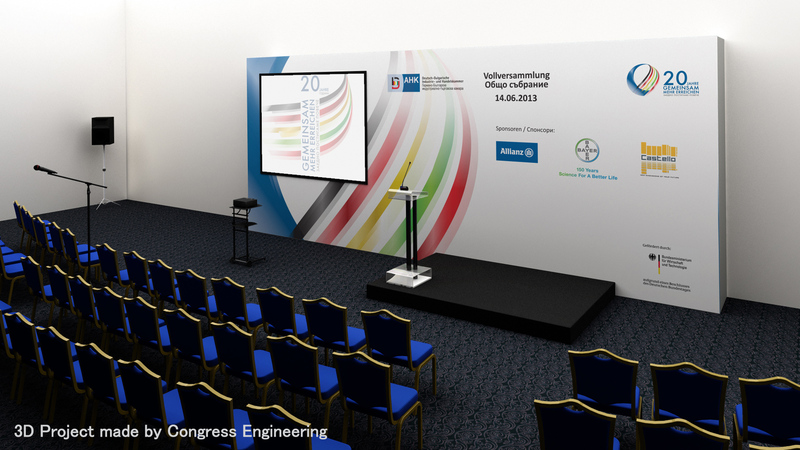 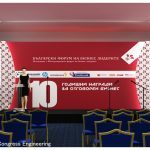 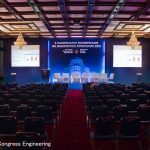 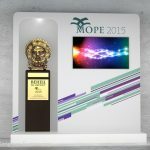 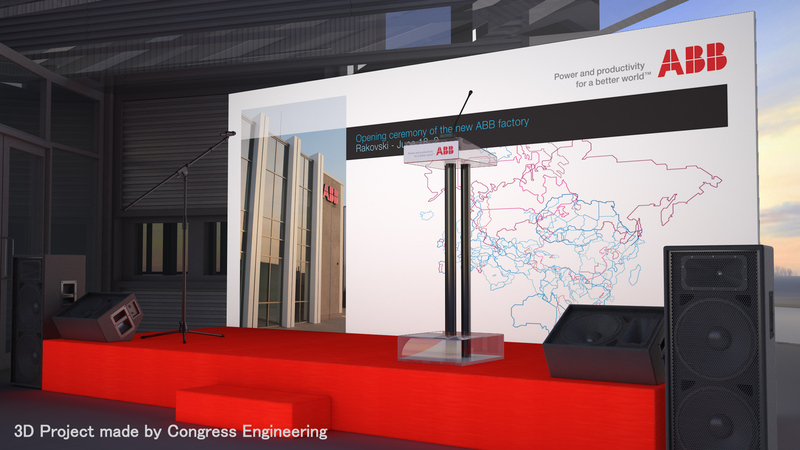 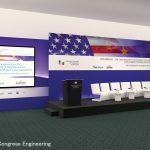 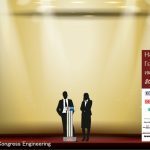 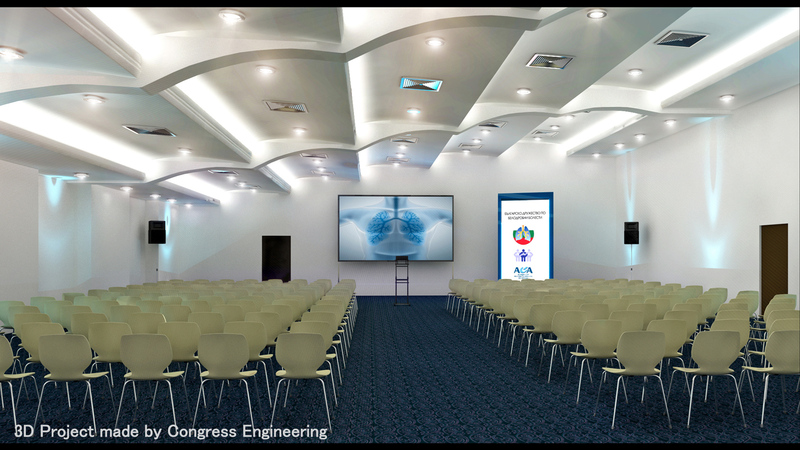 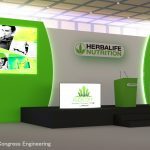 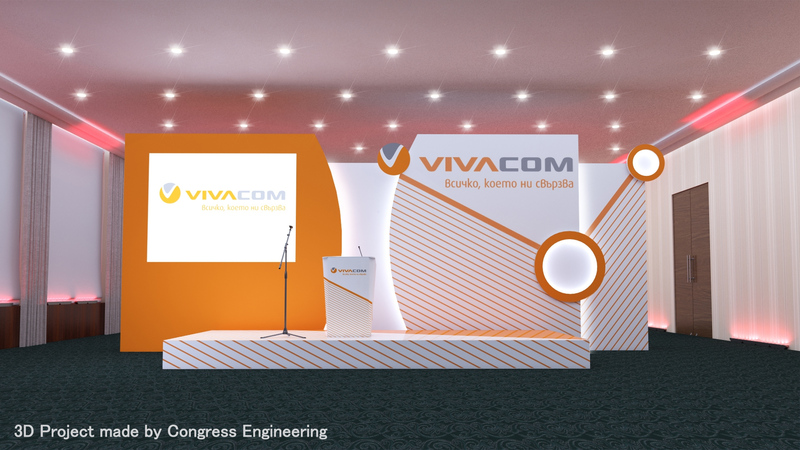 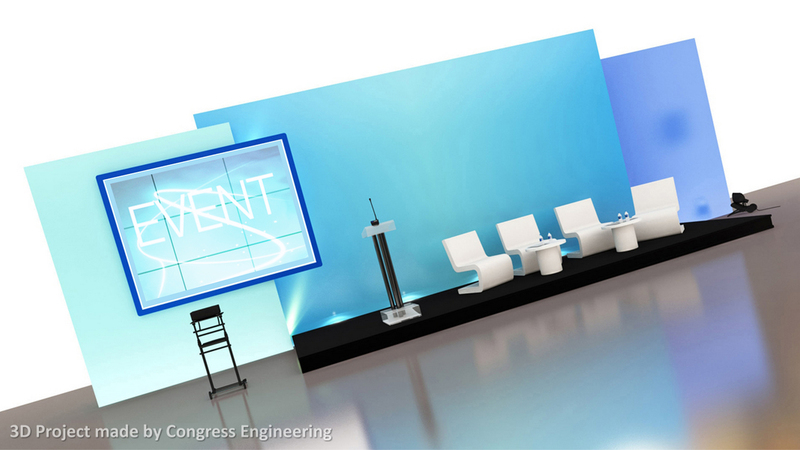 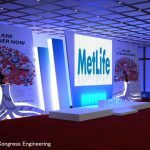 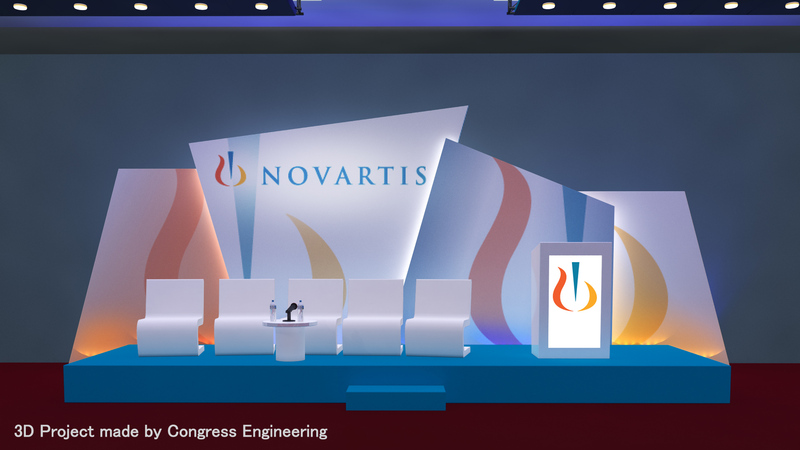 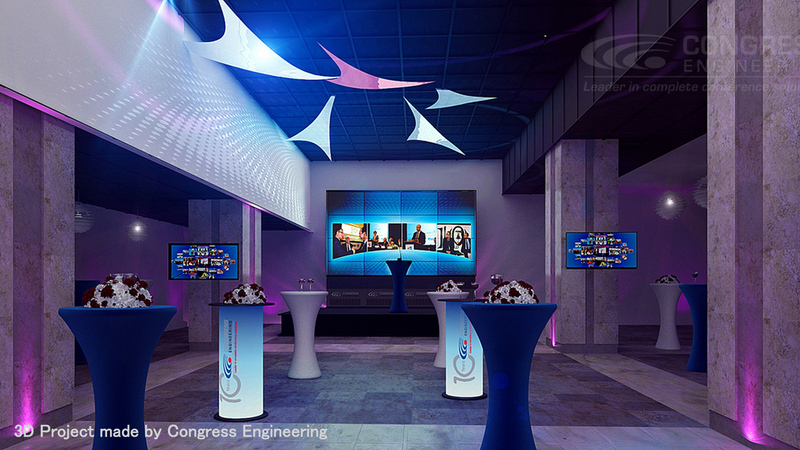 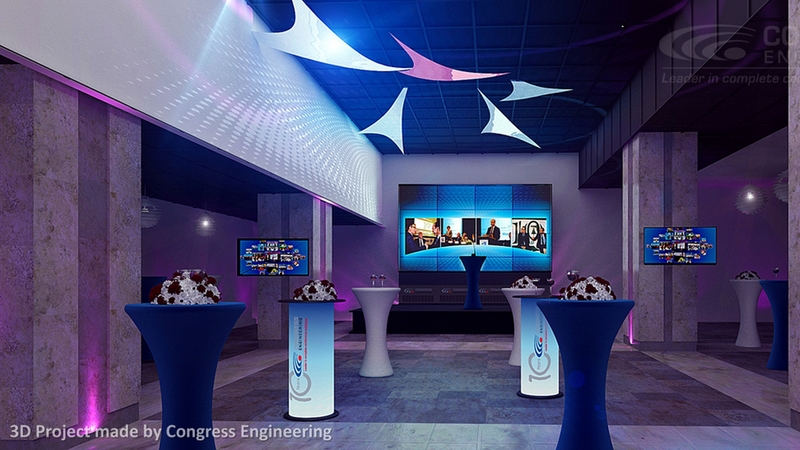 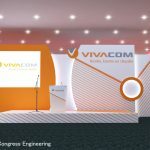 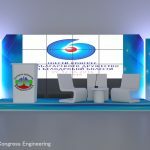 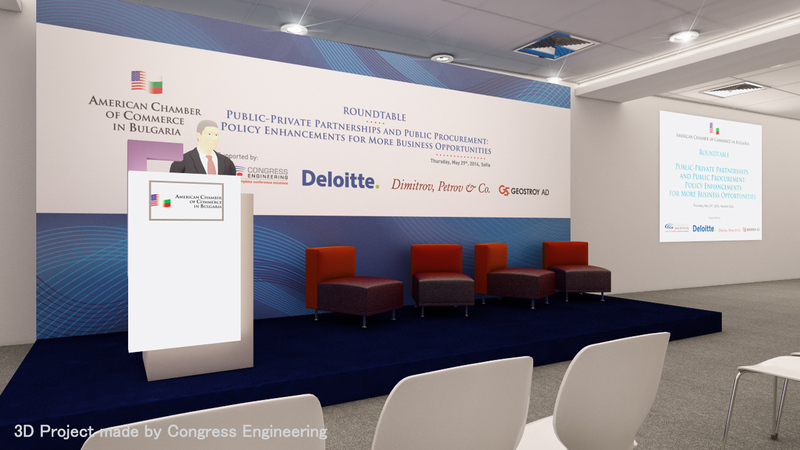 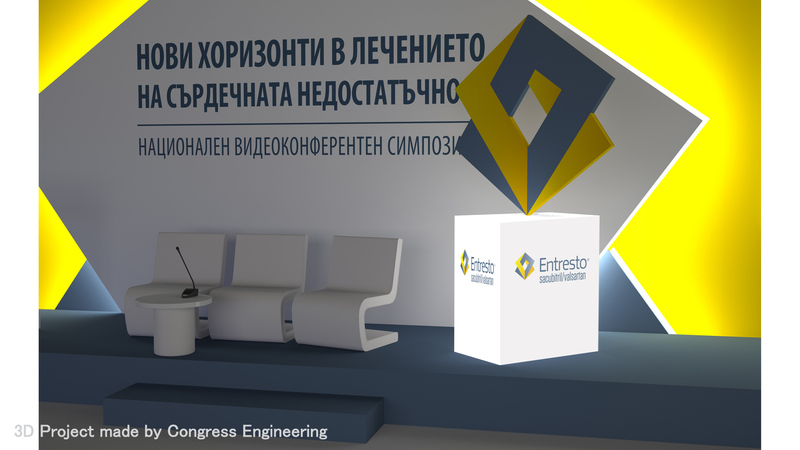 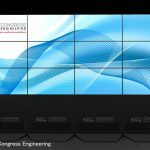 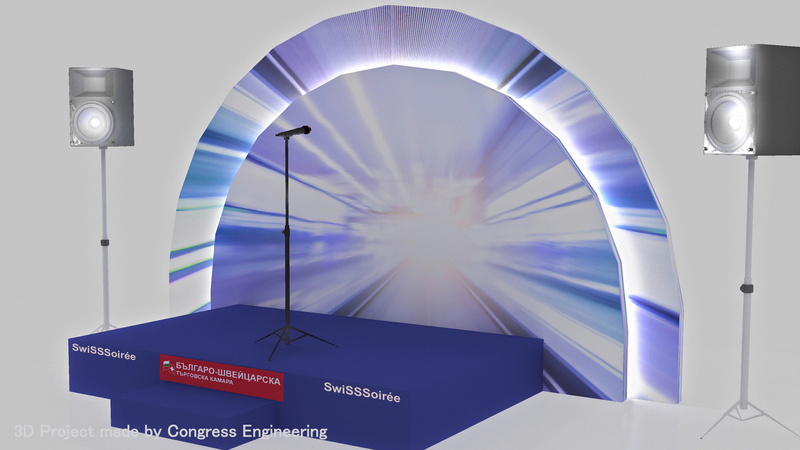 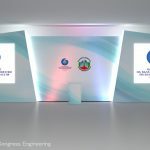 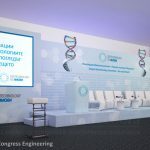 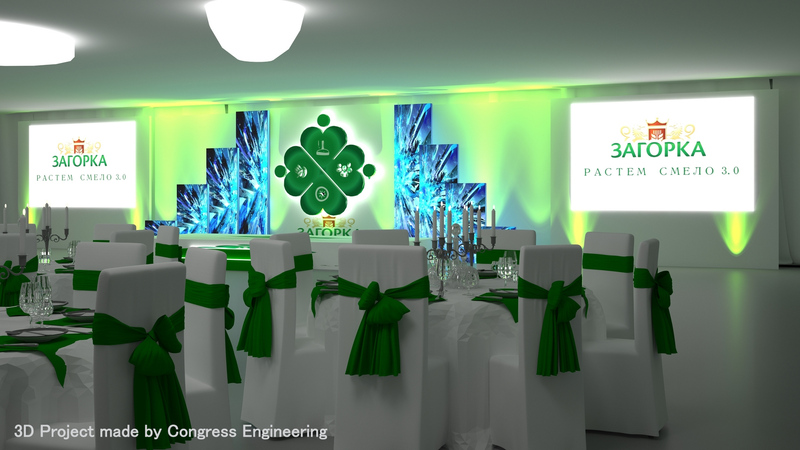 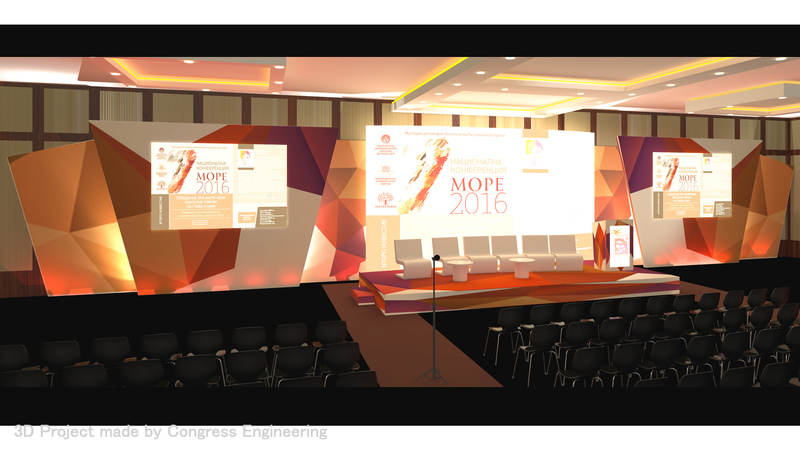 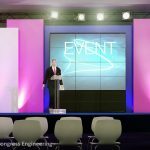 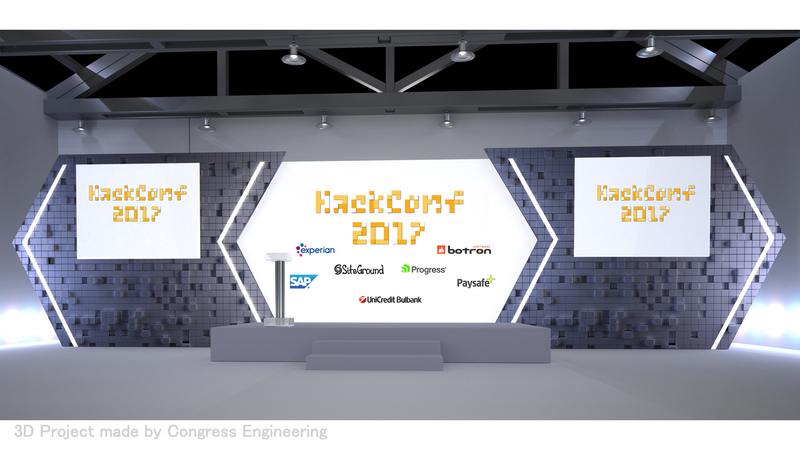 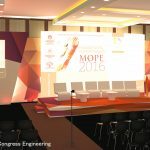 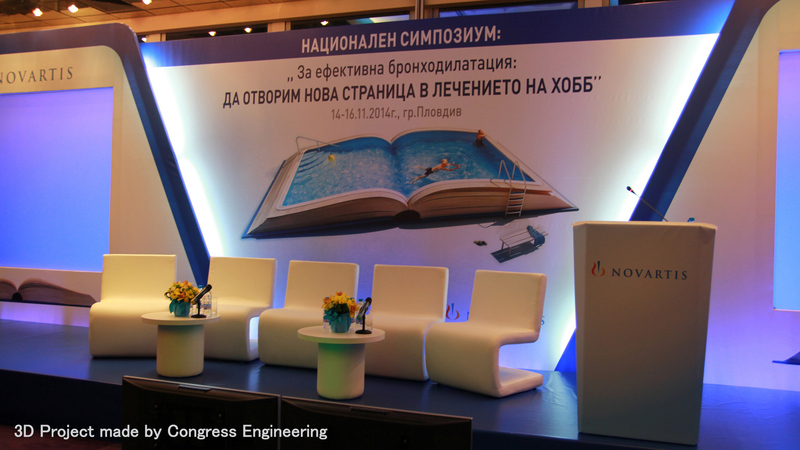 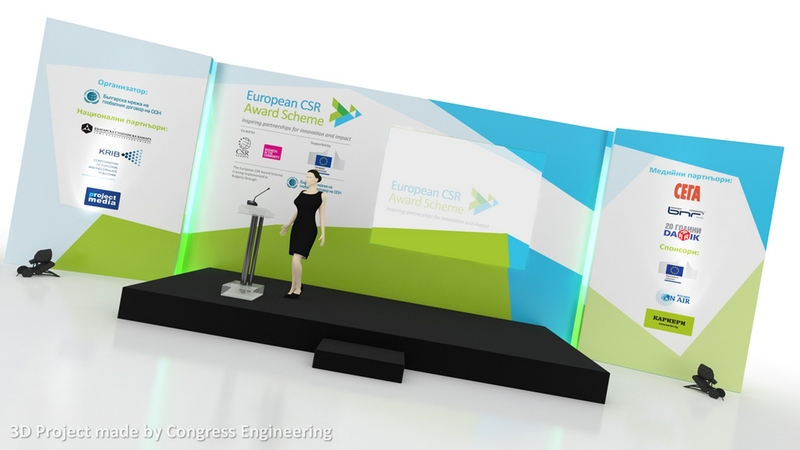 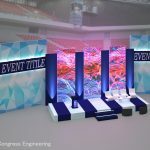 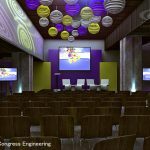 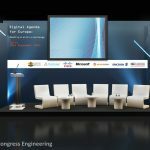 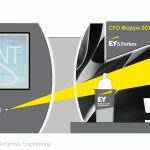 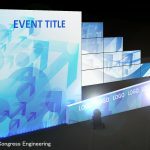 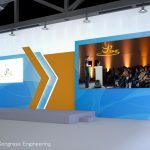 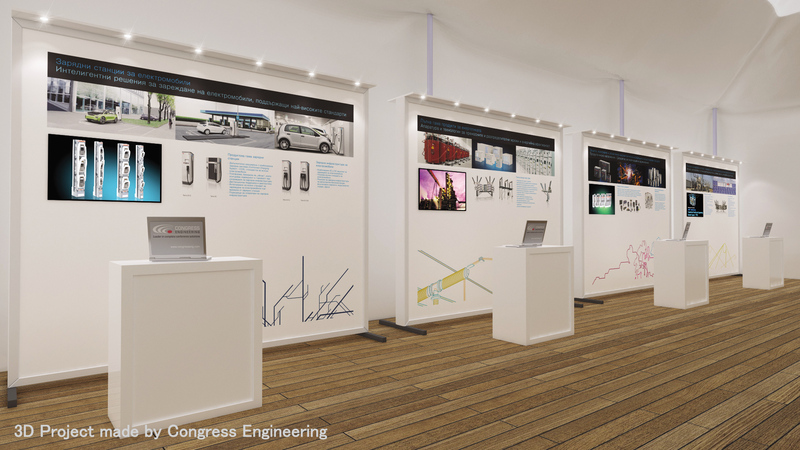 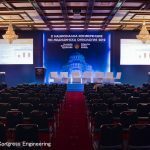 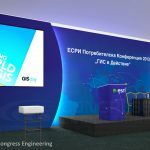 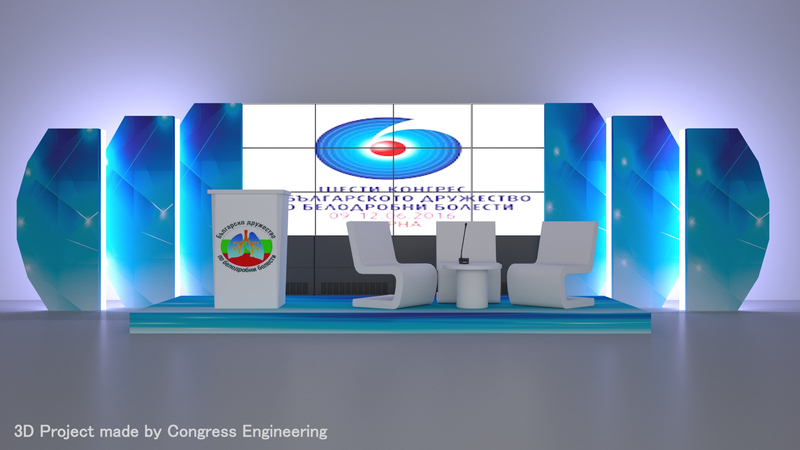 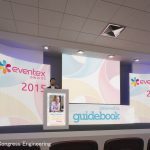 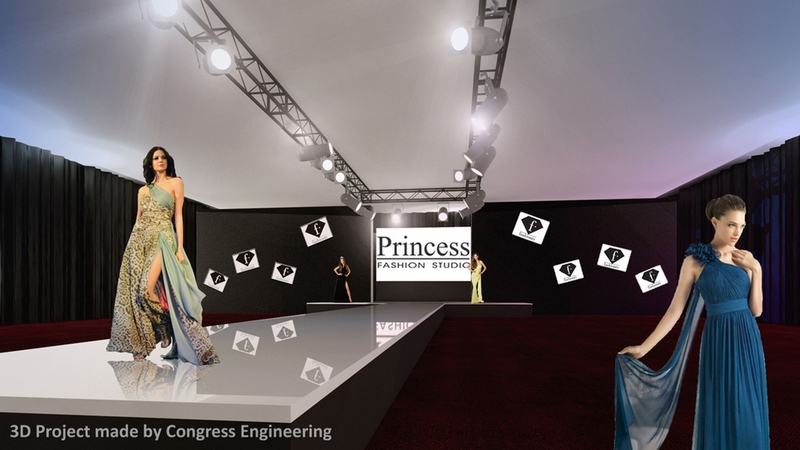 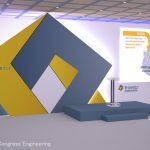 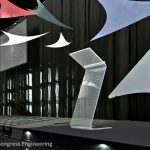 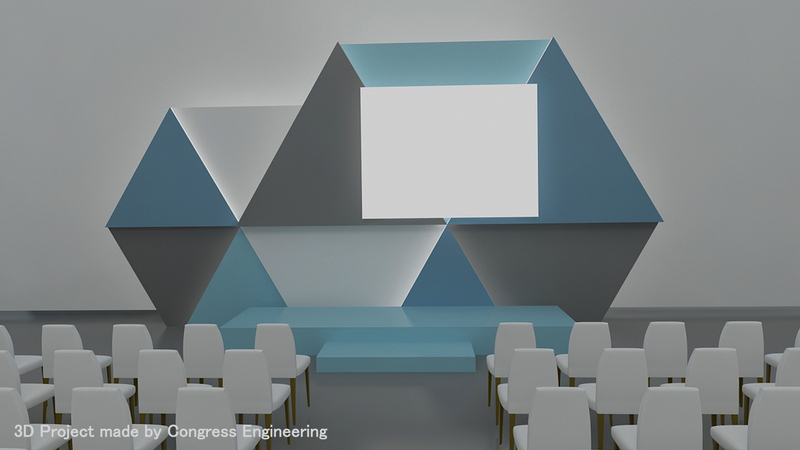 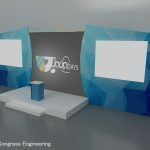 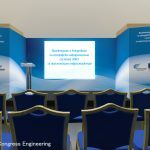 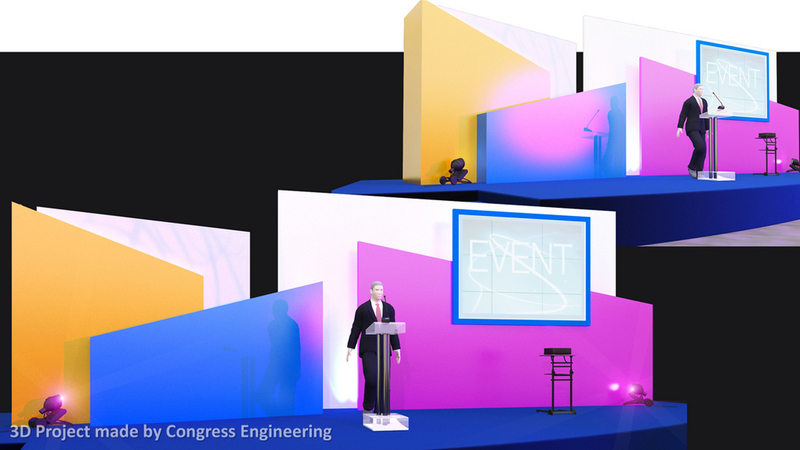 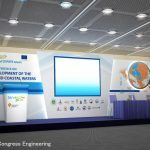 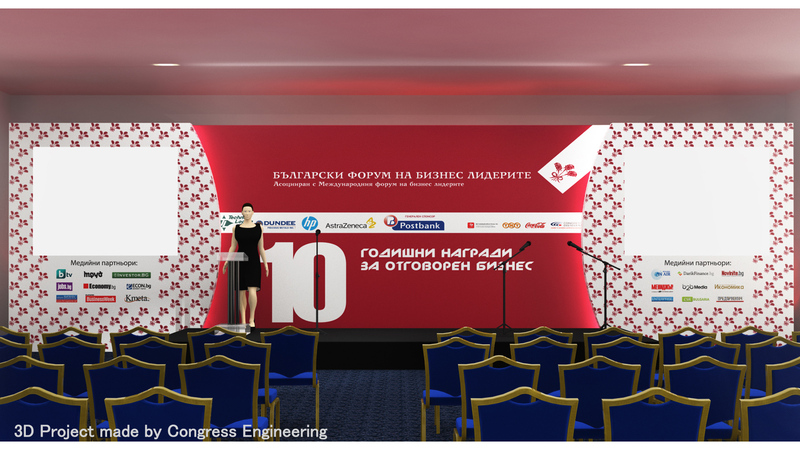 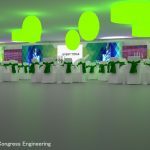 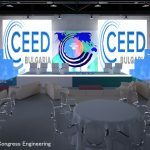 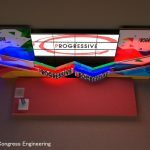 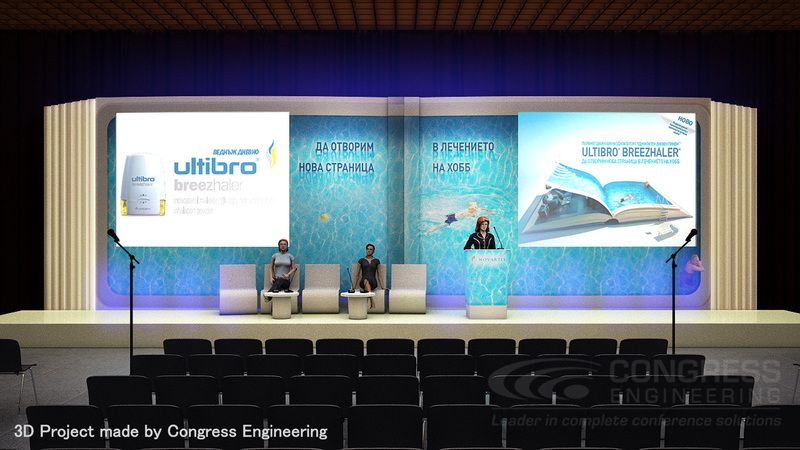 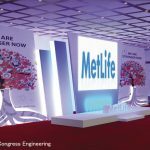 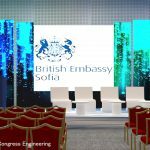 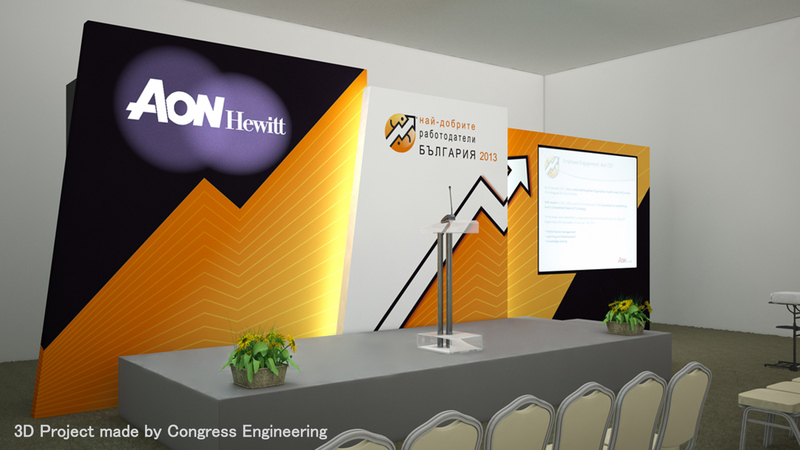 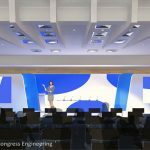 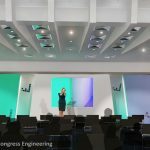 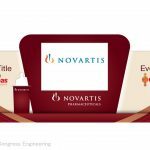 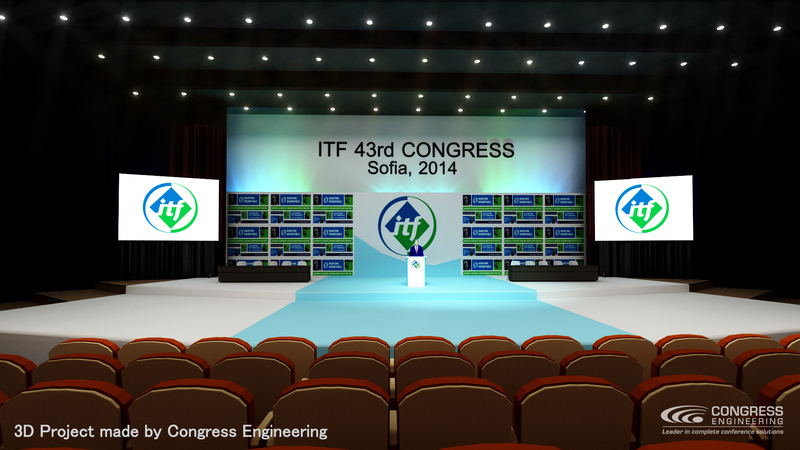 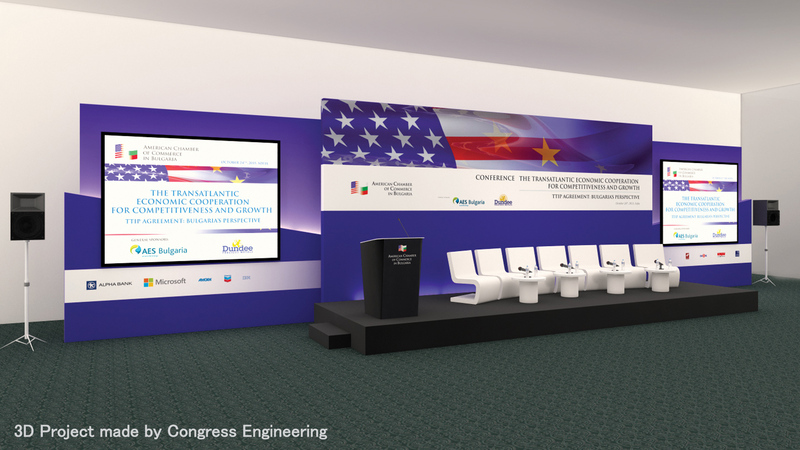 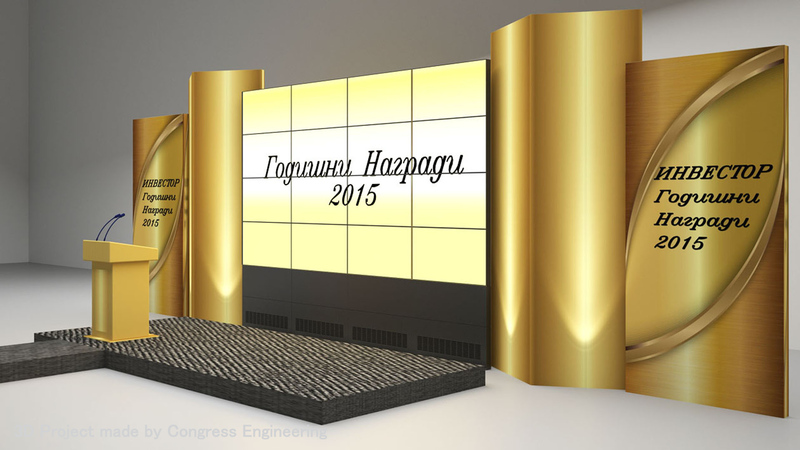 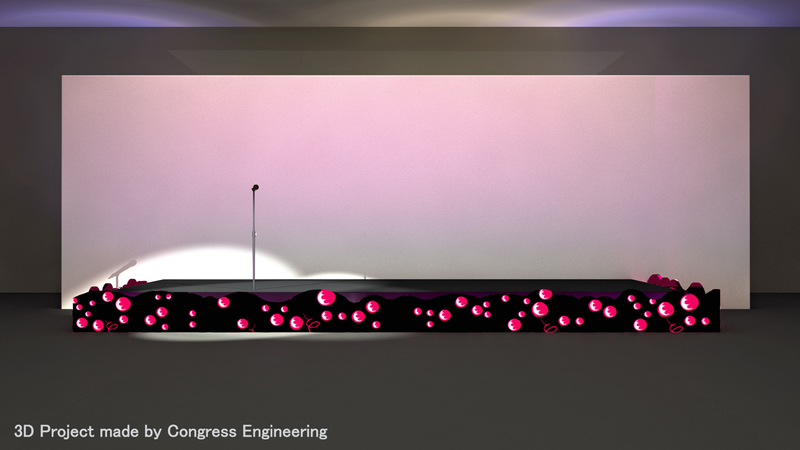 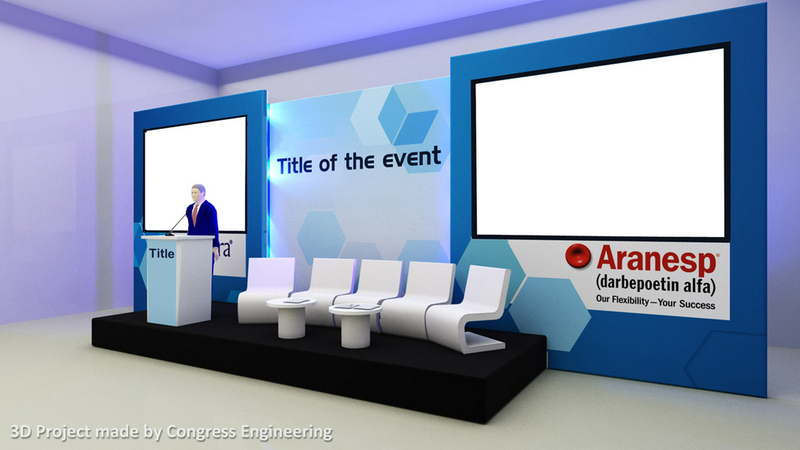 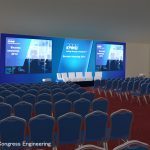 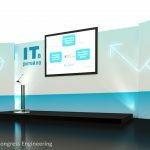 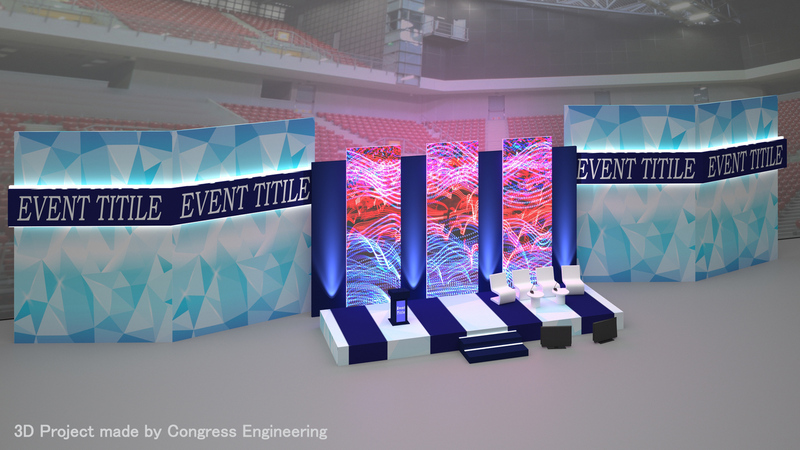 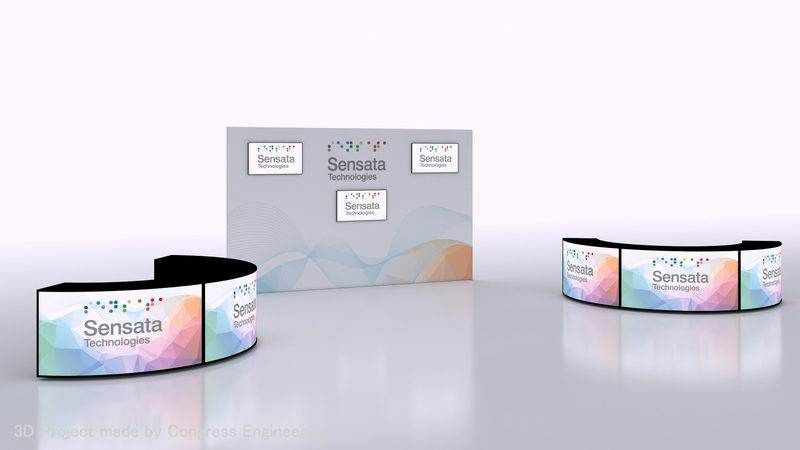 Congress Engineering offers to its customers the unique possibility to view a specially generated individual 3D visualization of the forthcoming event. 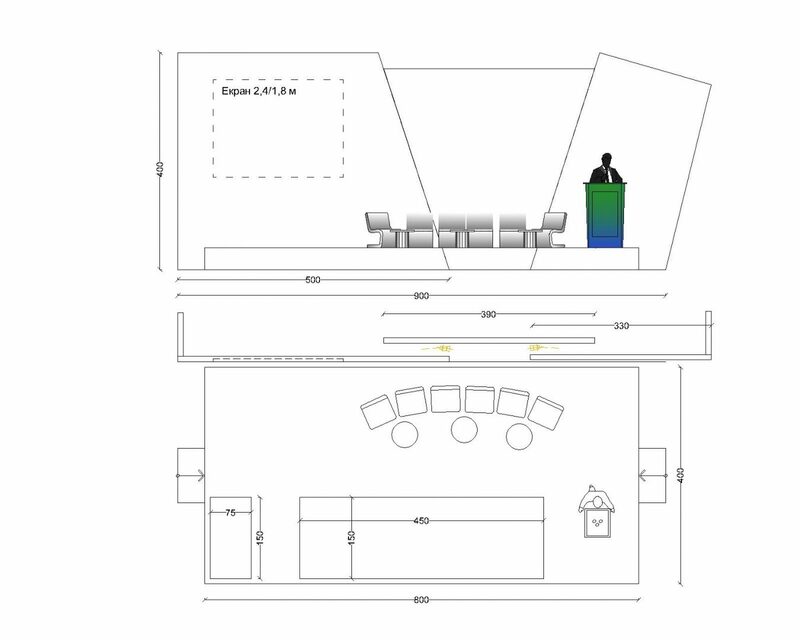 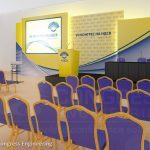 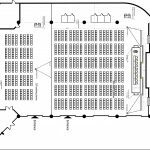 So every organizer of a special event or conference may get a complete idea regarding the way everything will look, the layout of furniture and decors and where and how big the free spaces will be. 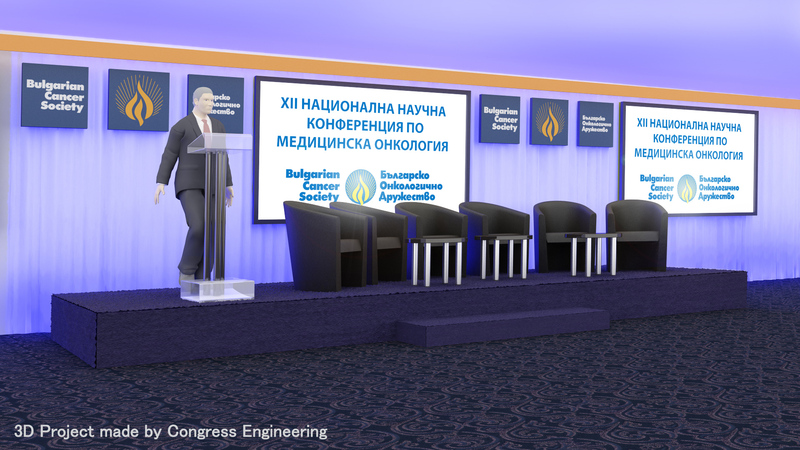 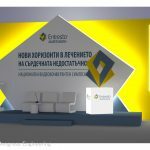 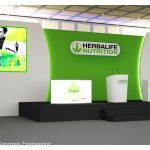 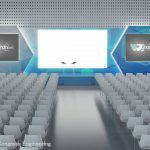 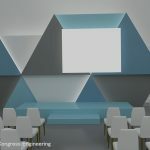 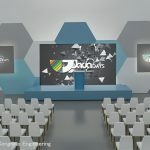 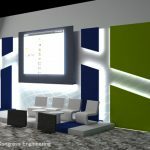 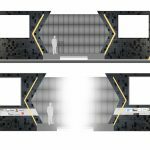 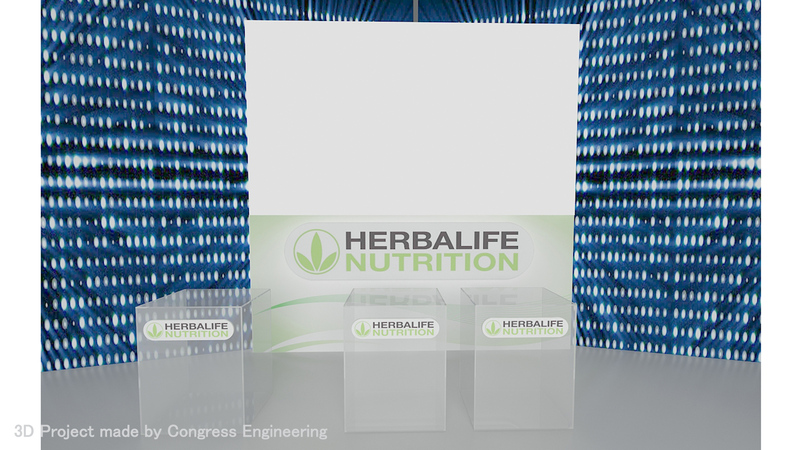 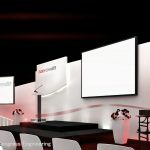 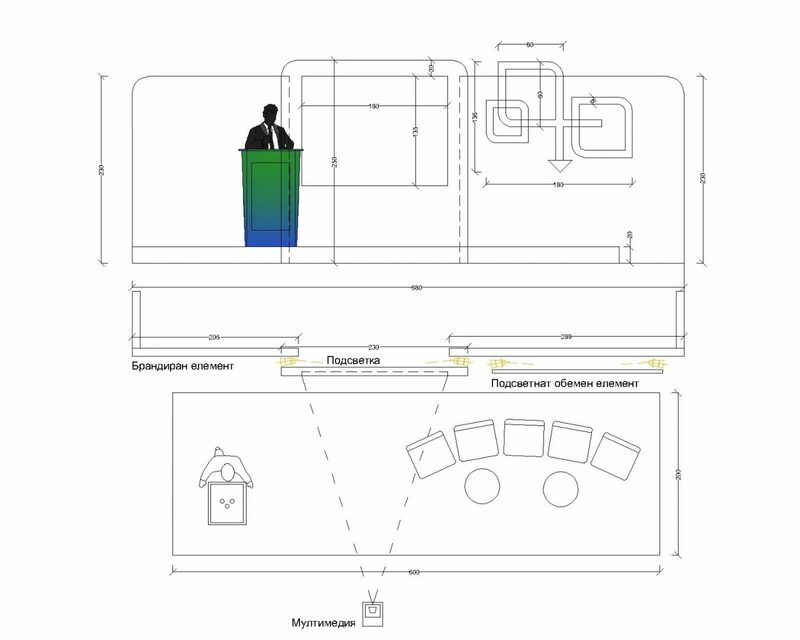 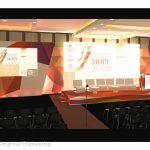 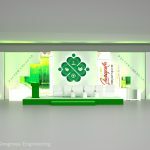 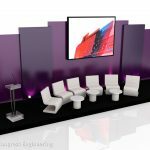 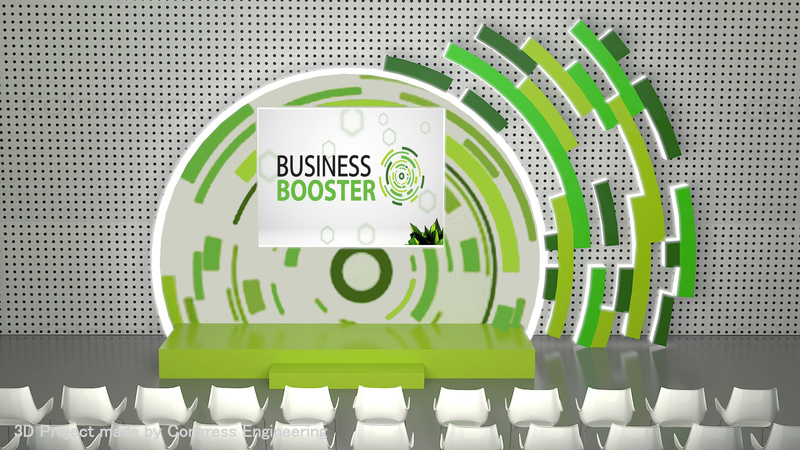 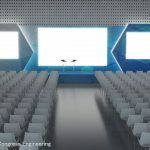 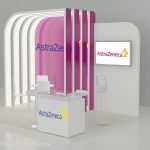 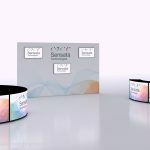 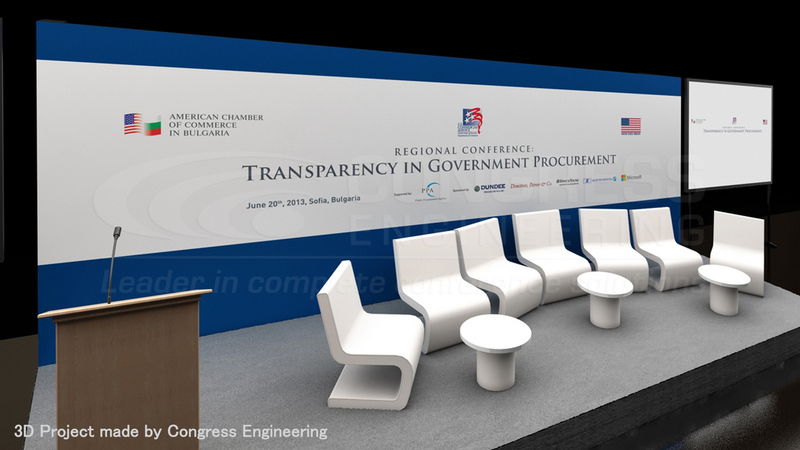 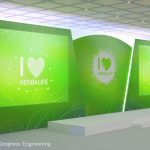 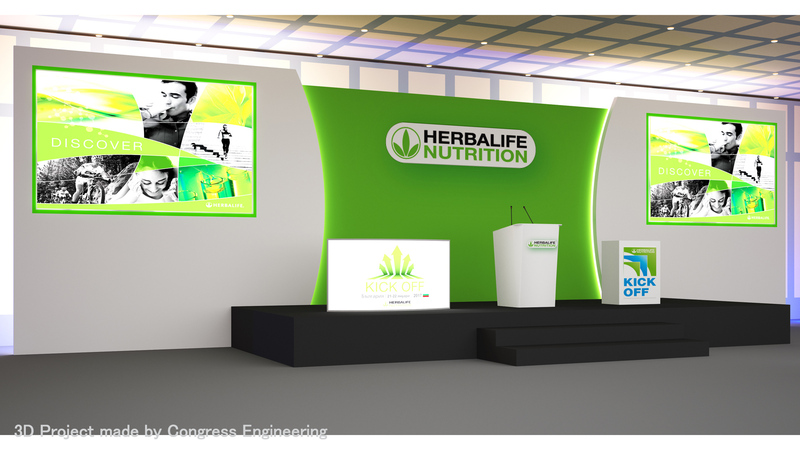 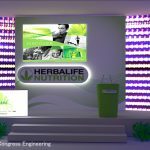 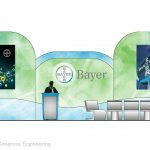 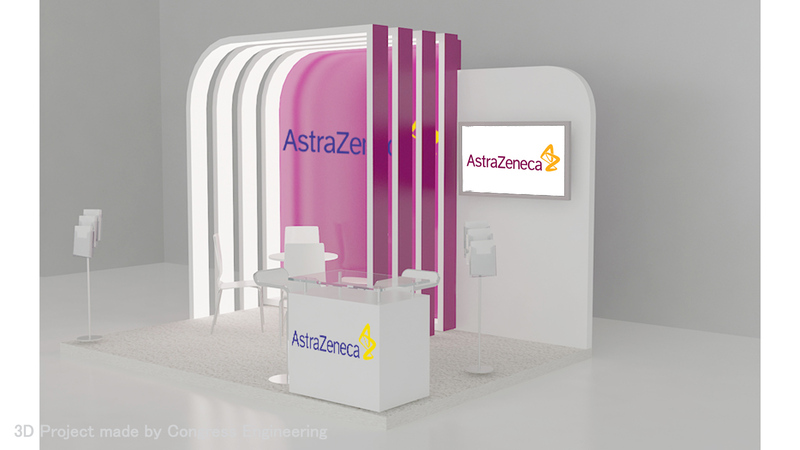 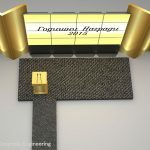 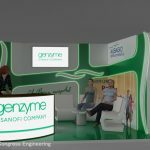 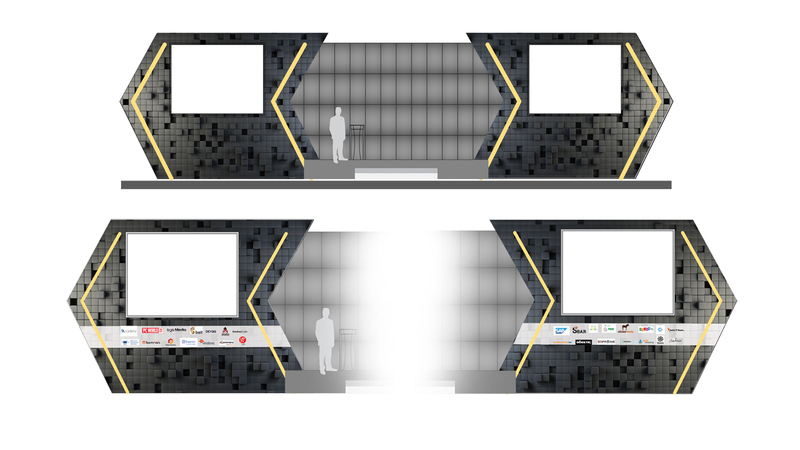 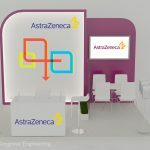 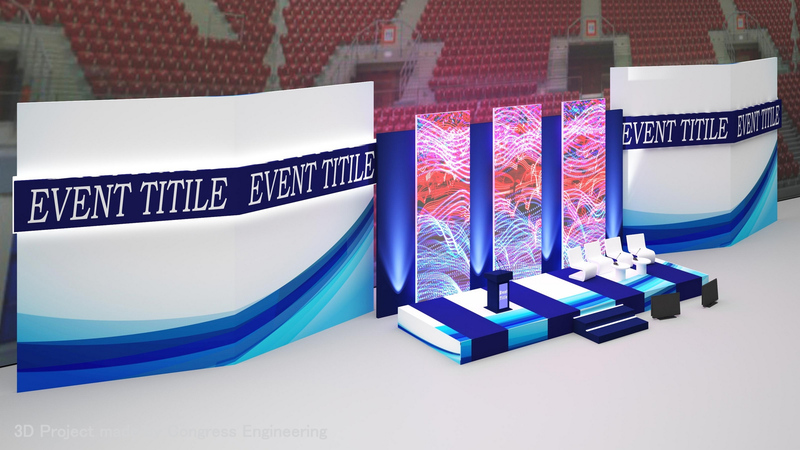 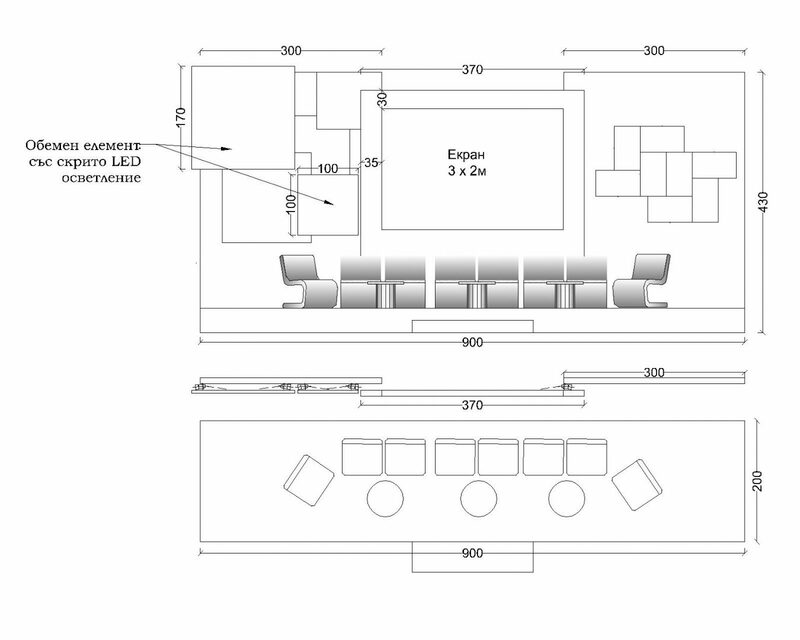 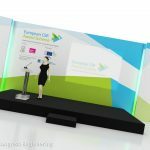 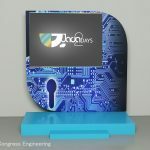 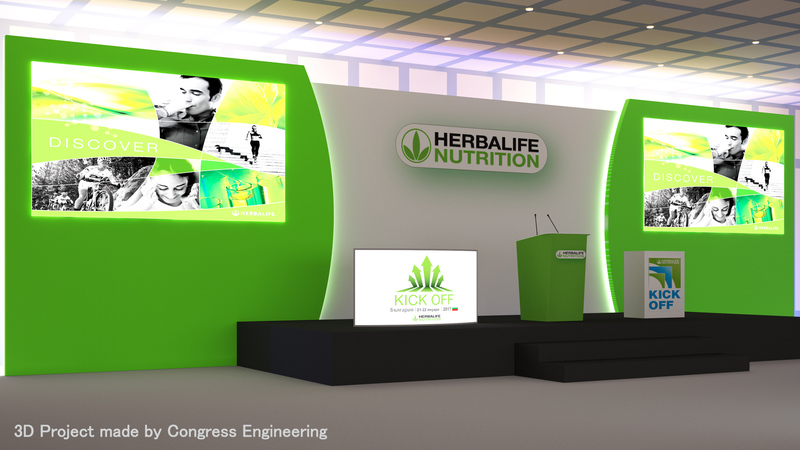 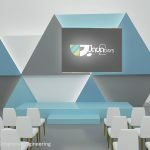 The 3D designs provide the customers the opportunity to select the most suitable design for the back of the stage and the presidium, to arrange in the most comfortable way the chairs and the tables in the hall, to find the exact place where to present their product and logo and to relate their ideas before their colleagues and counterparts in the most convincing way. 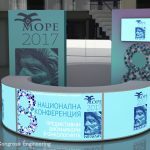 The 3D image project represents a set of computer-generated images that give a real idea how the future event will look from different angles. 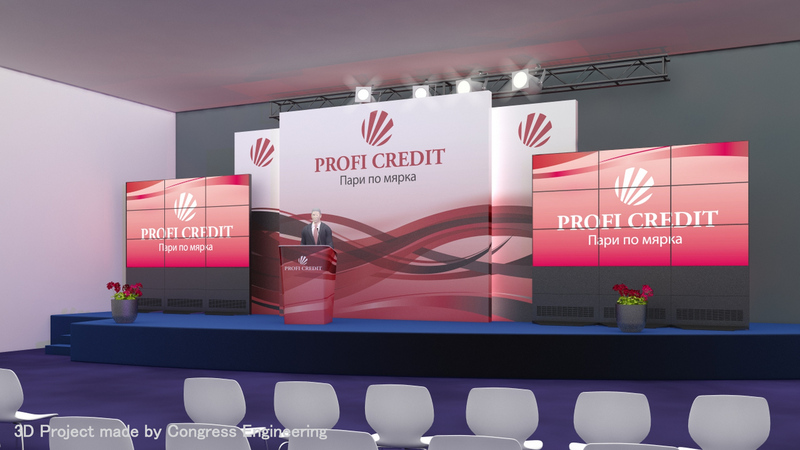 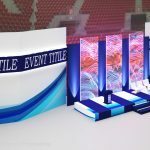 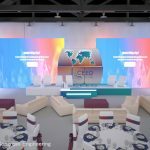 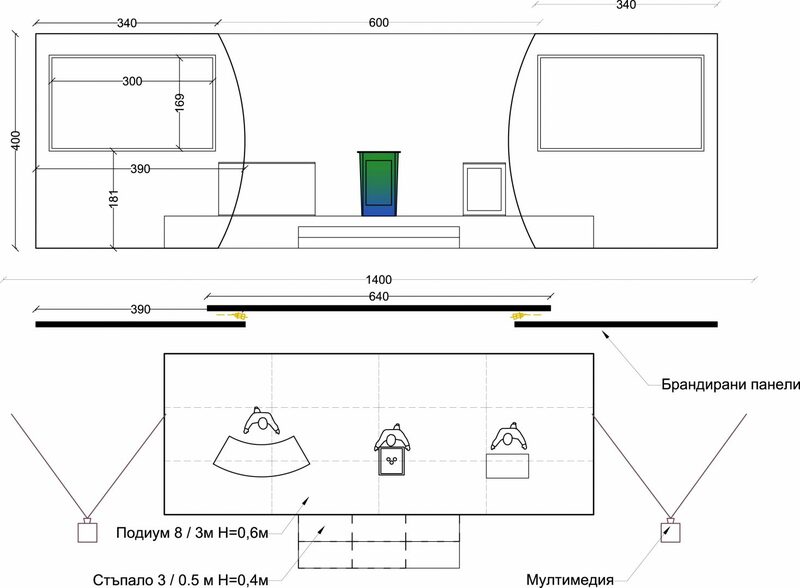 The spatial video project enables 3D virtual tour around the premise, showing in a high-quality video the layout of all details of the forthcoming event (presidium, stage back, stage settings and impressive lighting, simultaneous interpreting booths, microphones, chair, etc.). 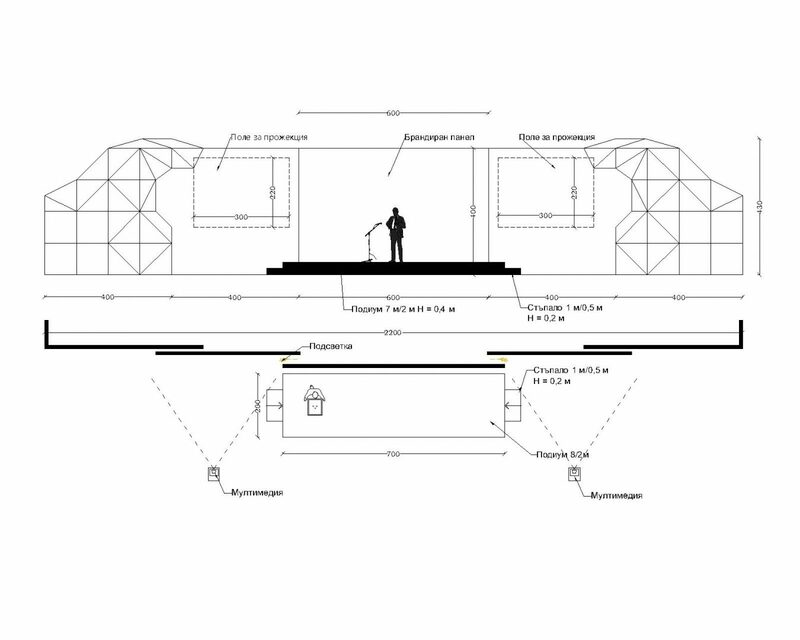 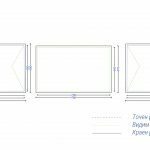 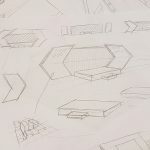 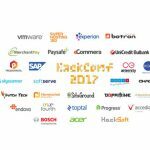 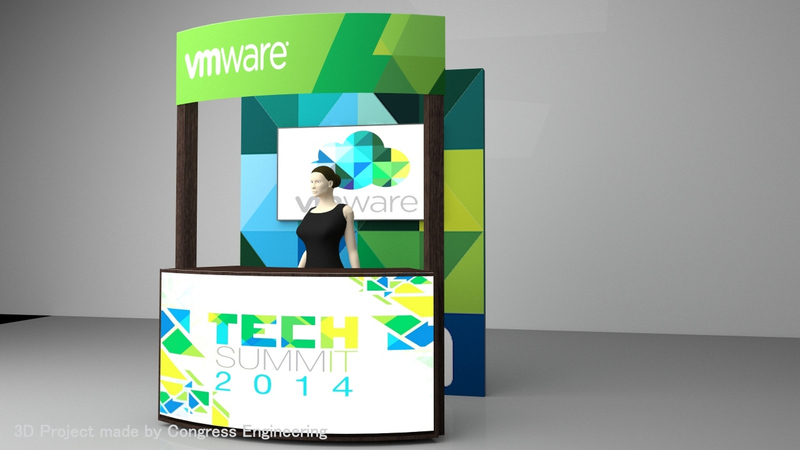 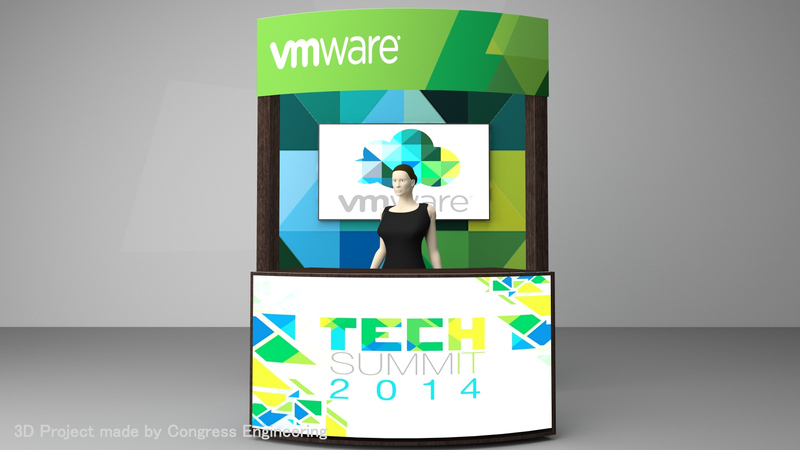 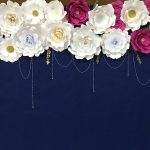 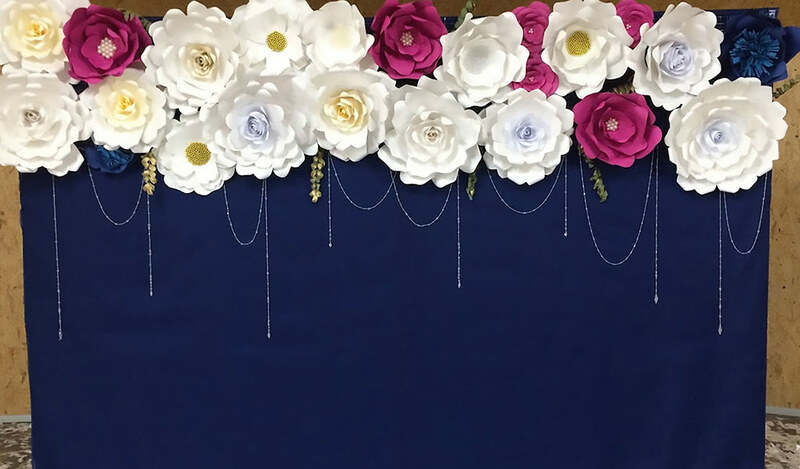 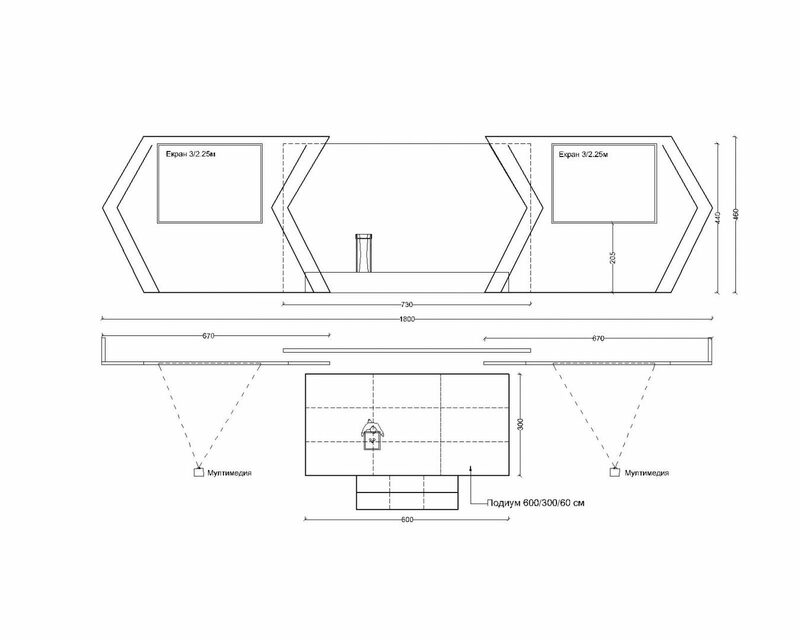 Participate in the production of your stage by seeing the real-scale printouts of files. 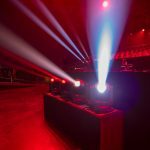 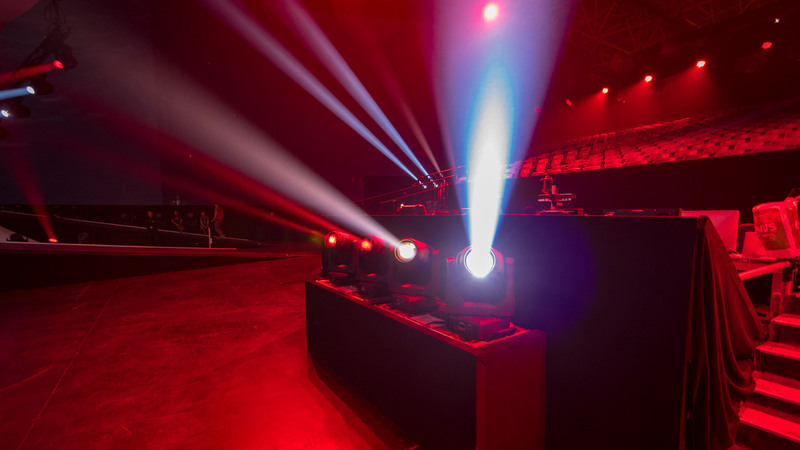 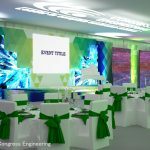 With the help of our professional technical teams and detailed assembly schemes, we guarantee you a predictable and real performance of all plans related to your event. 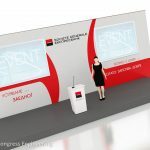 Bank Societe Generale Expressbank - Engage! 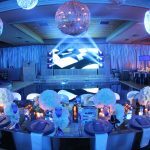 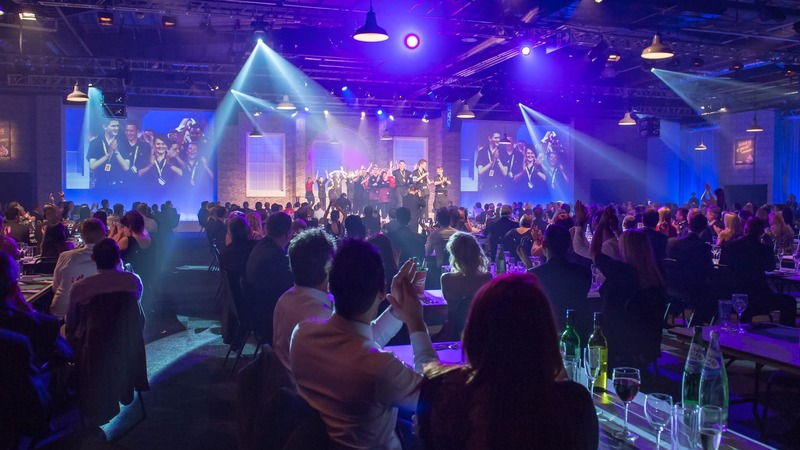 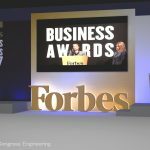 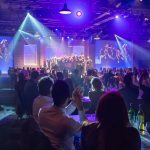 Need an inspiration for Your next event?